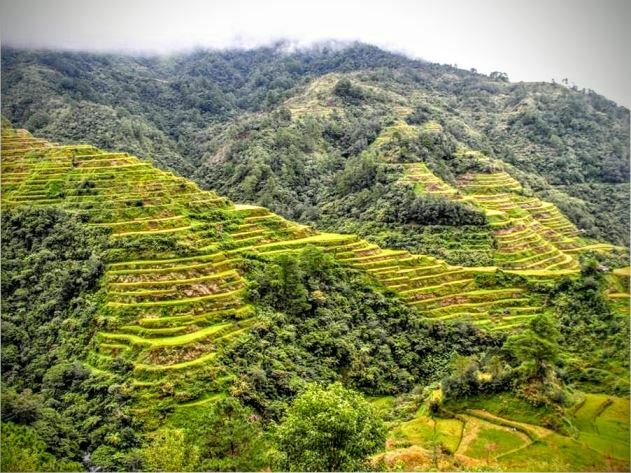 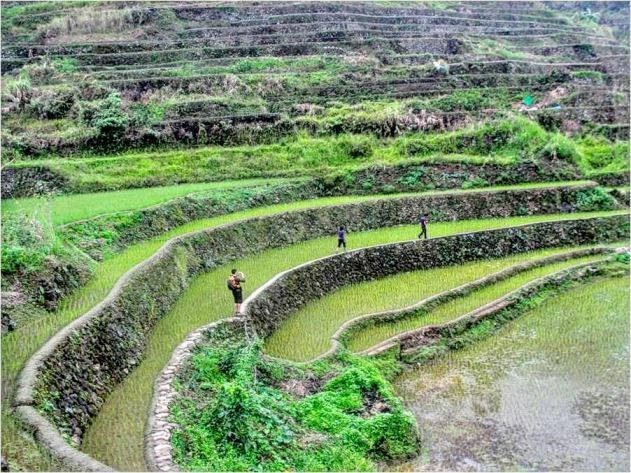 The majestic rice terraces in Banaue. 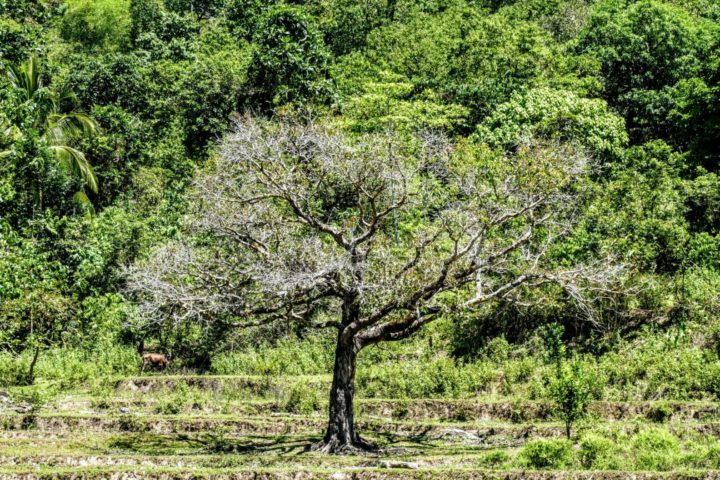 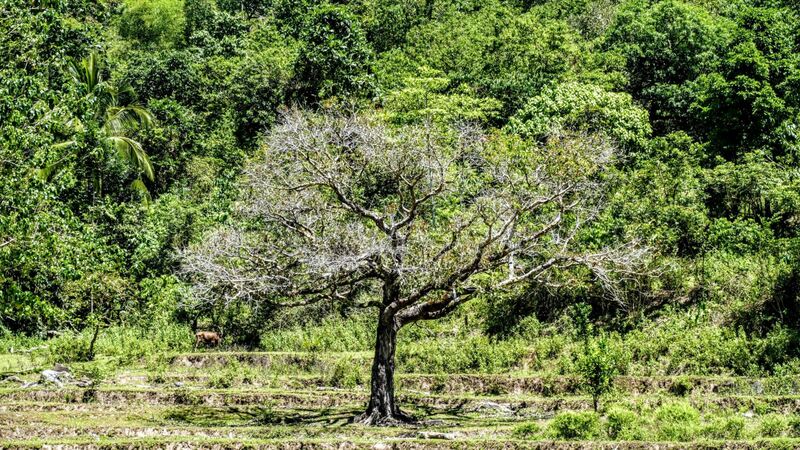 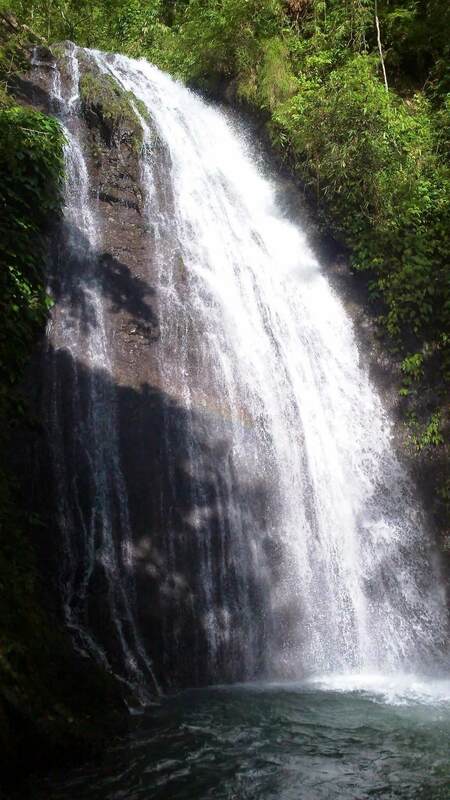 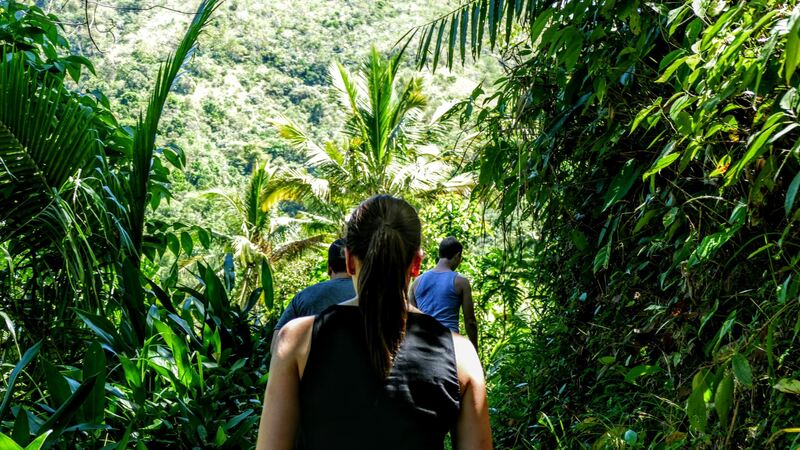 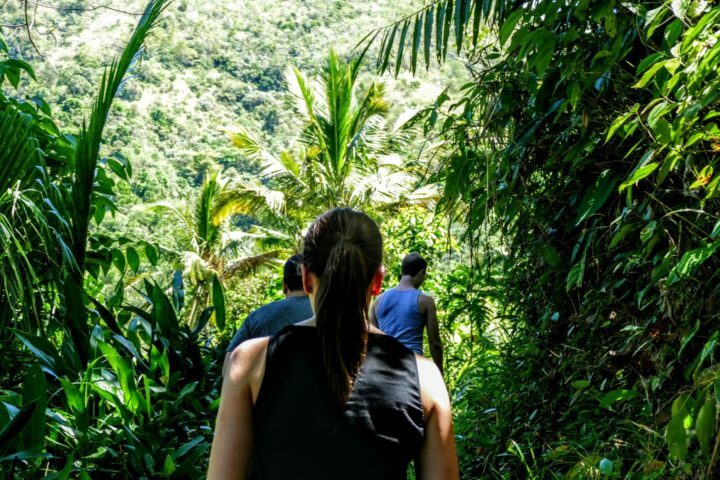 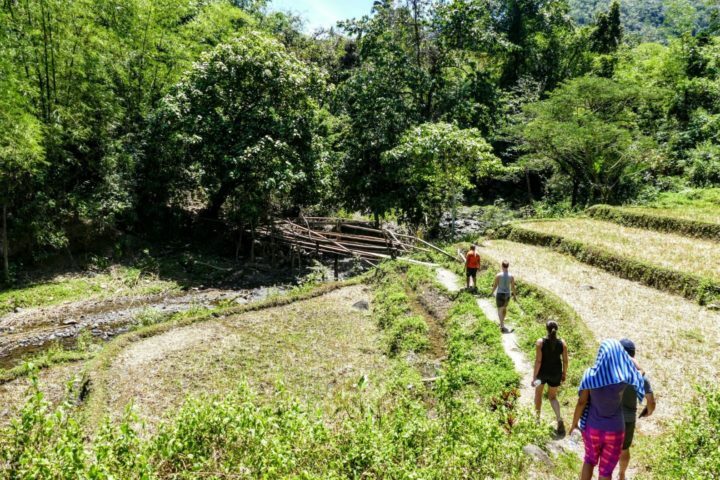 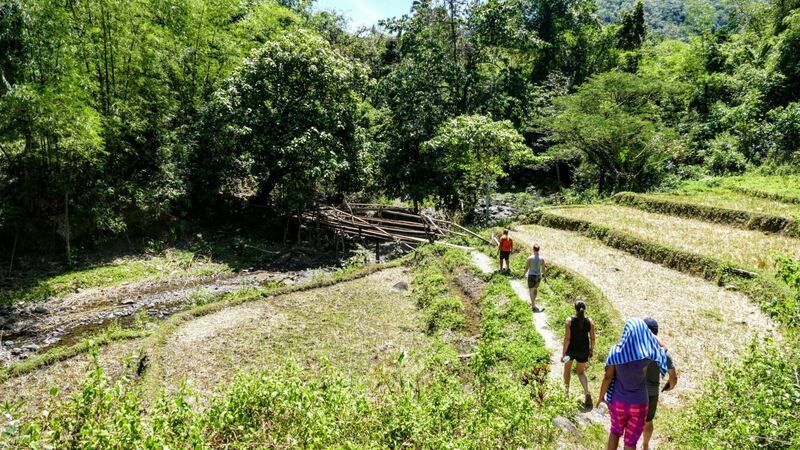 Hiking the Banaue Rice Terraces. 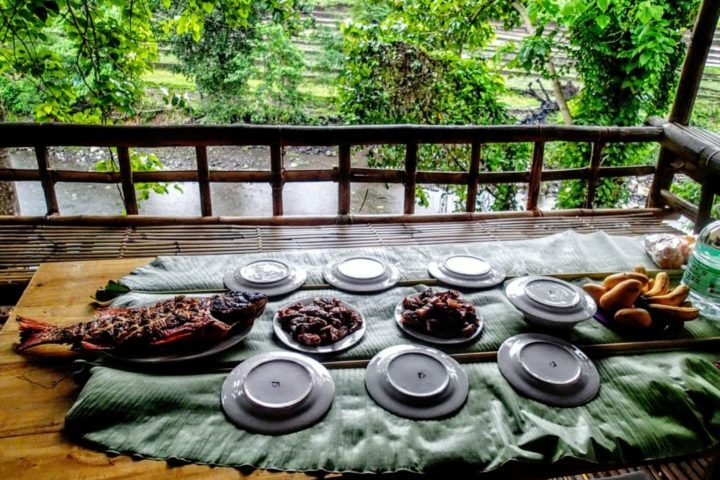 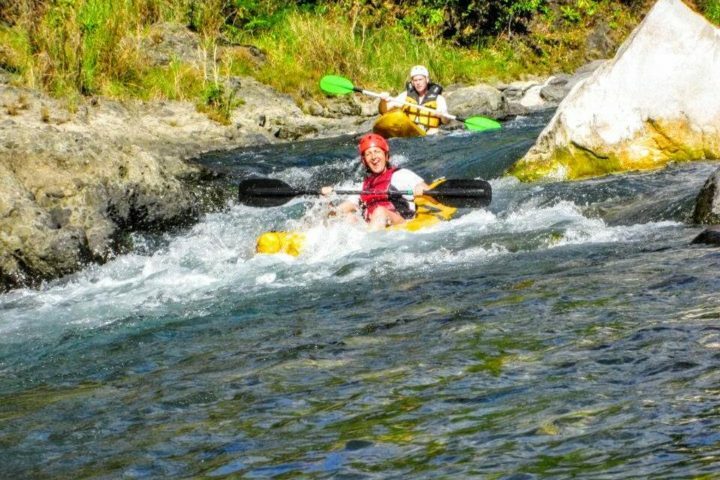 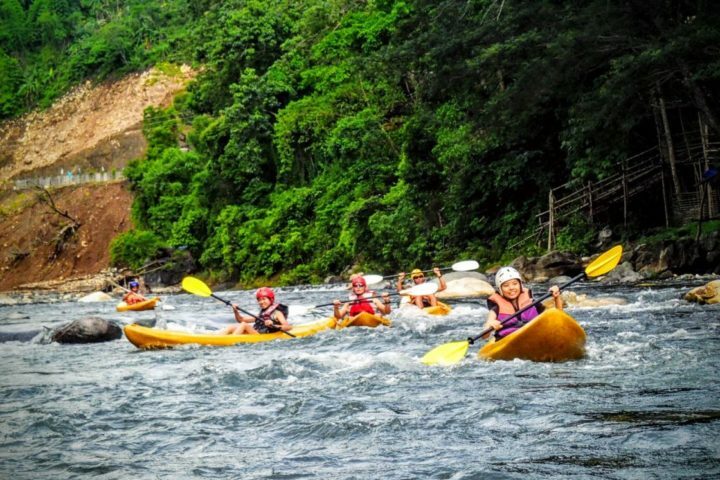 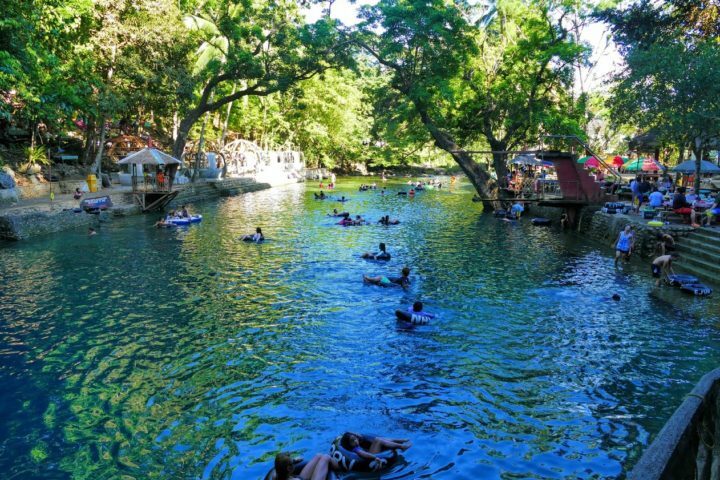 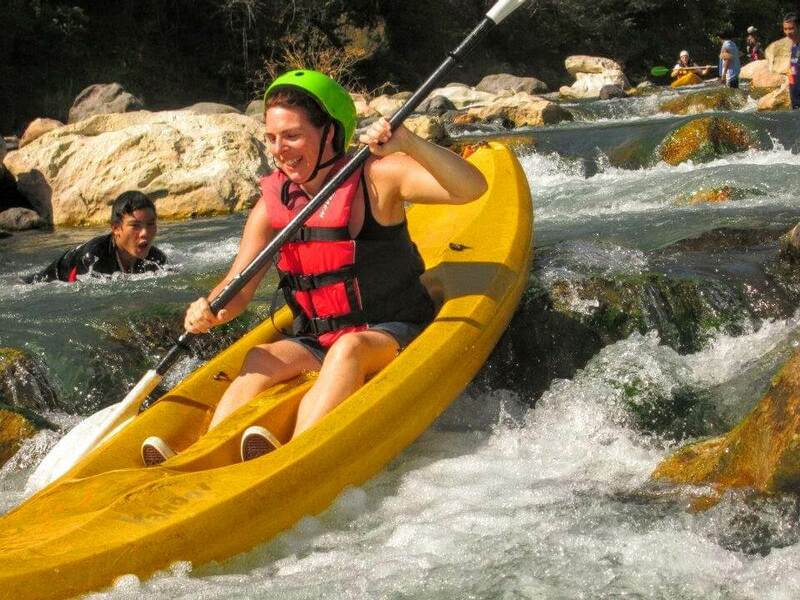 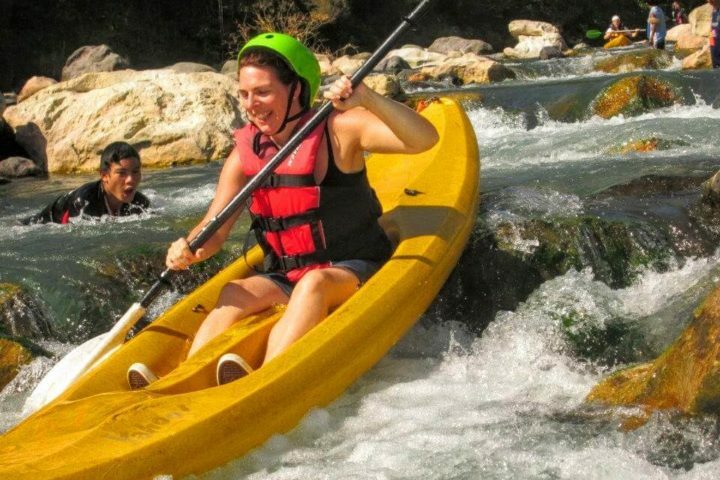 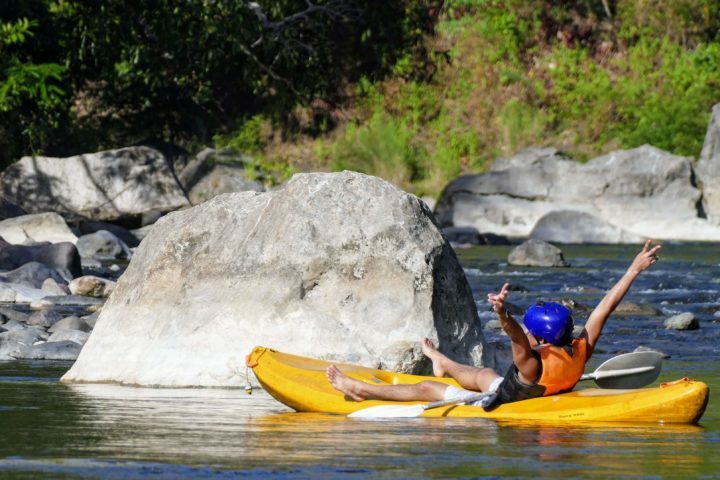 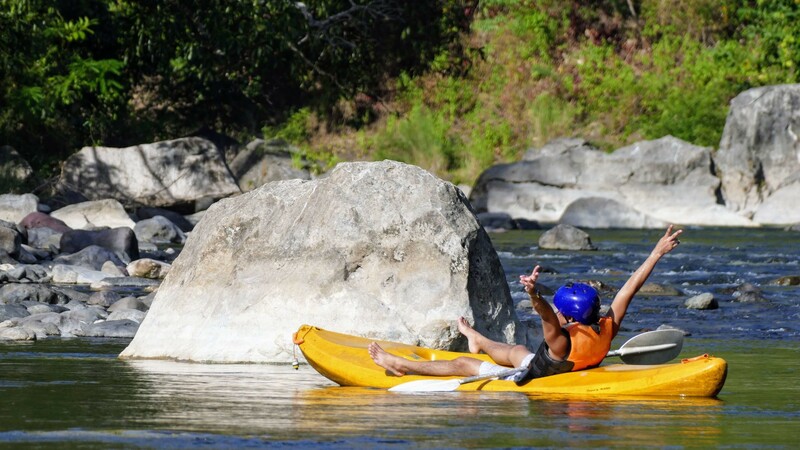 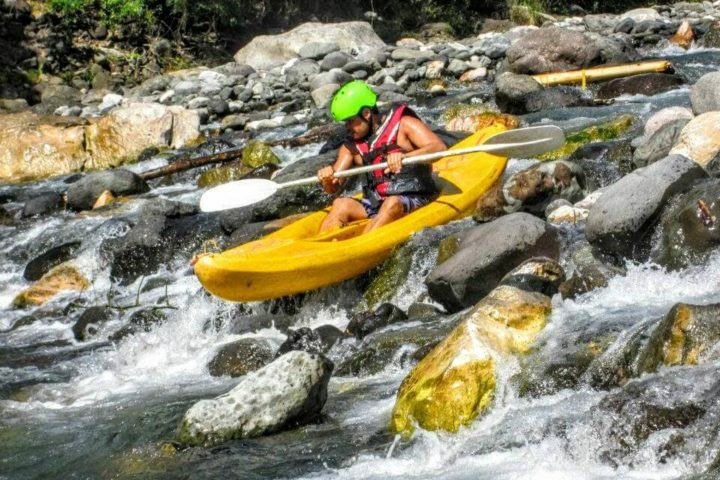 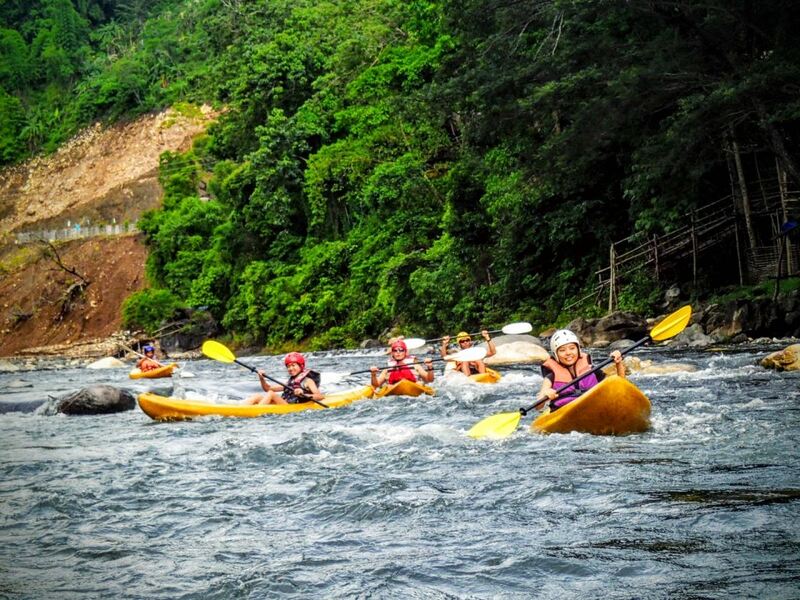 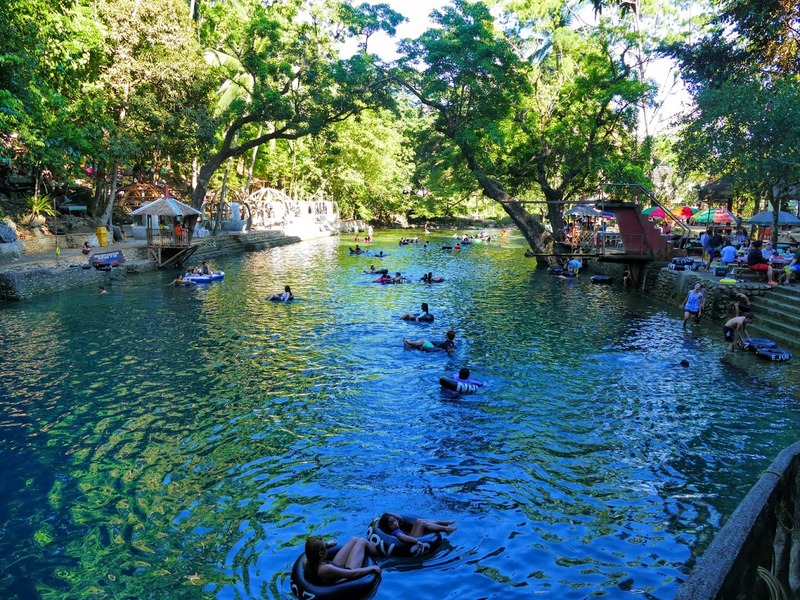 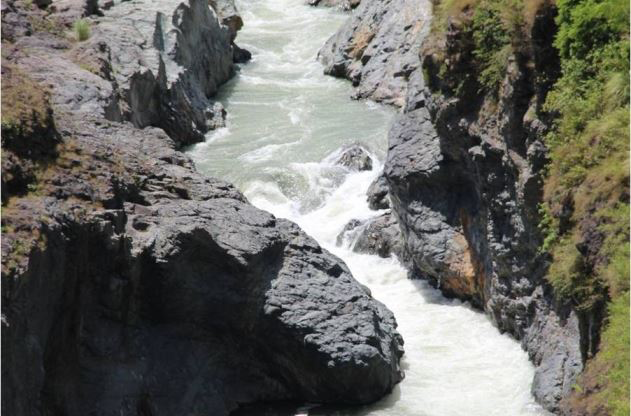 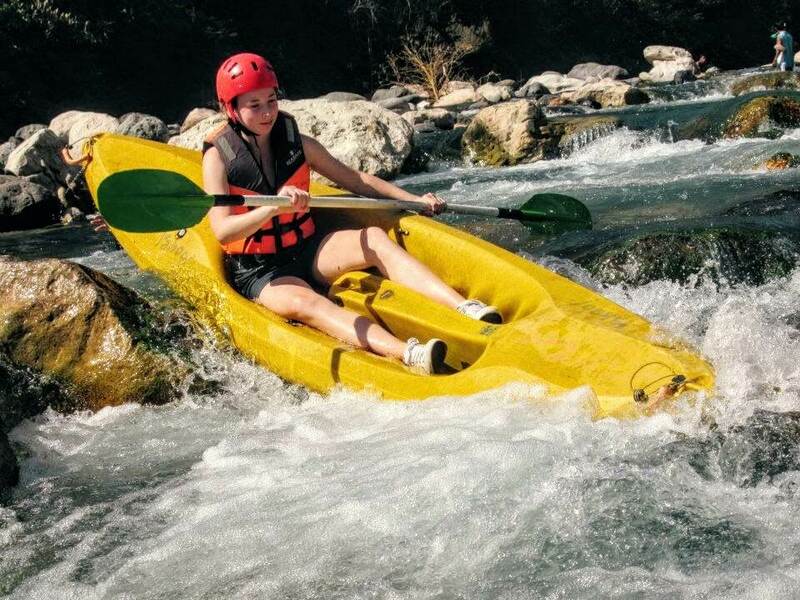 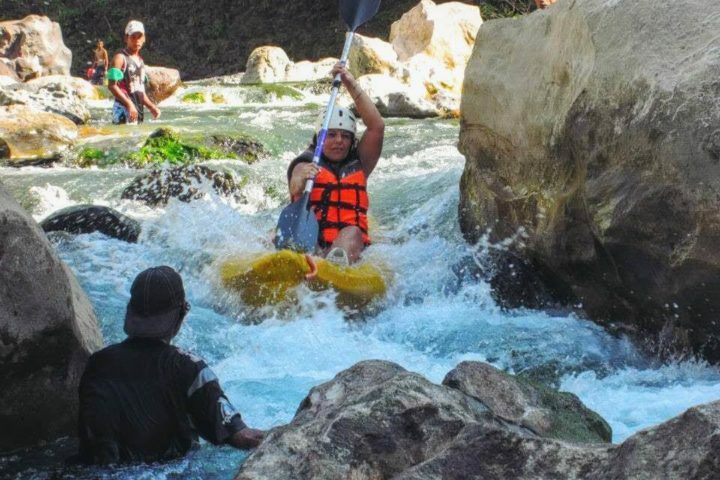 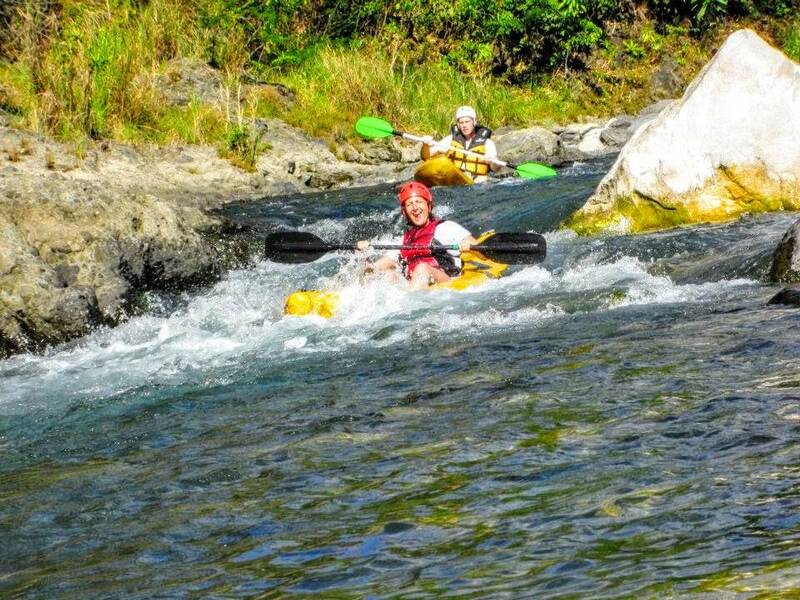 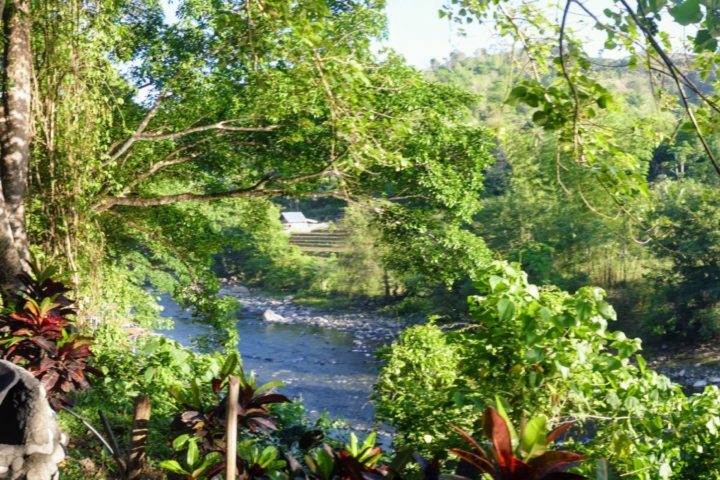 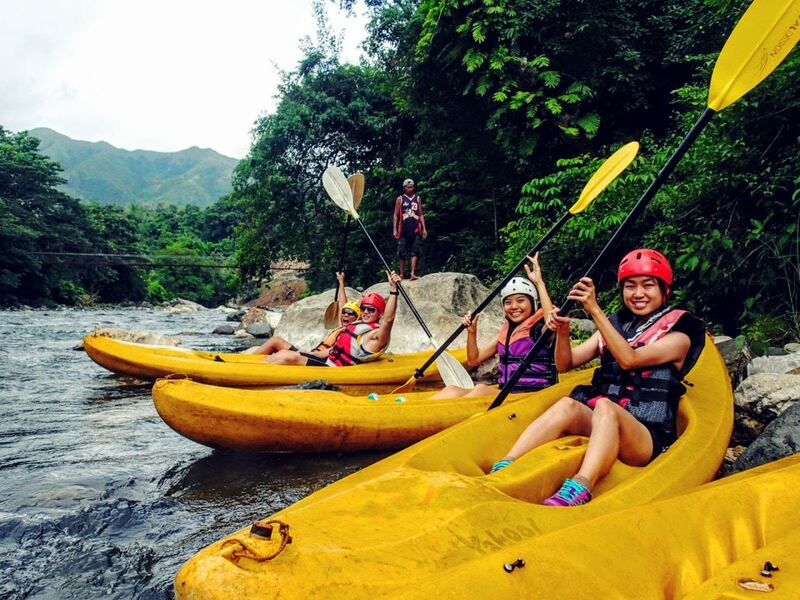 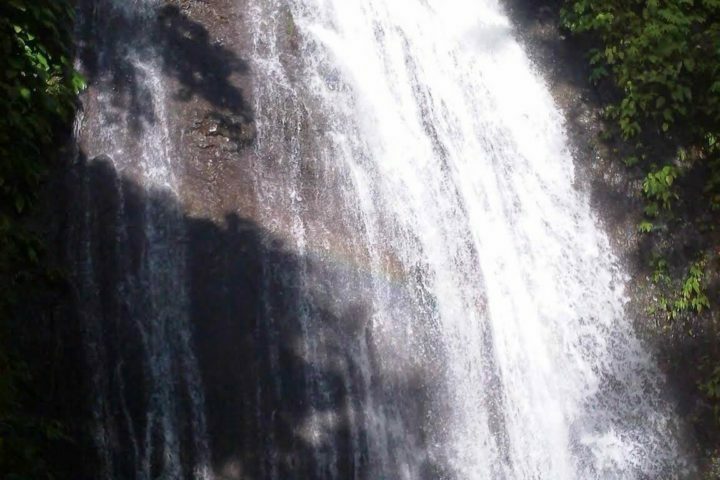 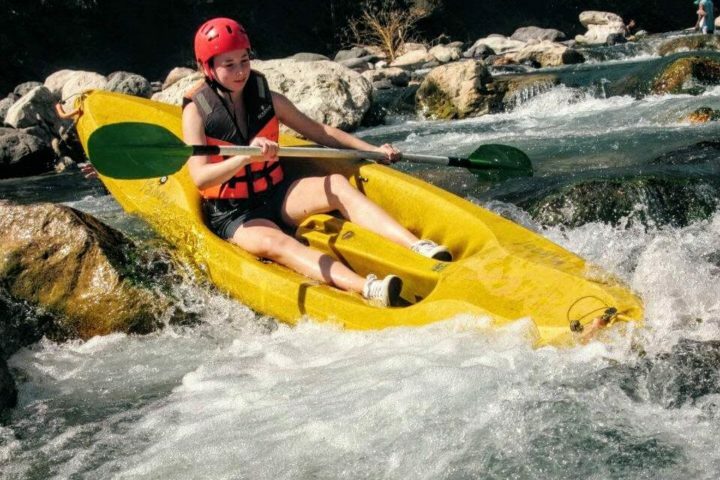 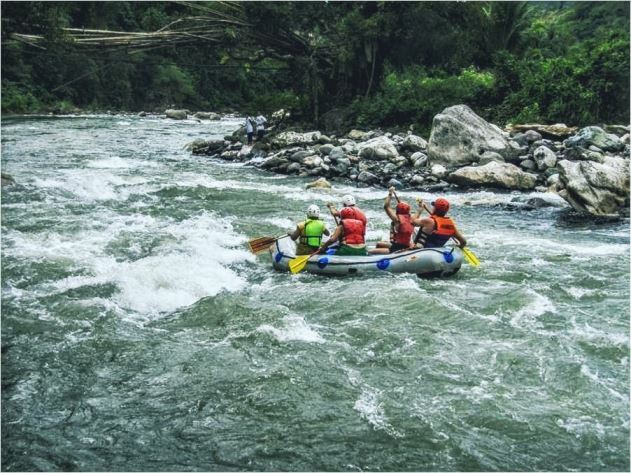 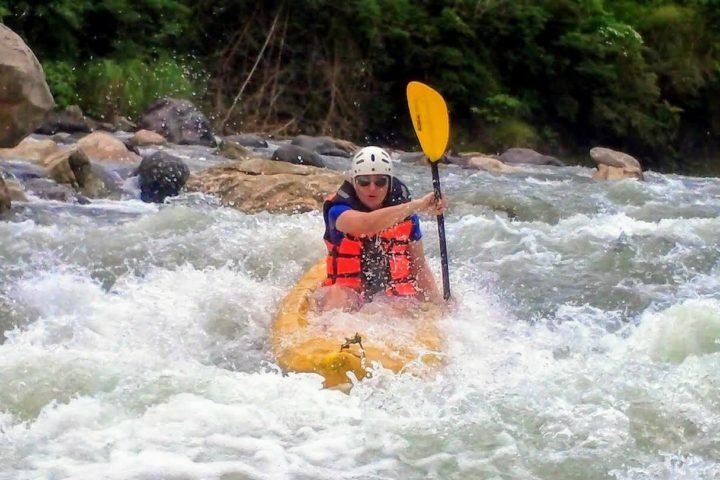 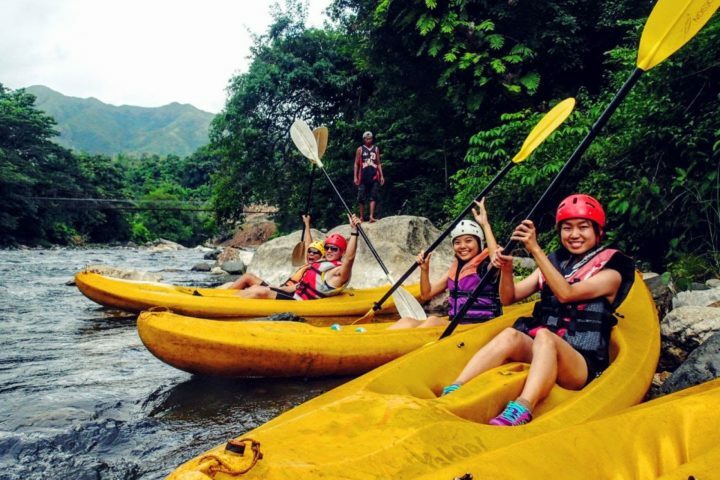 Whitewater river rafting on the Chico river in Northern Luzon. 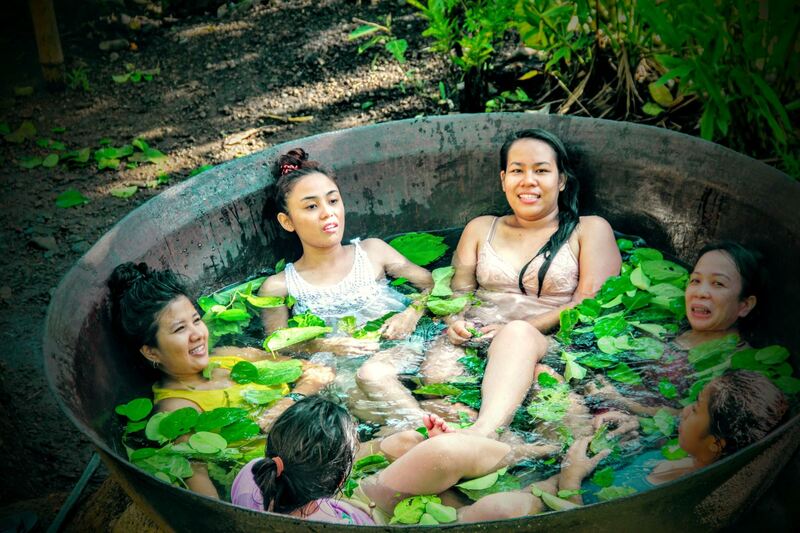 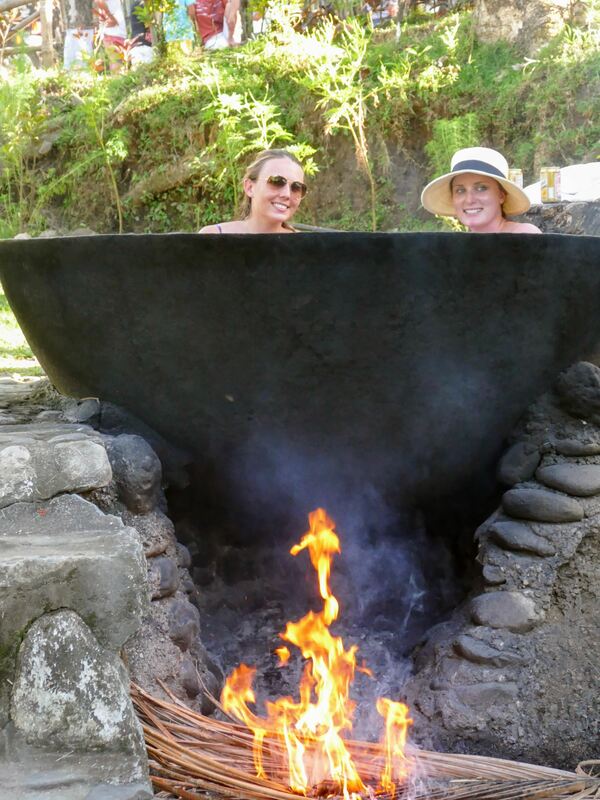 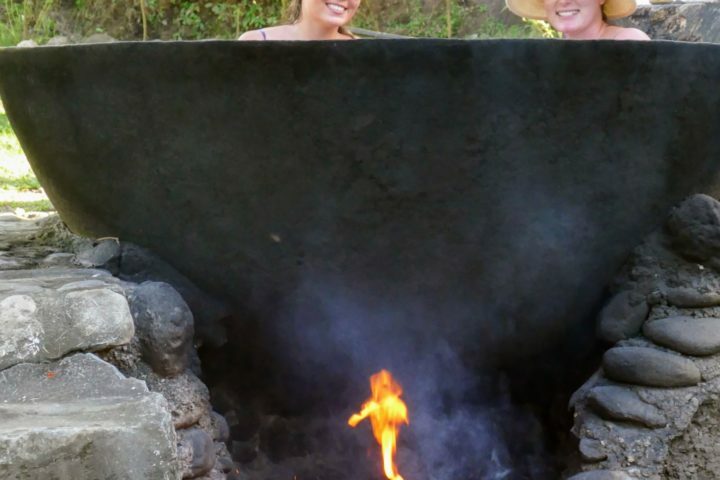 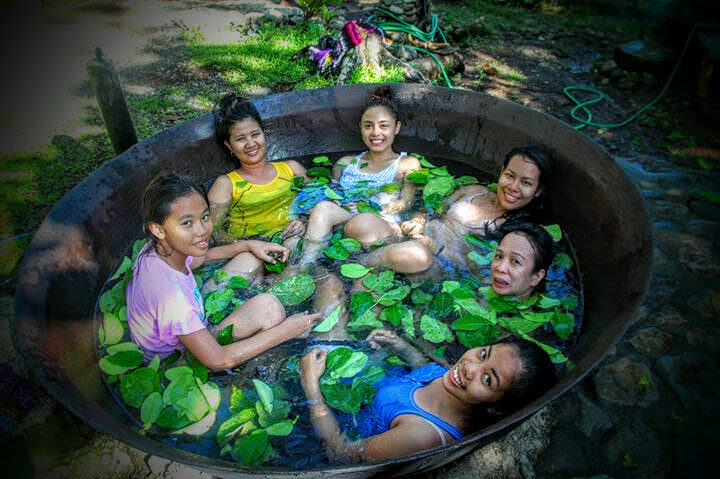 Gian Kawa - Tribal Adventures signature hot tub bath in giant metal vats that were traditionally used in the sugar production process. 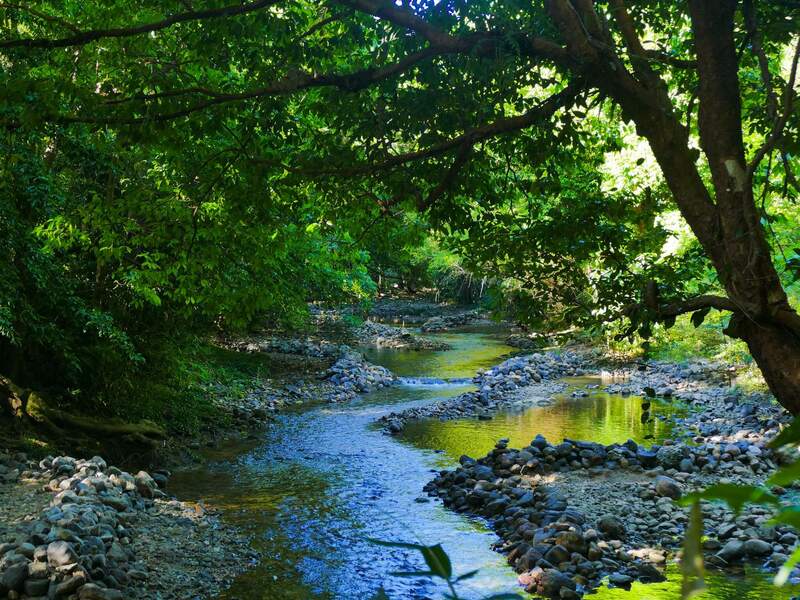 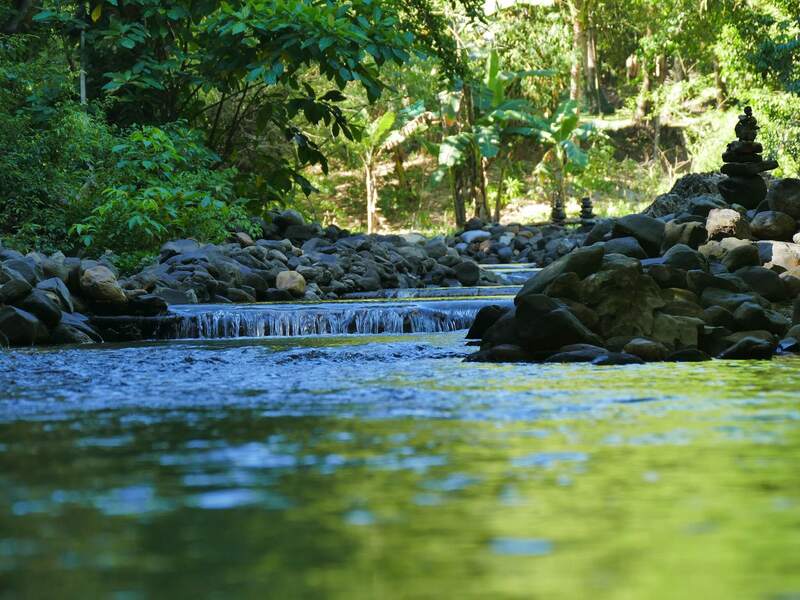 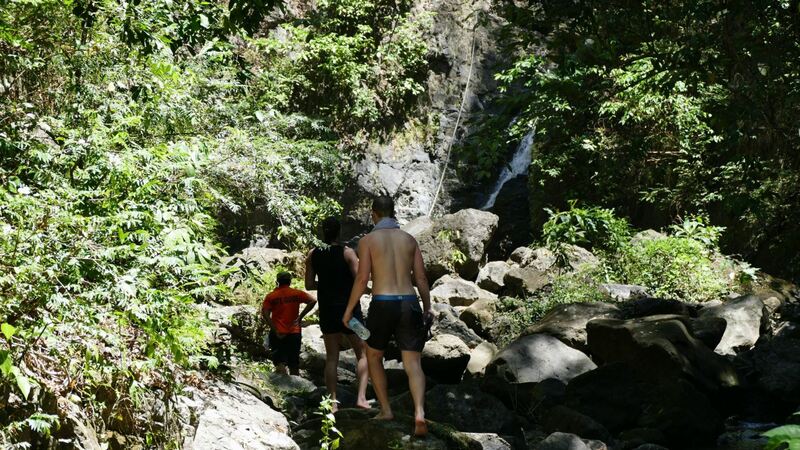 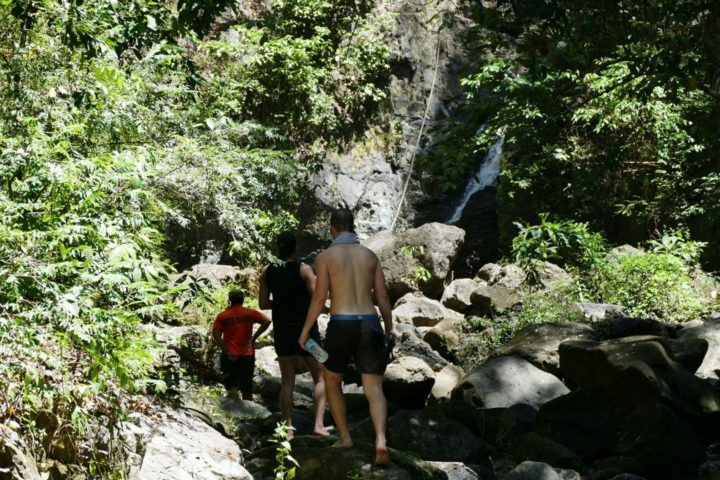 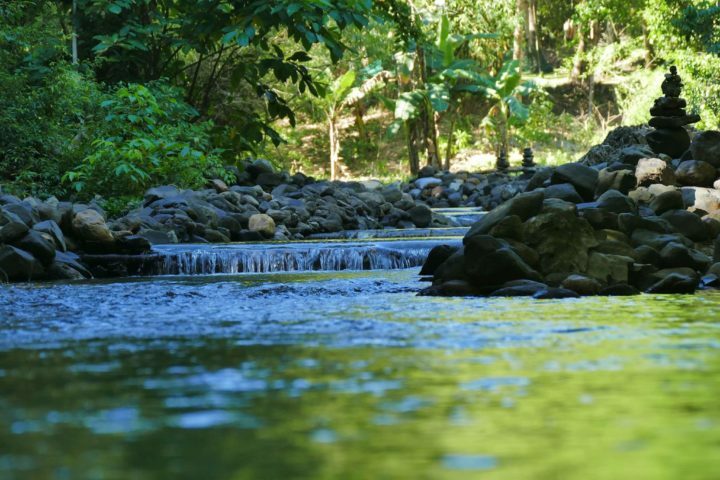 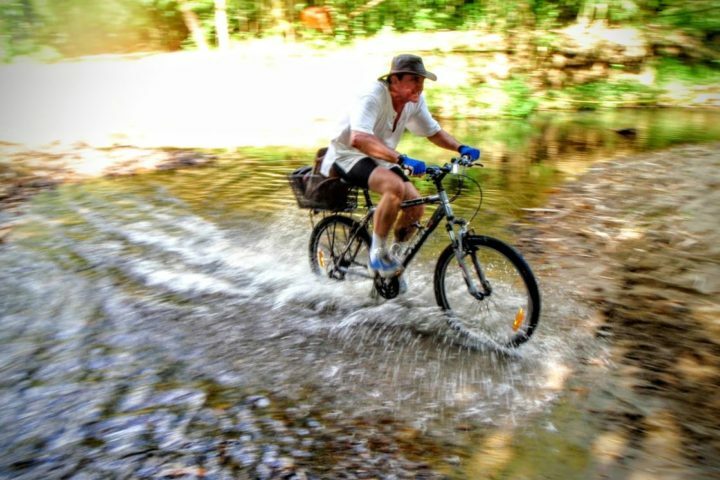 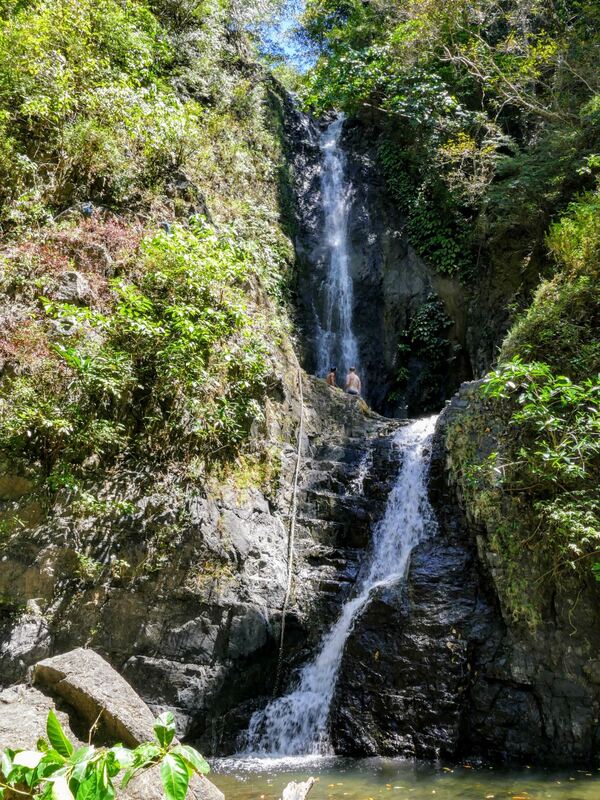 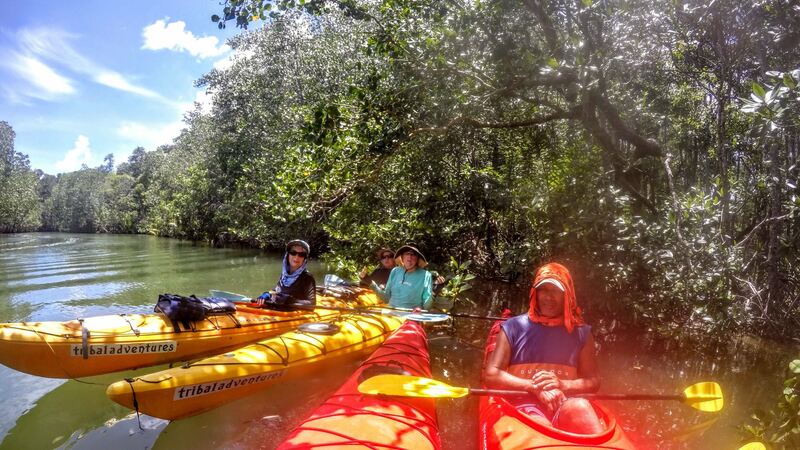 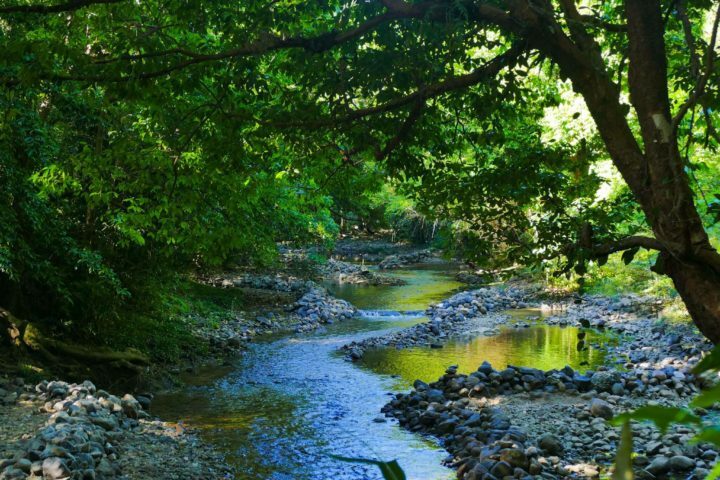 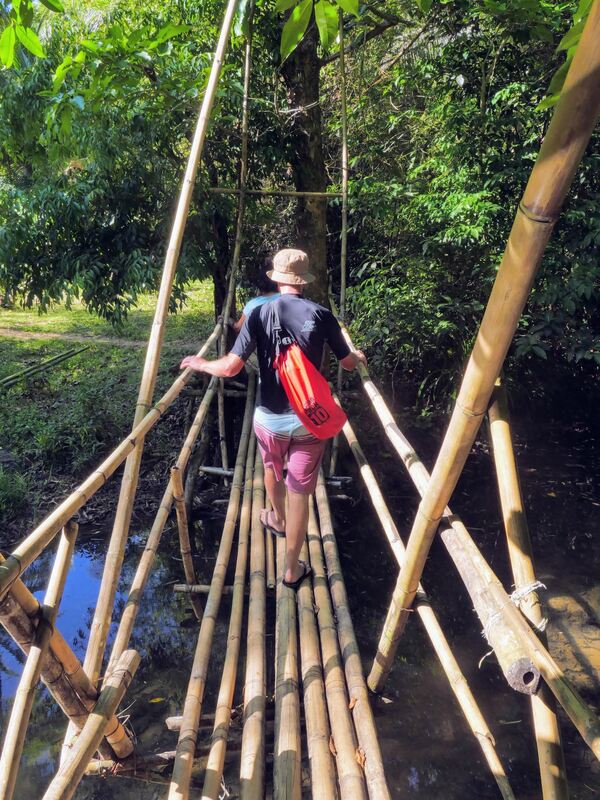 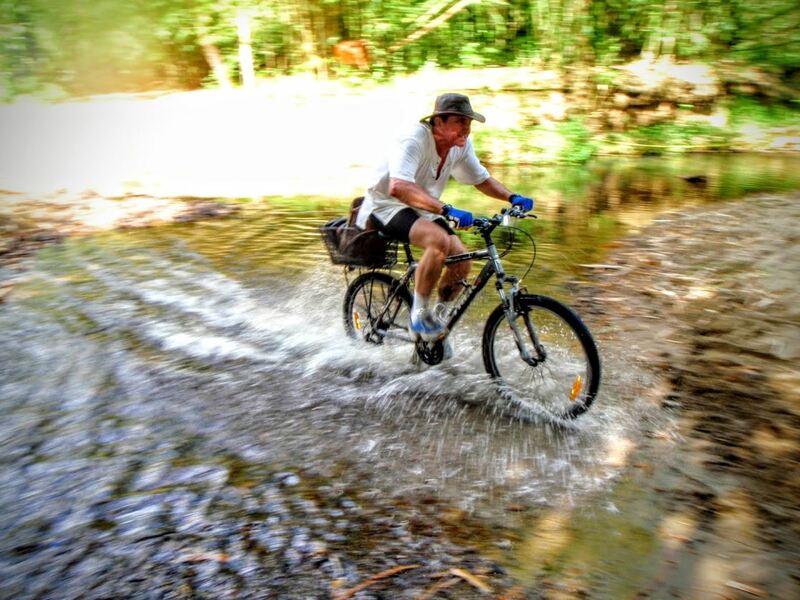 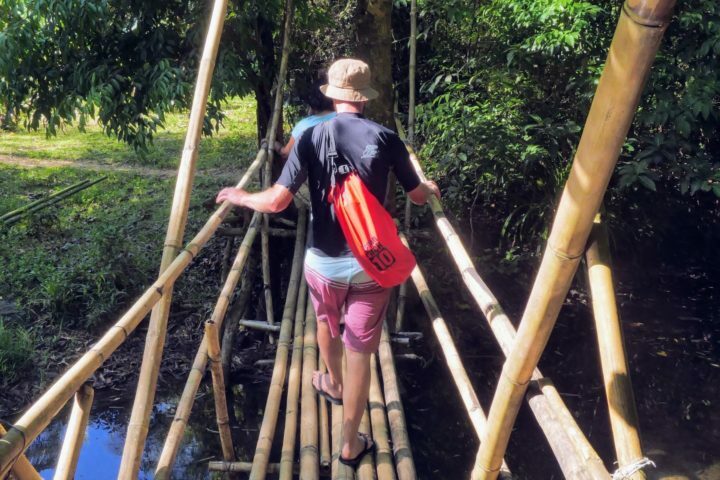 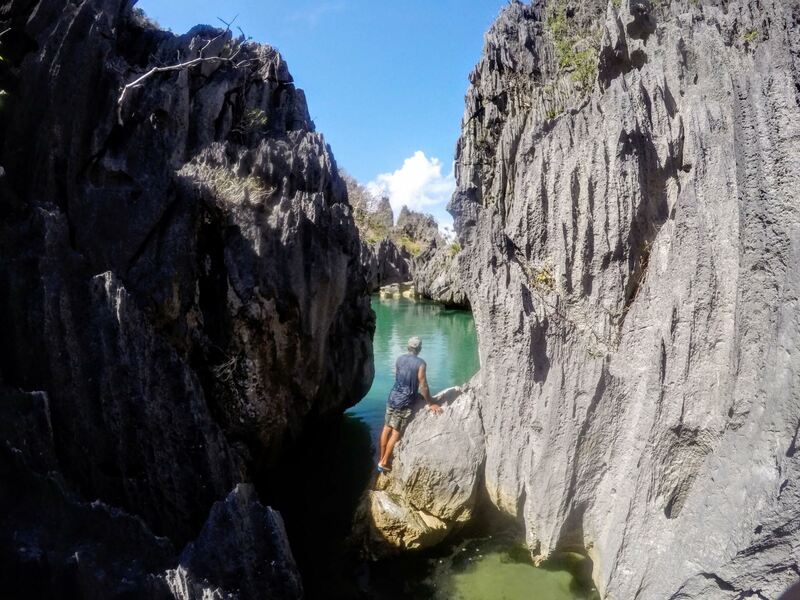 Greg blazing through one of the many river crossings through the trail spanning the breadth of Busuanga. 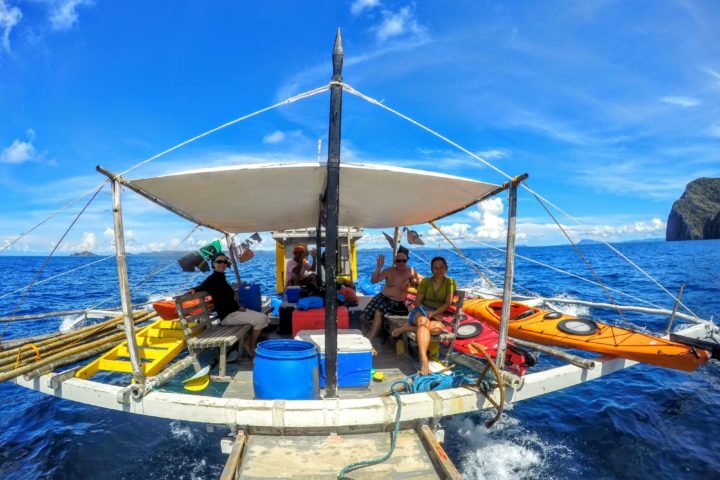 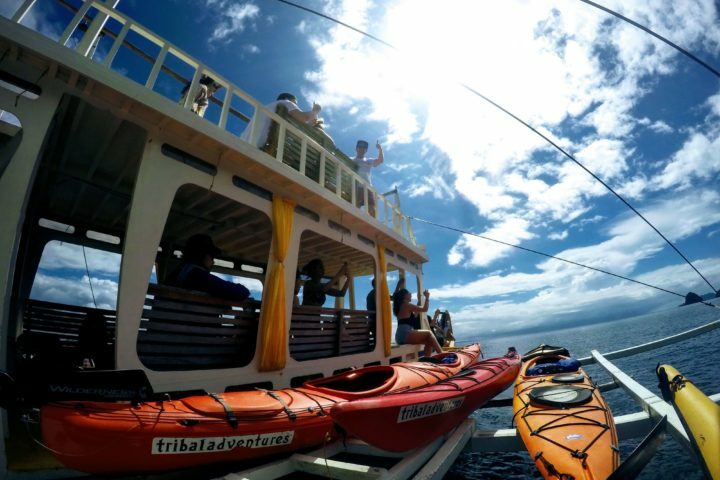 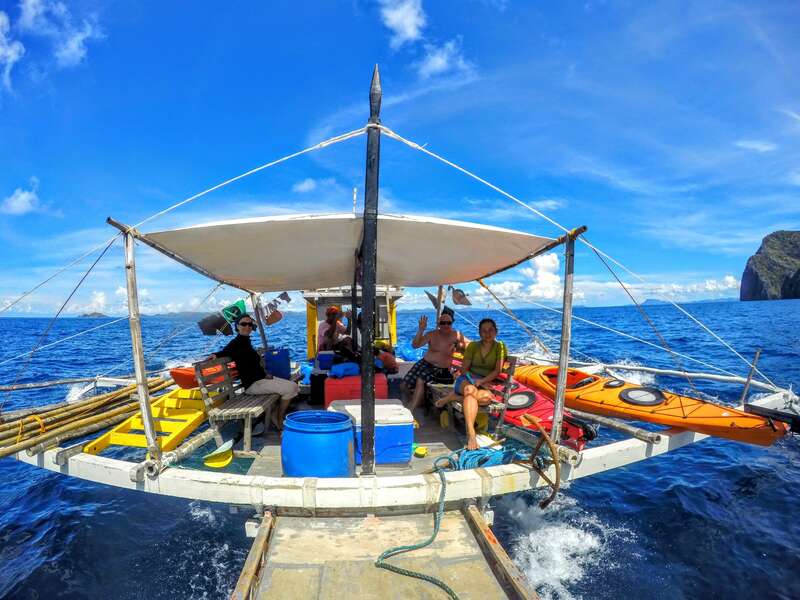 Tribal Adventures 1, our 55 ft support boat that we use for larger groups (up to 16 people) and on longer expeditions. 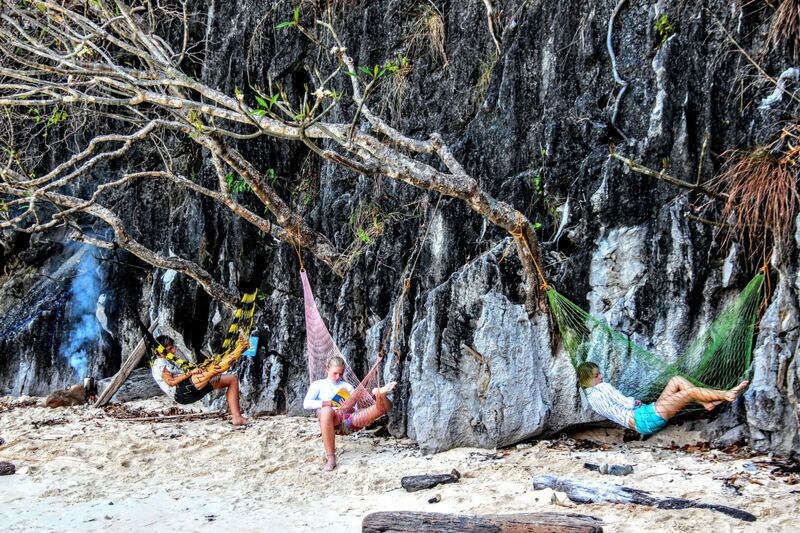 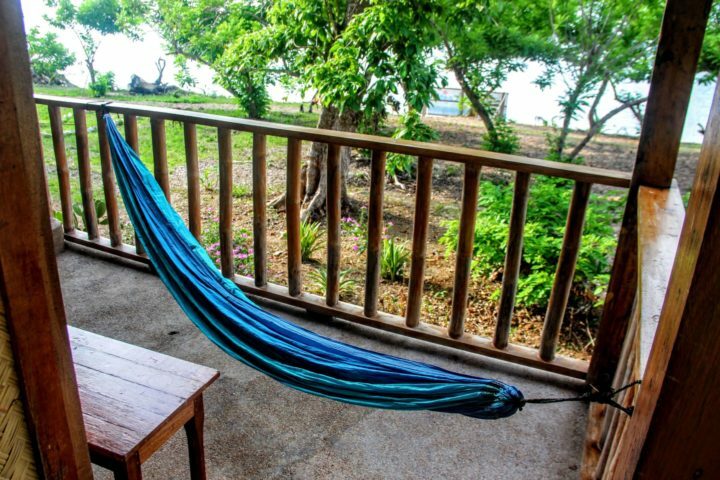 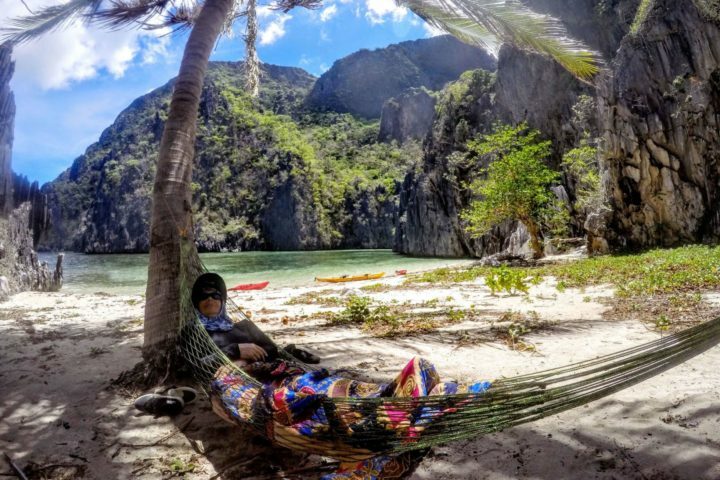 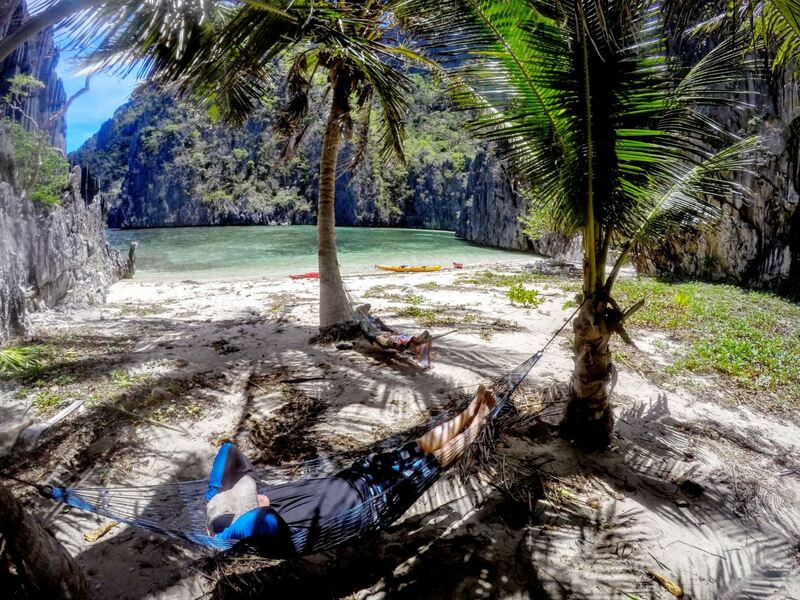 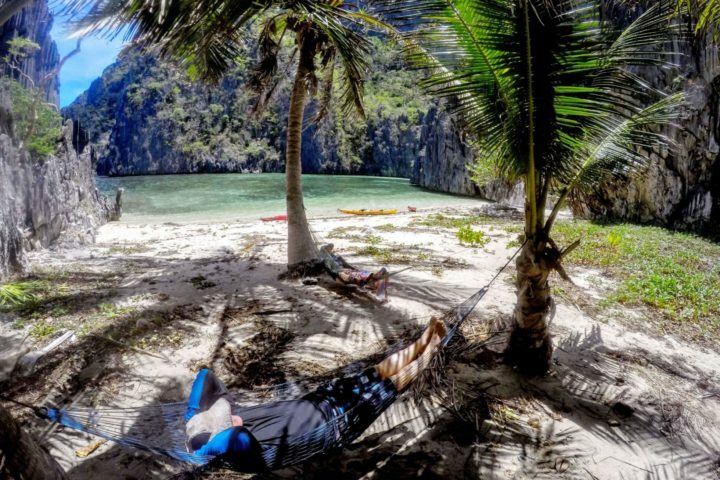 Chill-out hammock time - taking a break from paddling at a small white sand beach on Coron Island, Palawan. 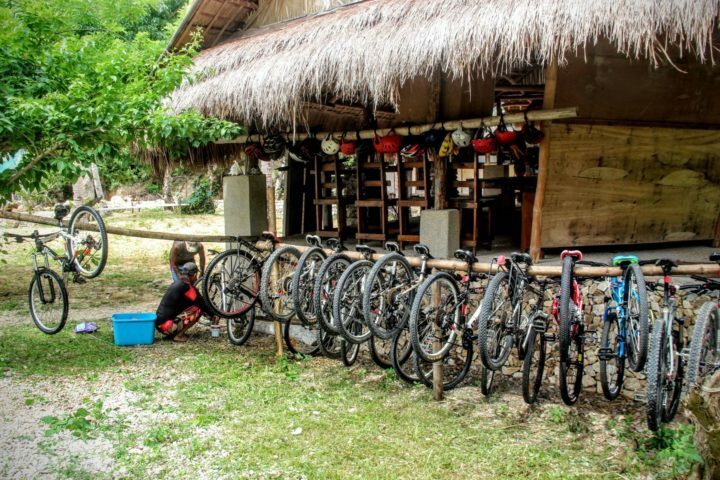 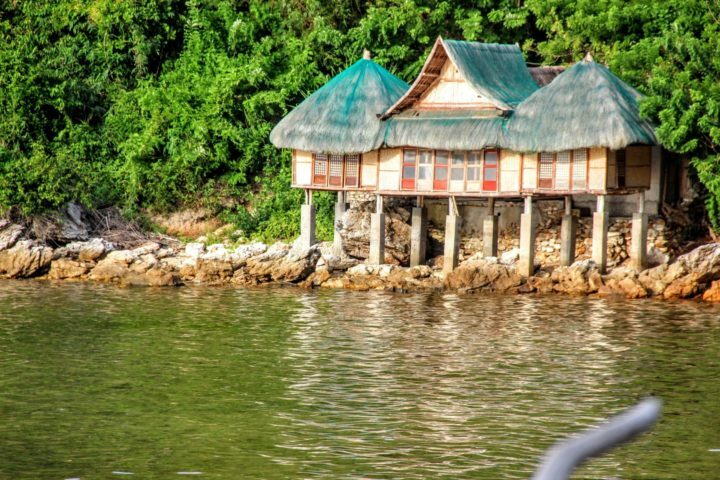 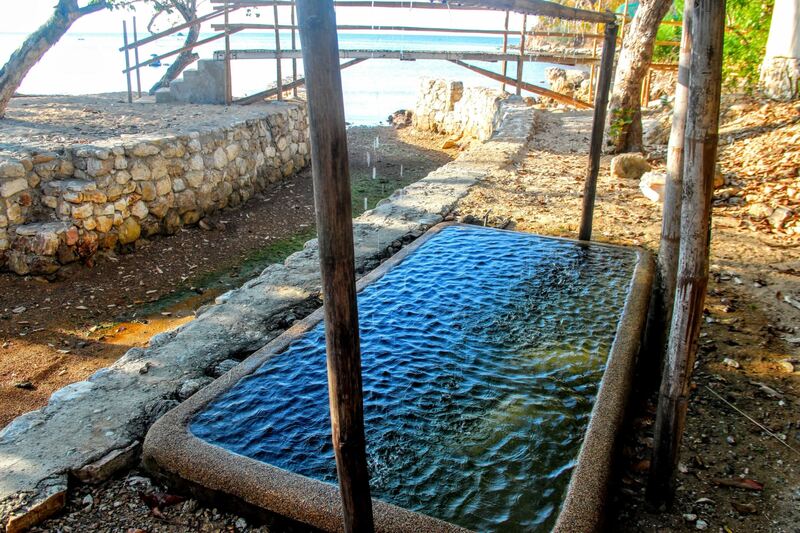 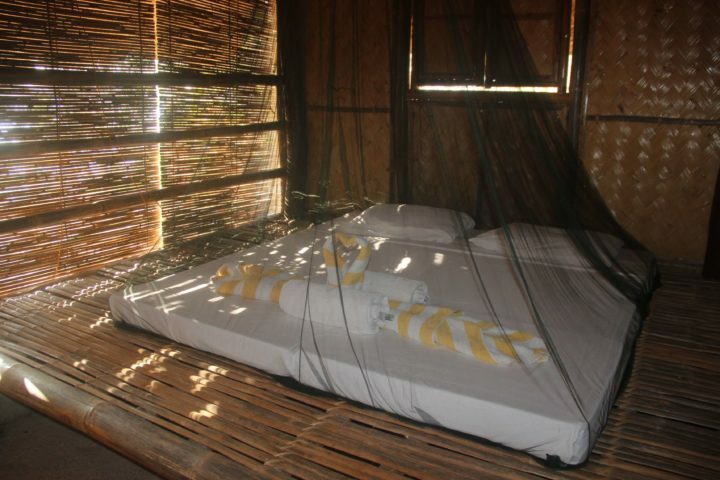 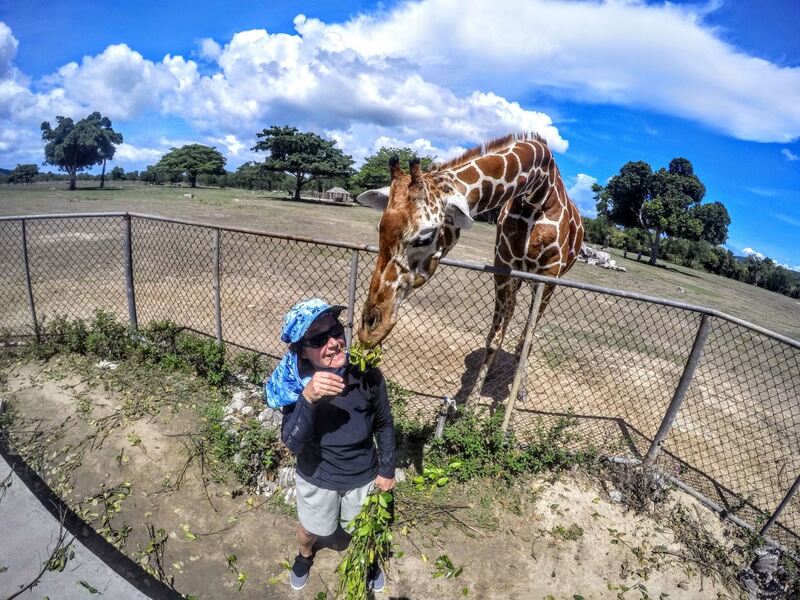 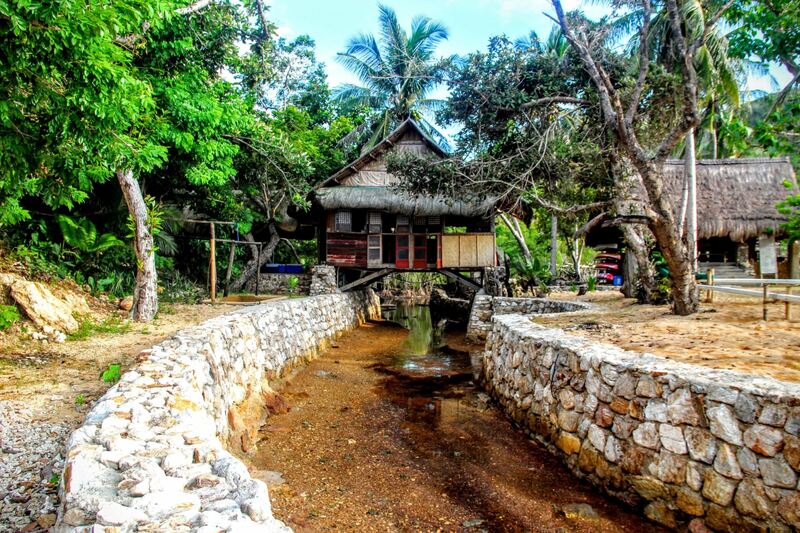 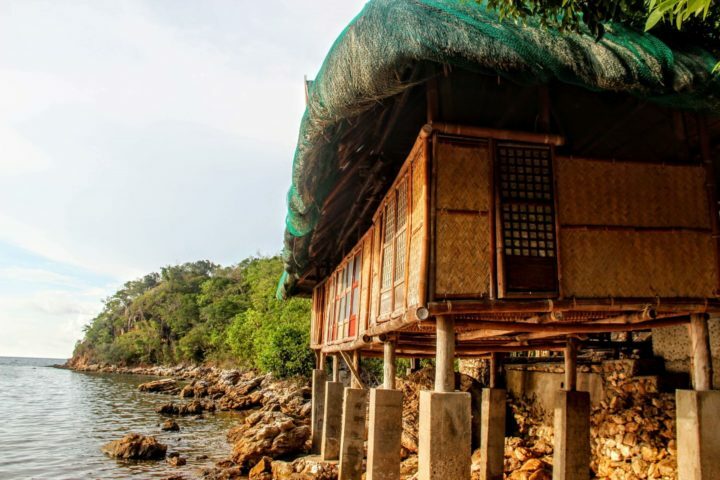 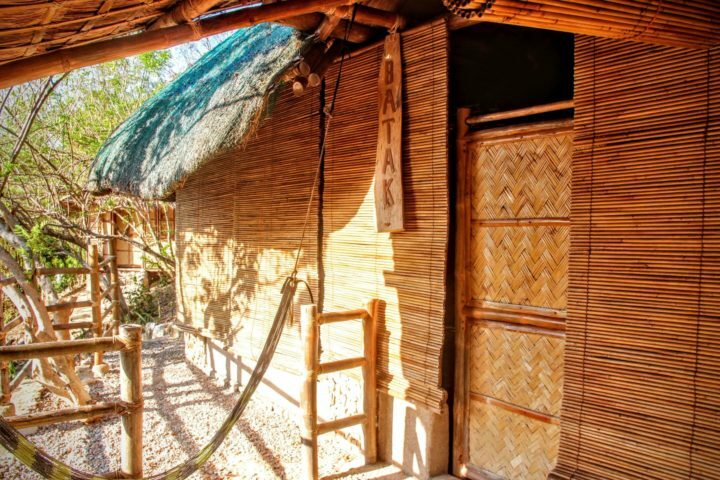 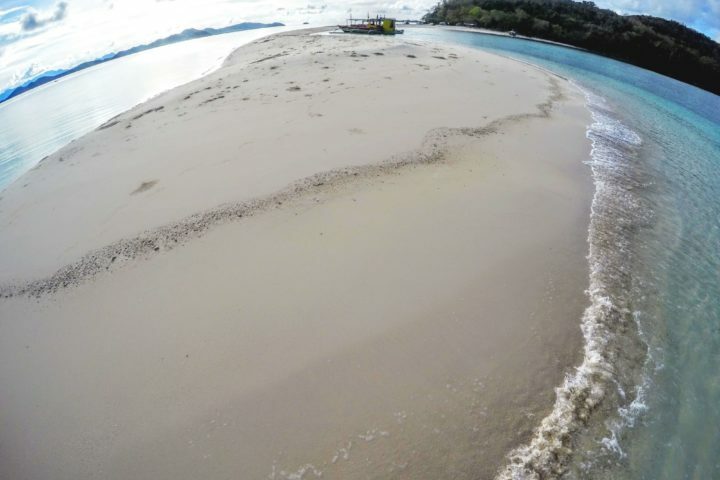 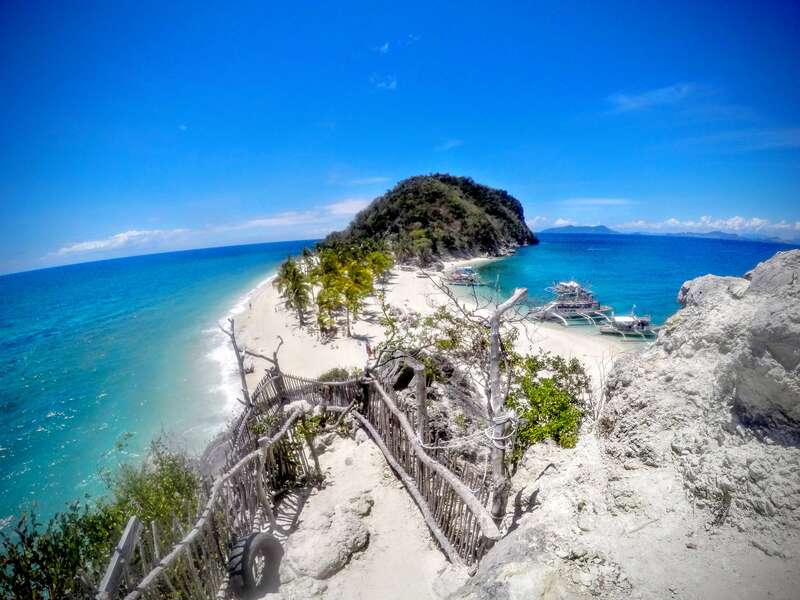 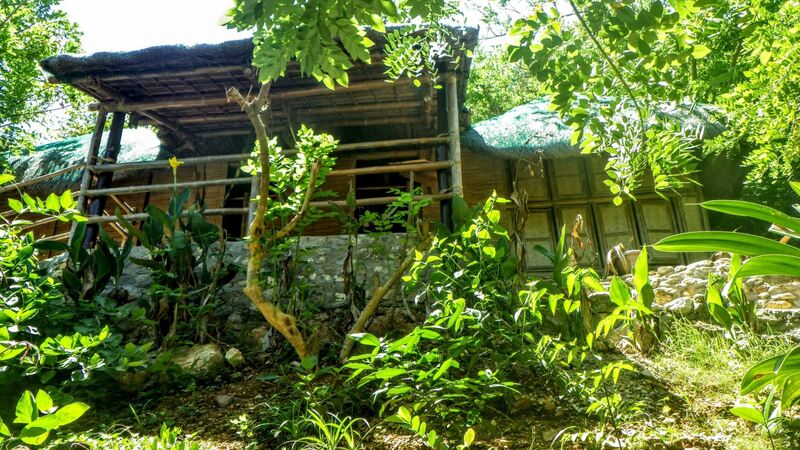 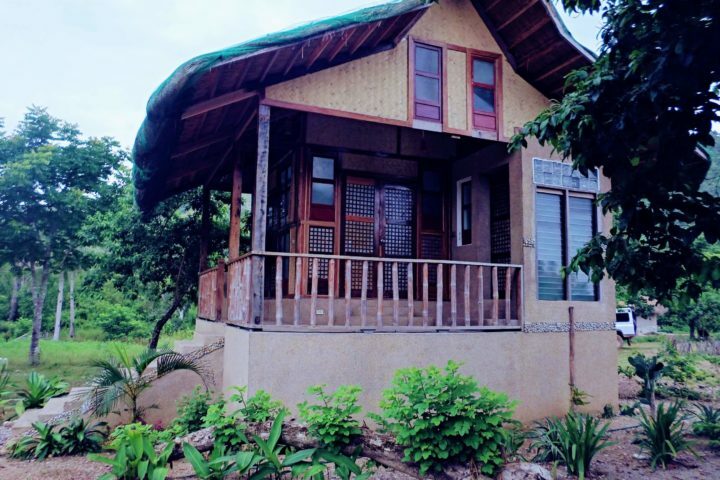 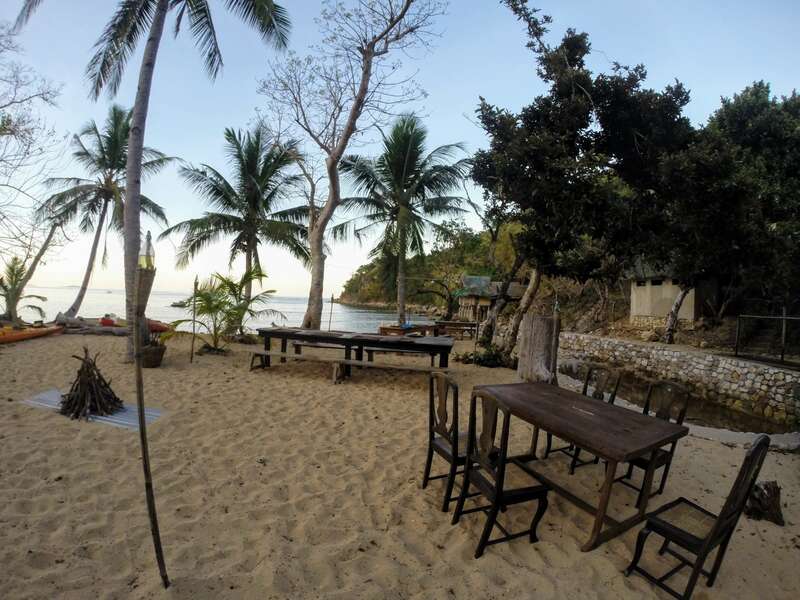 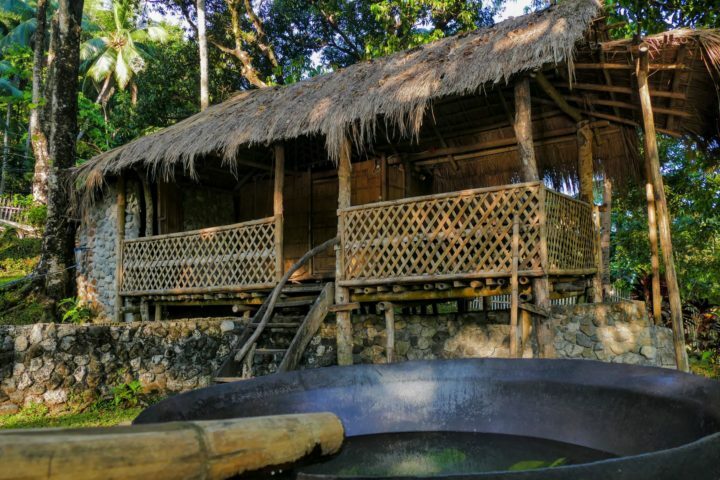 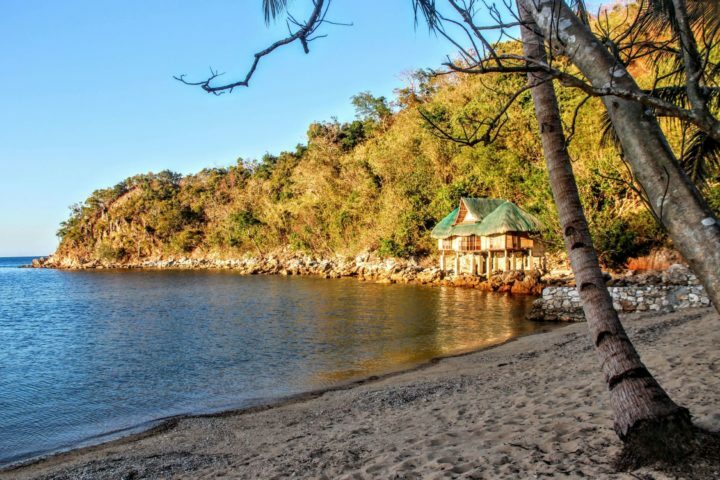 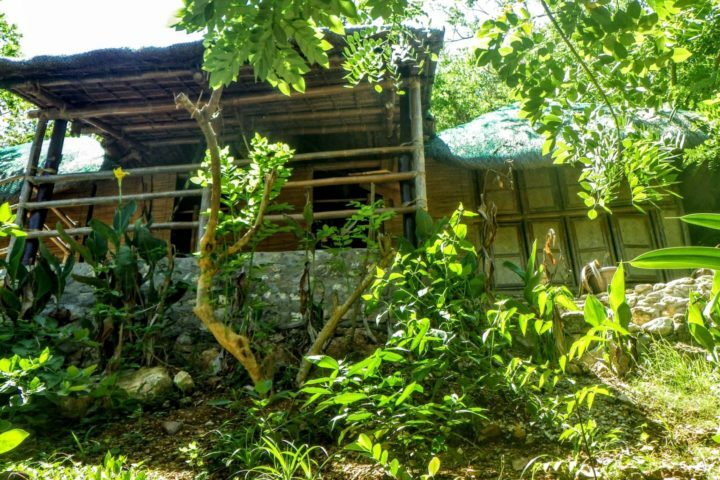 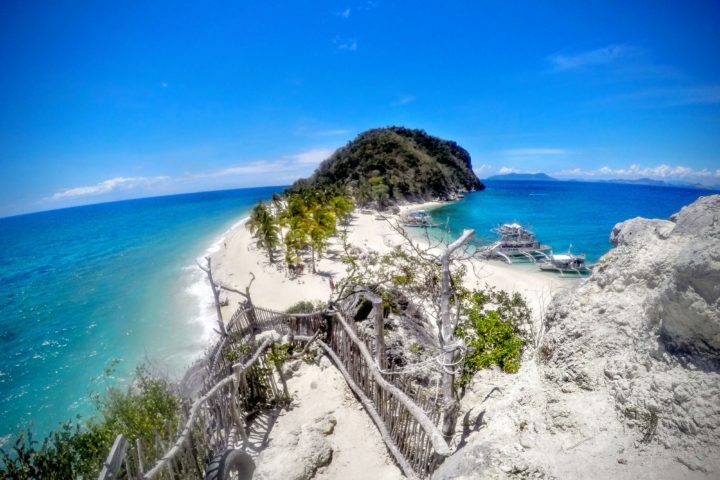 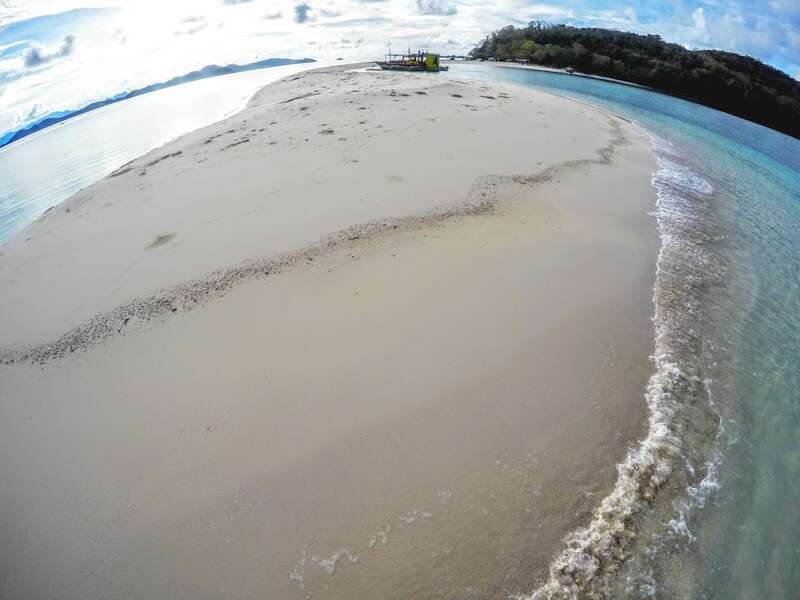 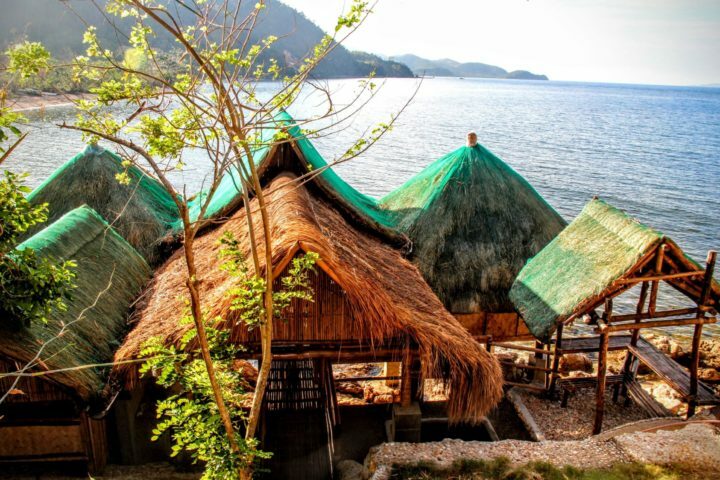 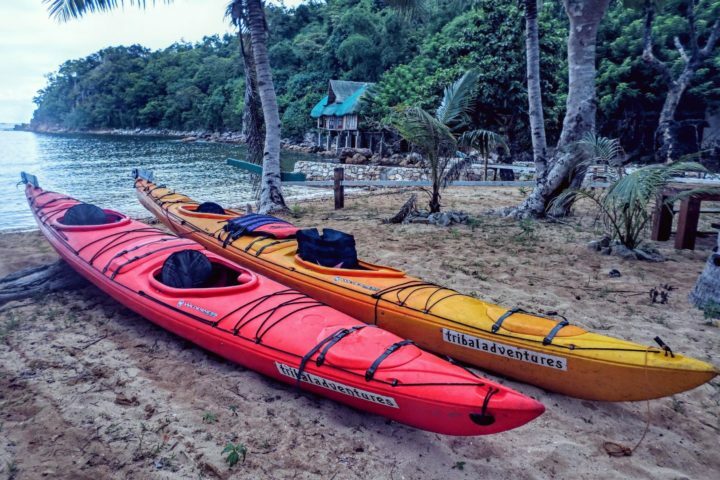 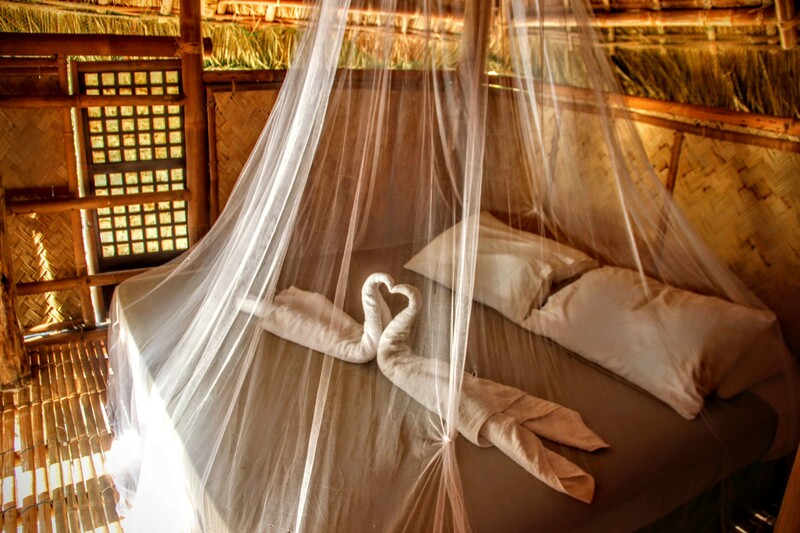 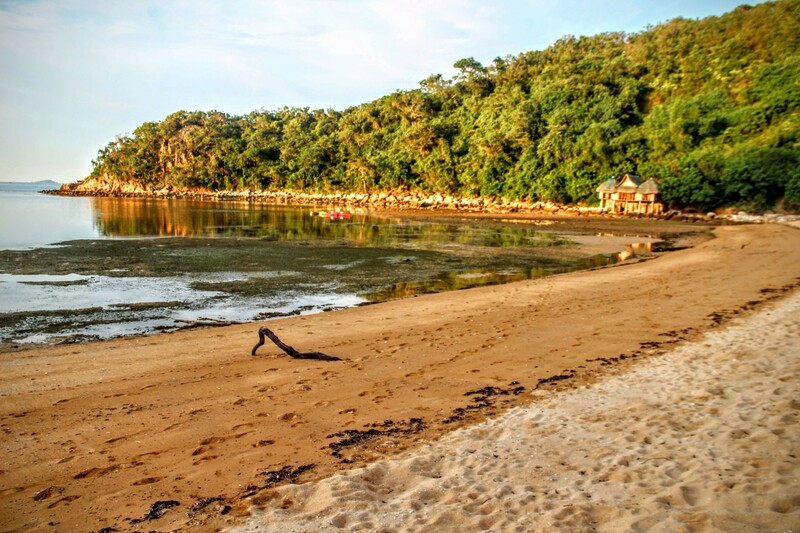 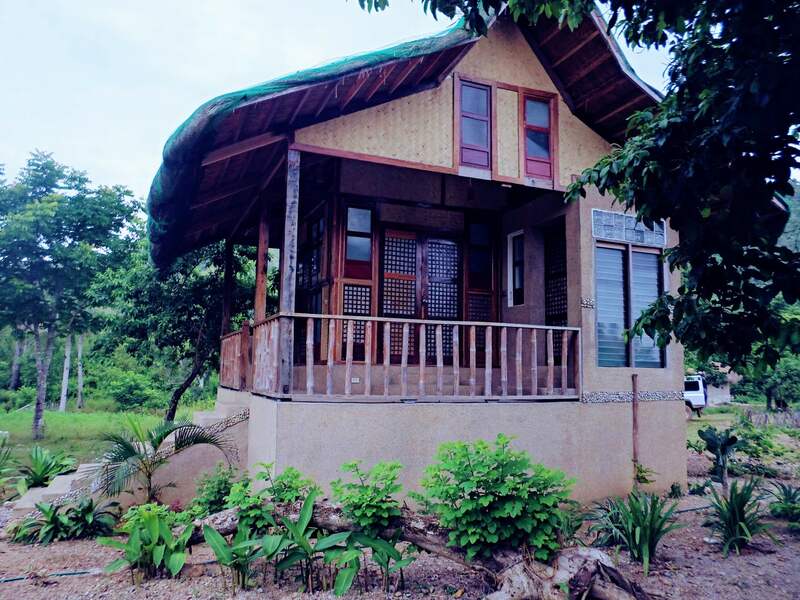 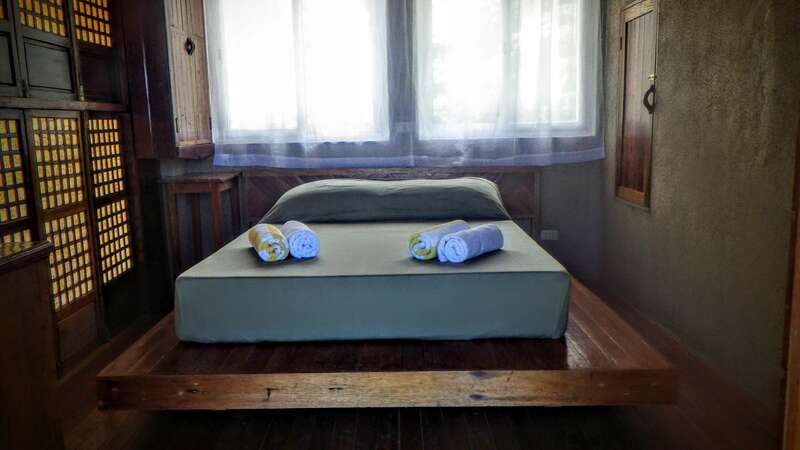 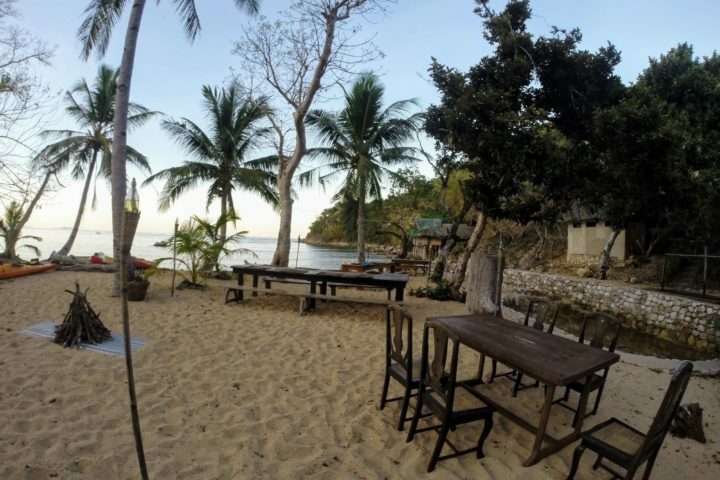 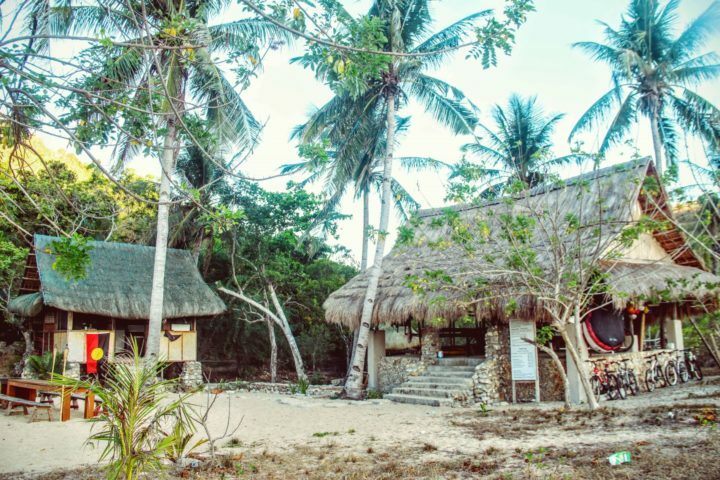 Seaside pavillion at Camp Calauit, located within Palawan SandCastles in Cheey, Busuanga - jump off point for kayak, snorkel and dugong watching adventures. 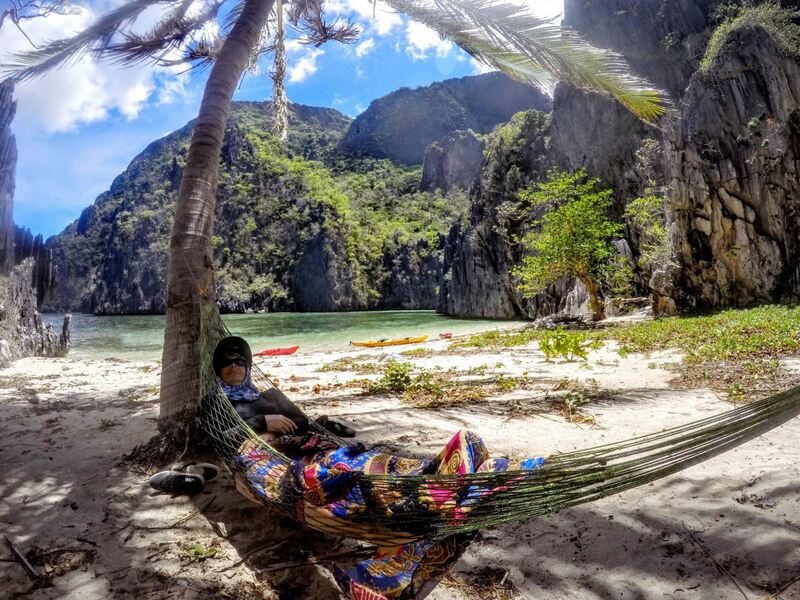 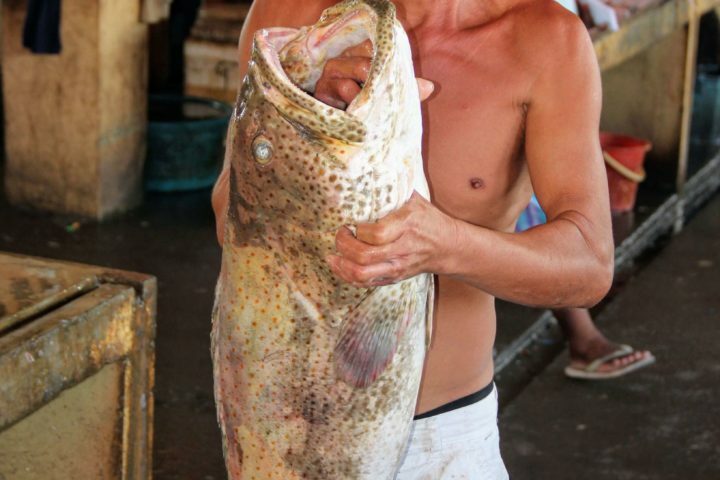 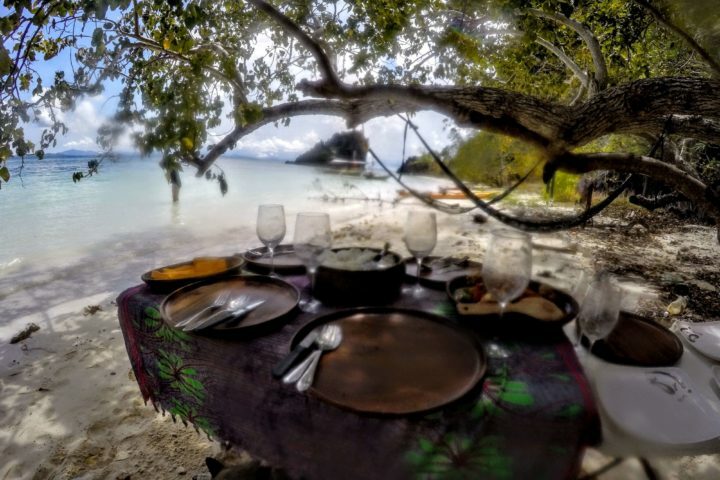 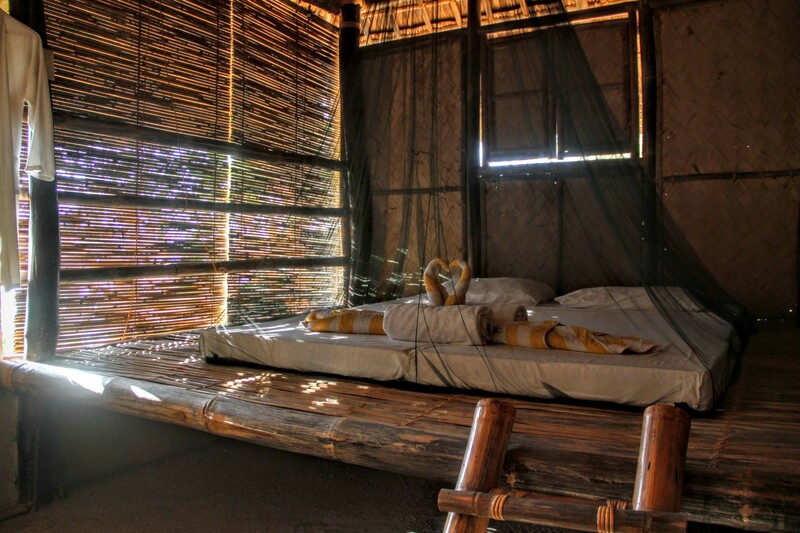 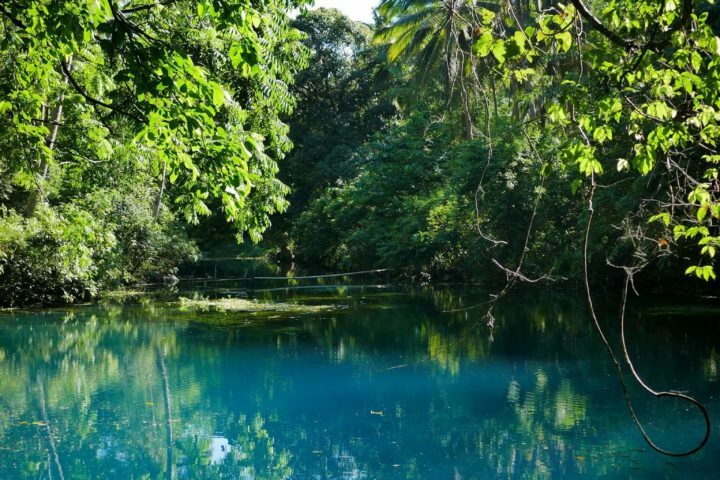 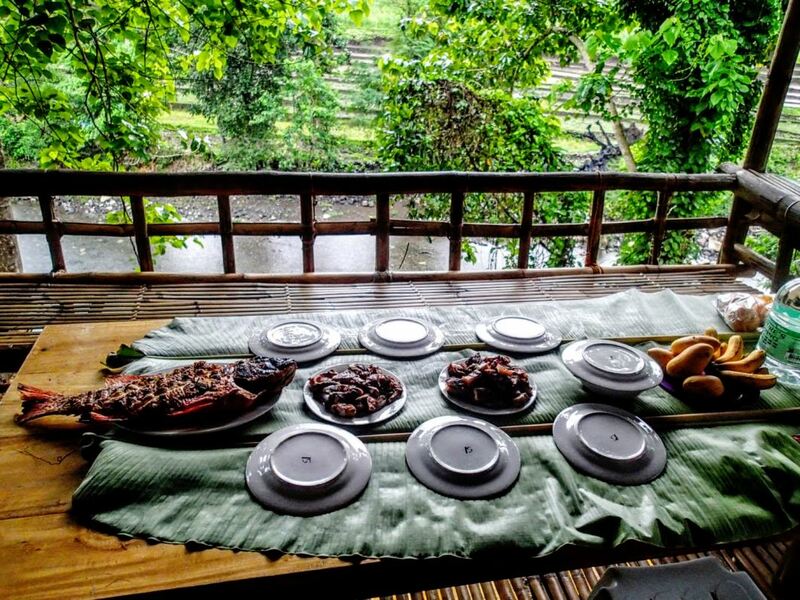 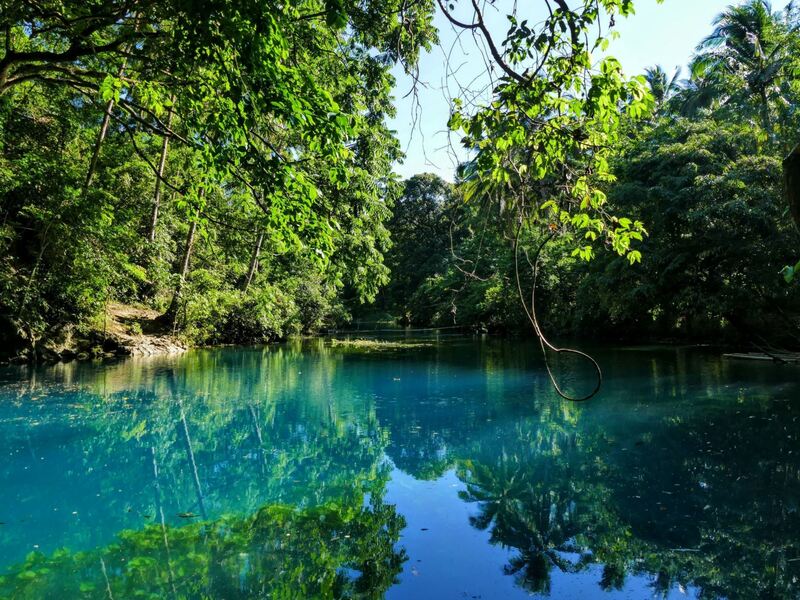 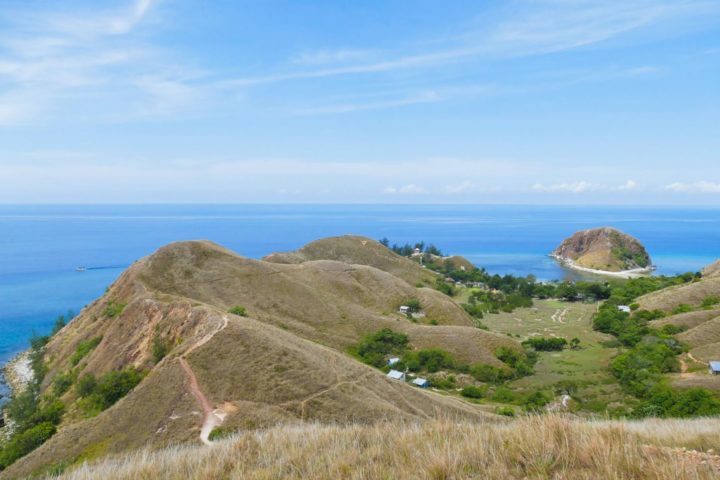 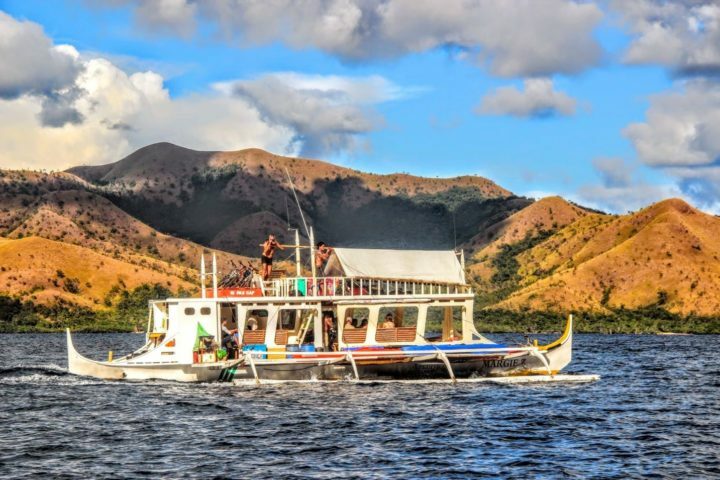 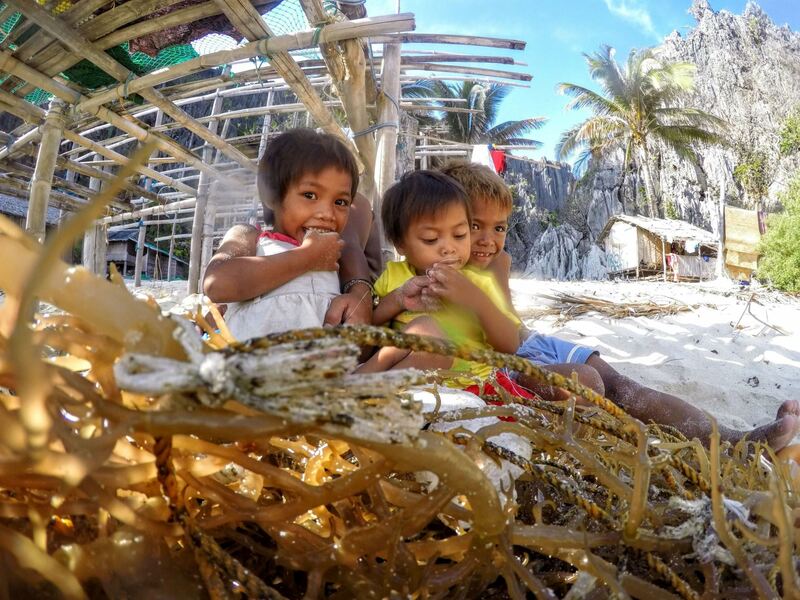 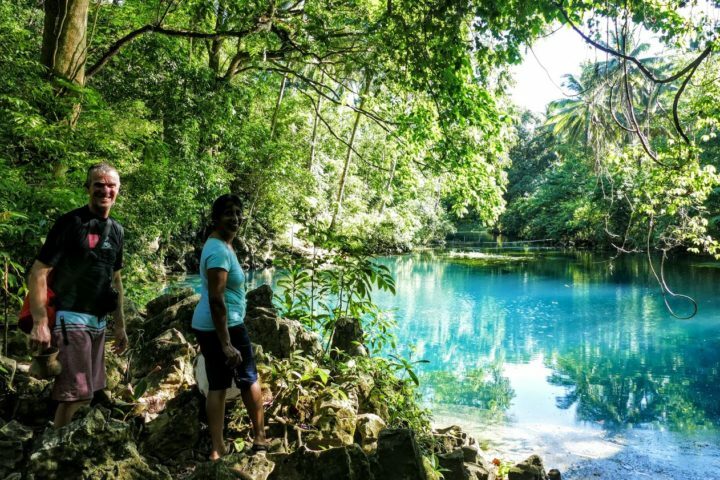 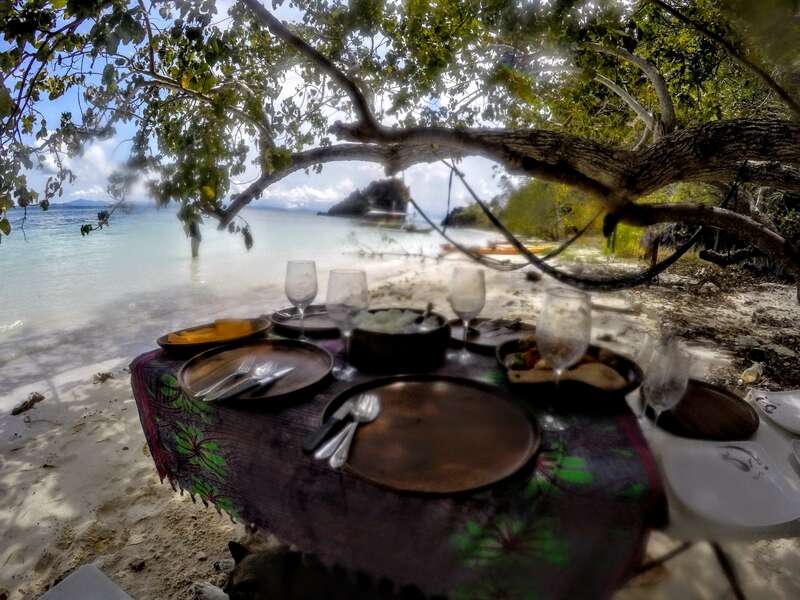 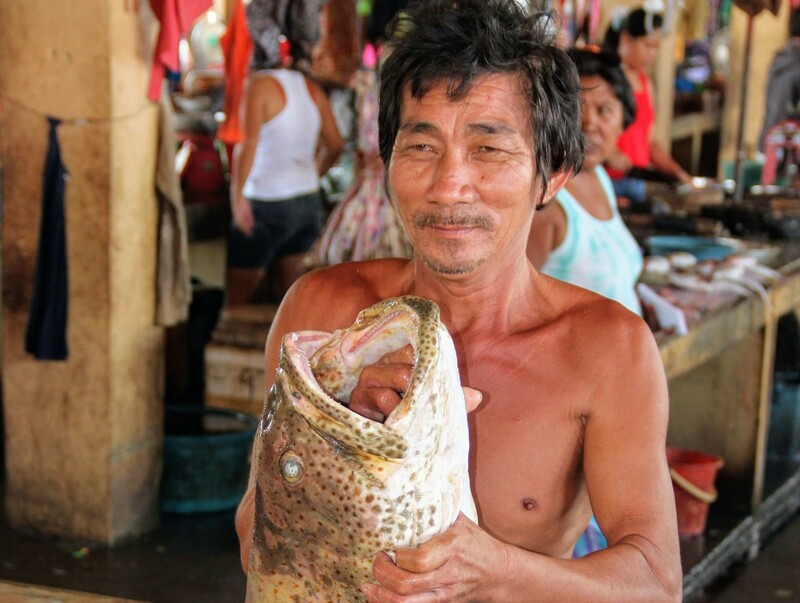 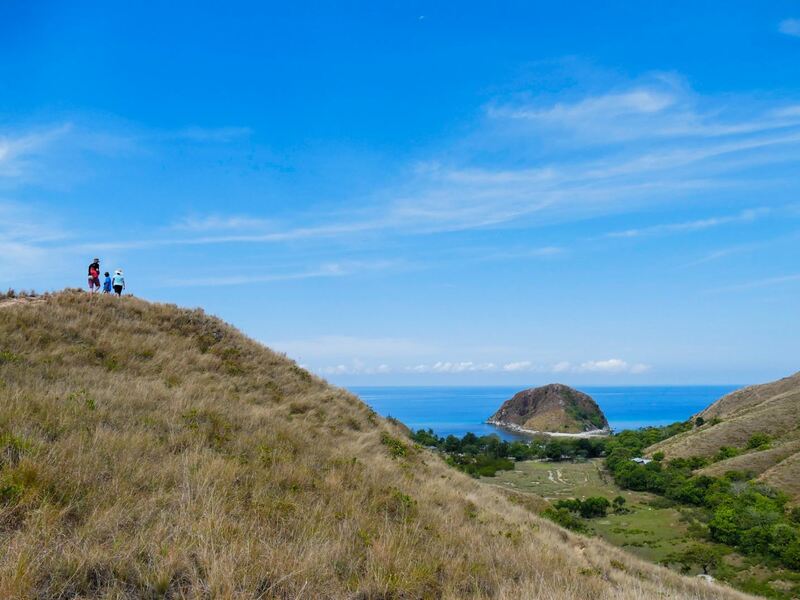 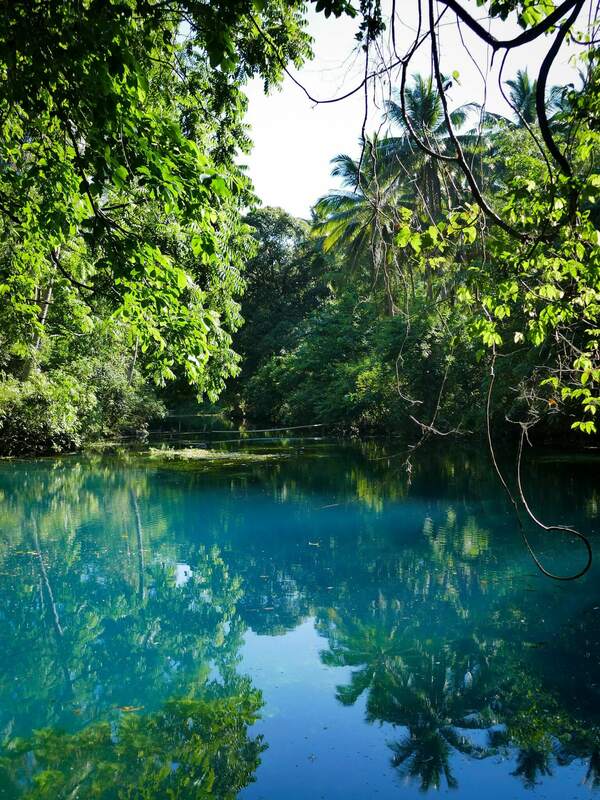 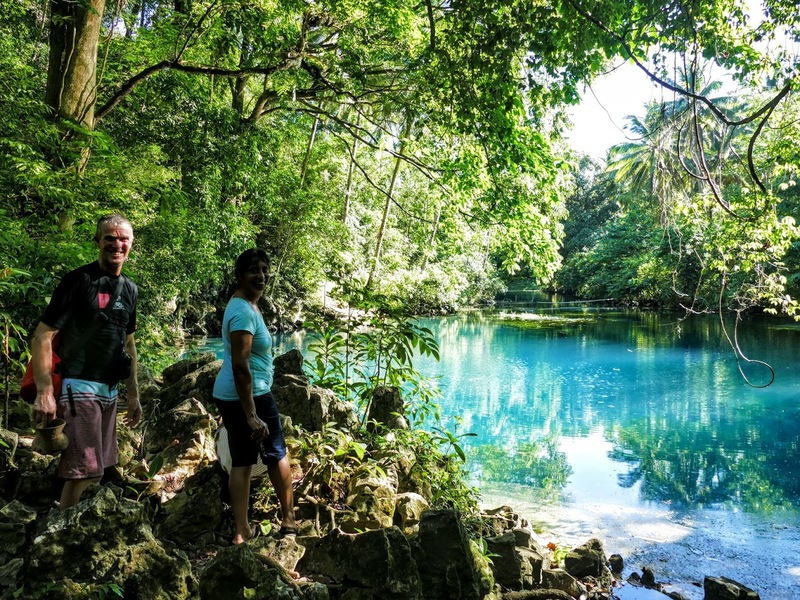 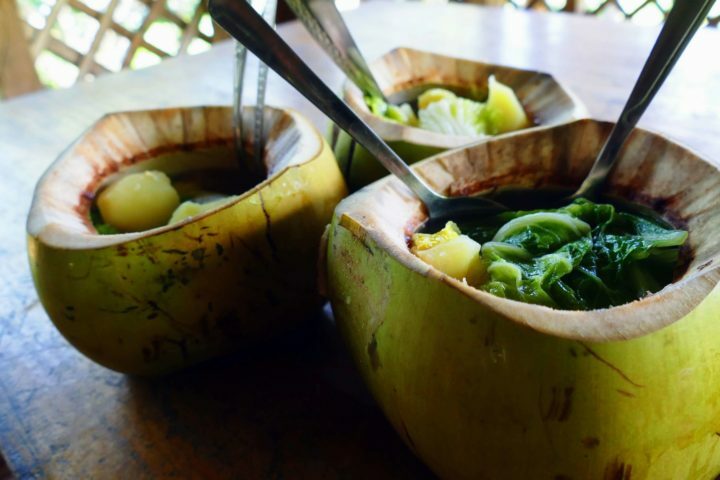 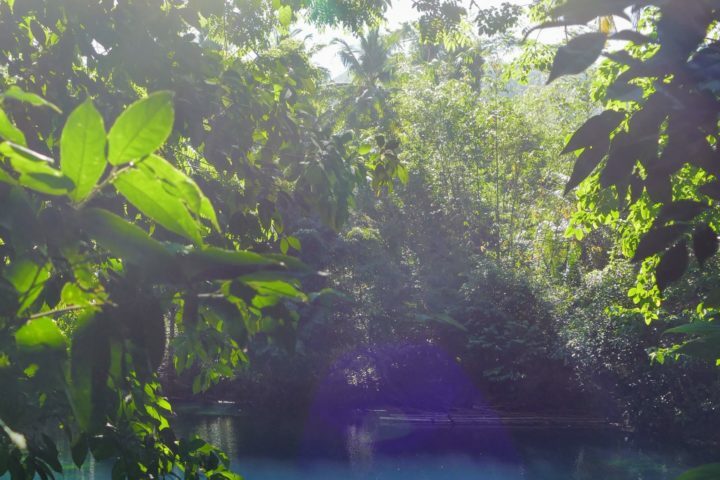 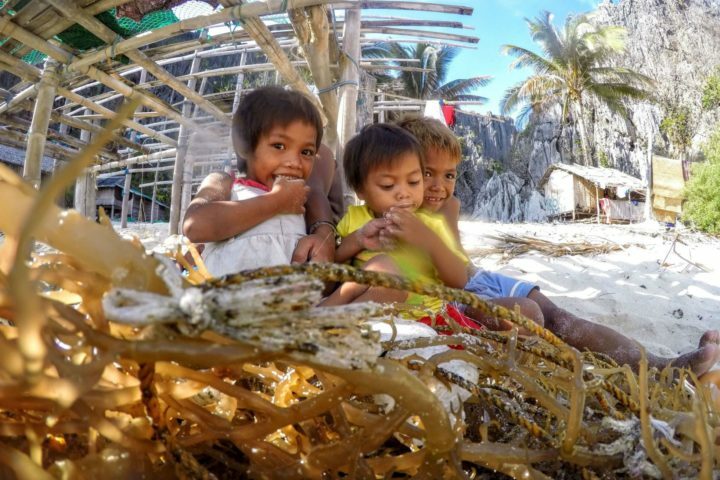 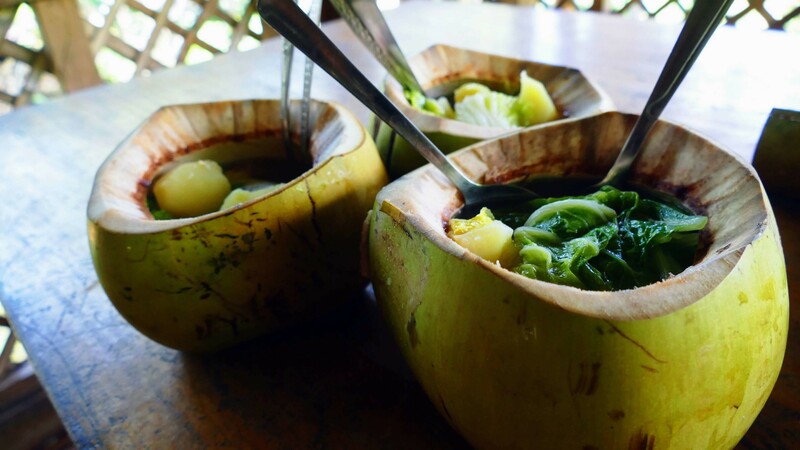 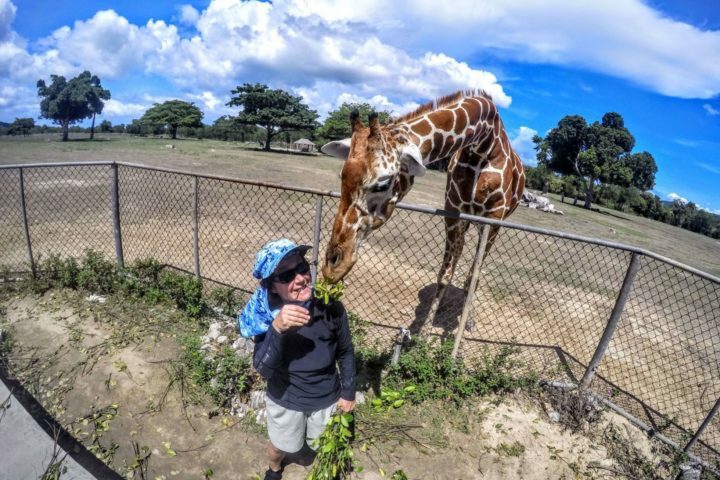 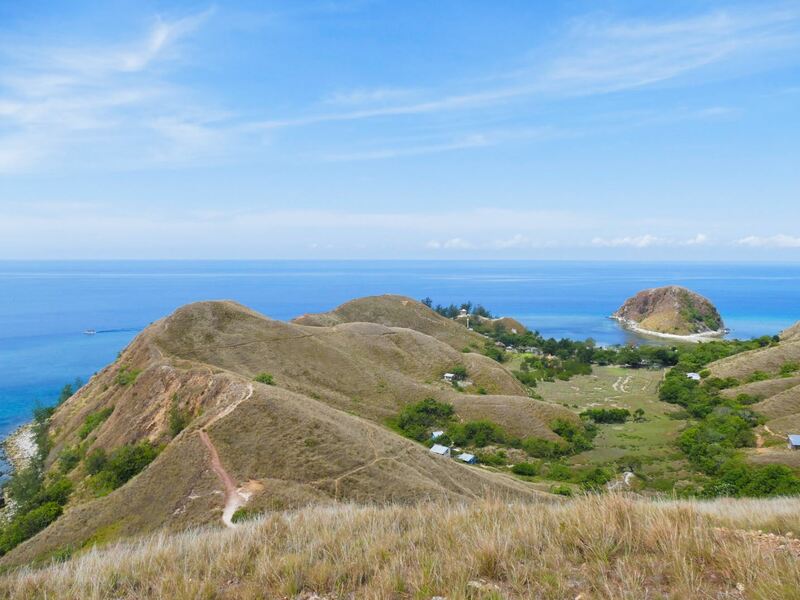 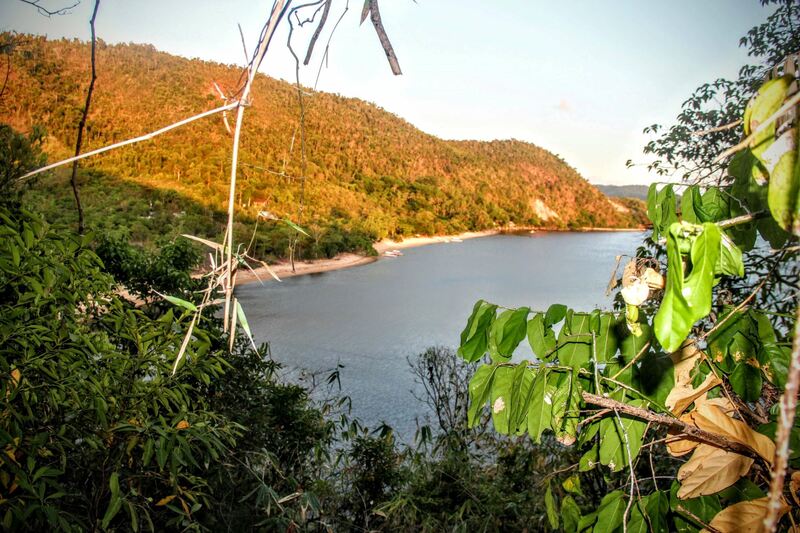 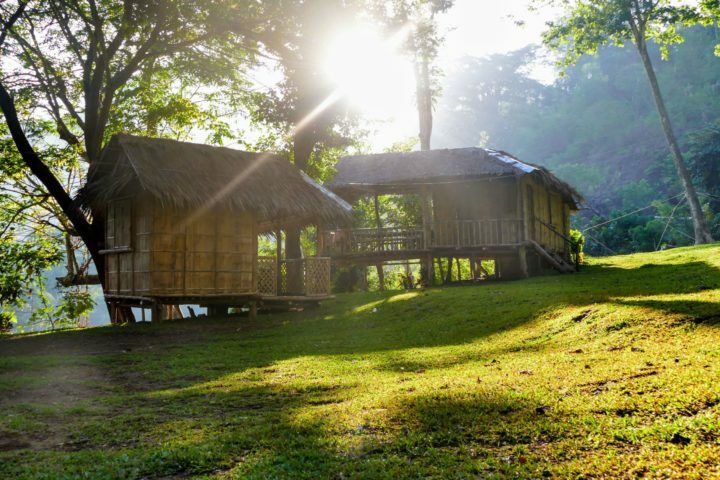 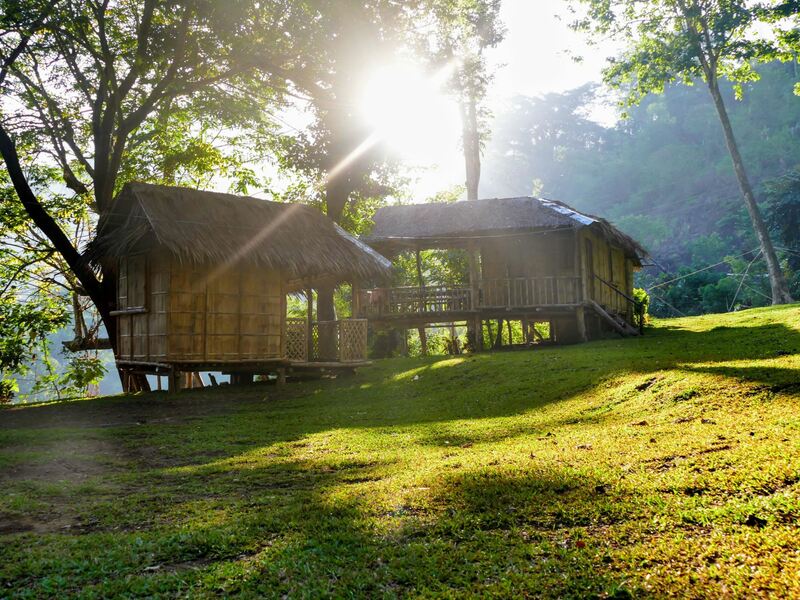 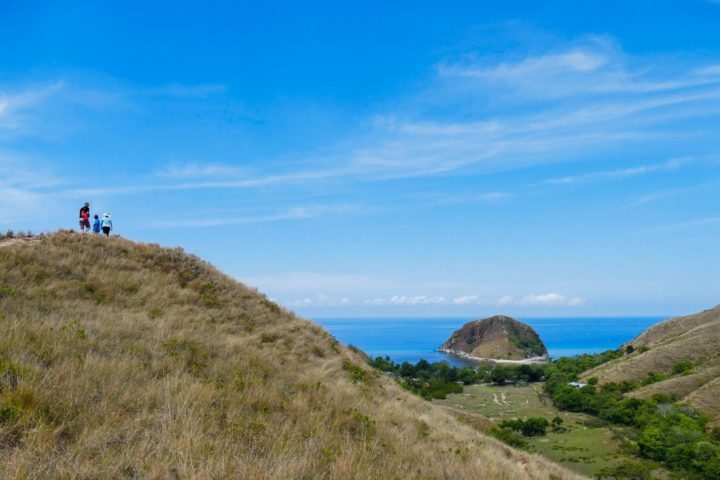 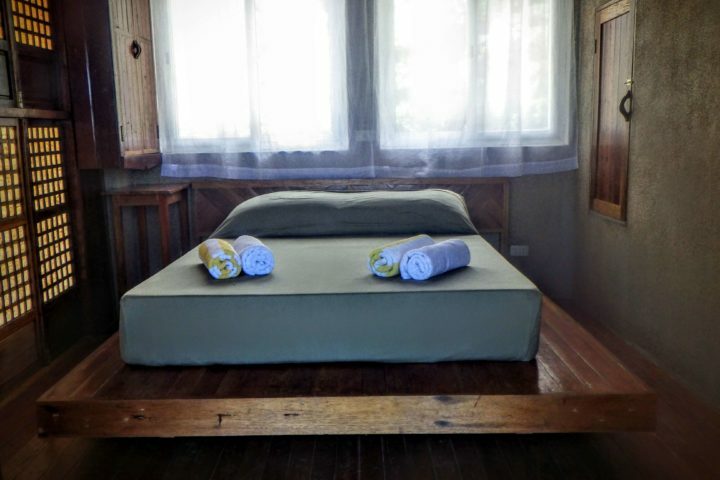 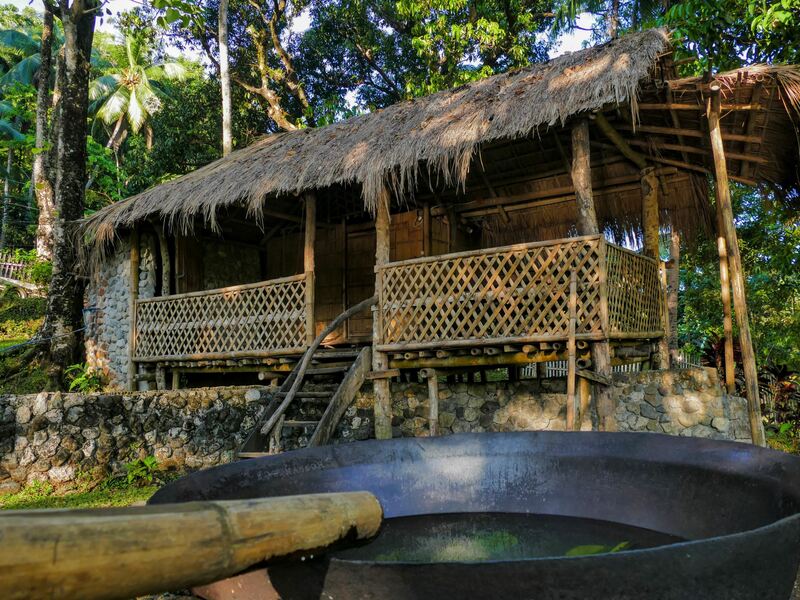 Camping in one of our favorite spots on the west coast of Coron Island, where we meet some of the local Tagbanua tribe. 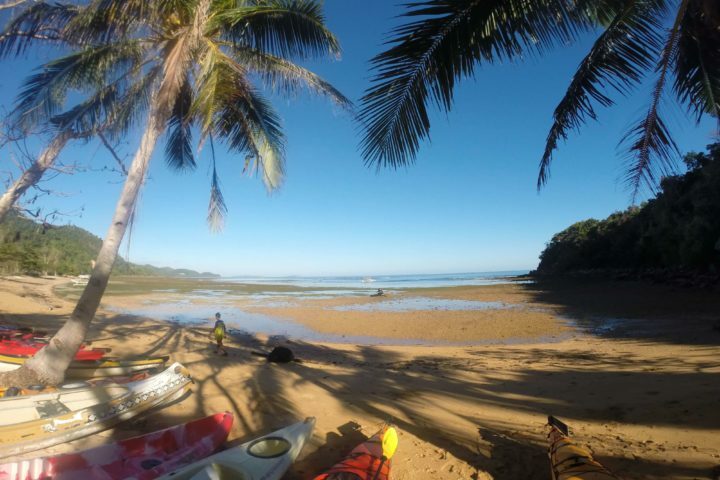 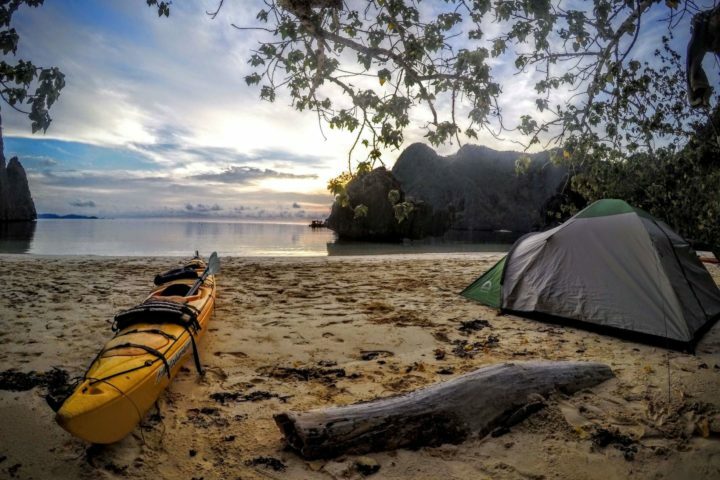 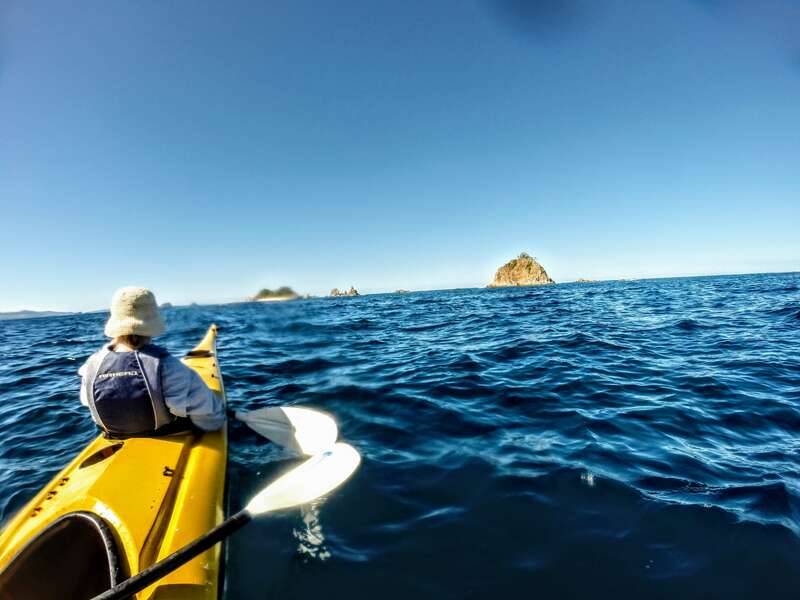 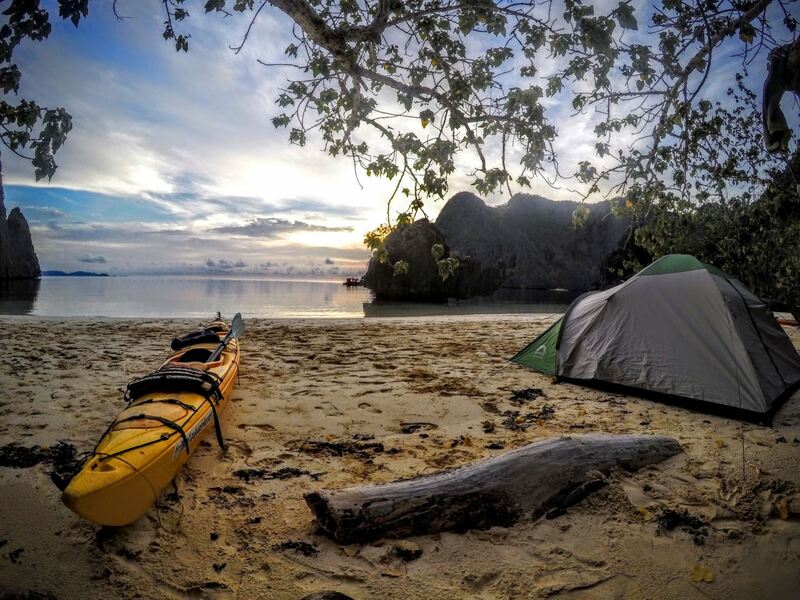 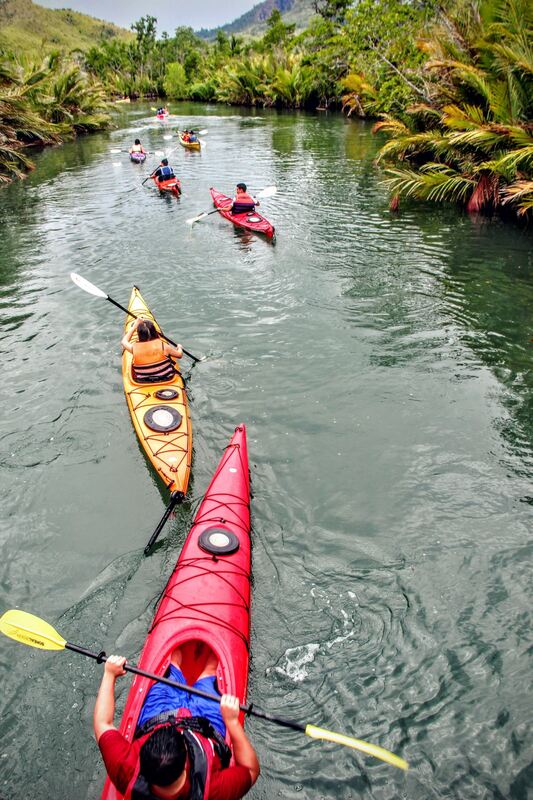 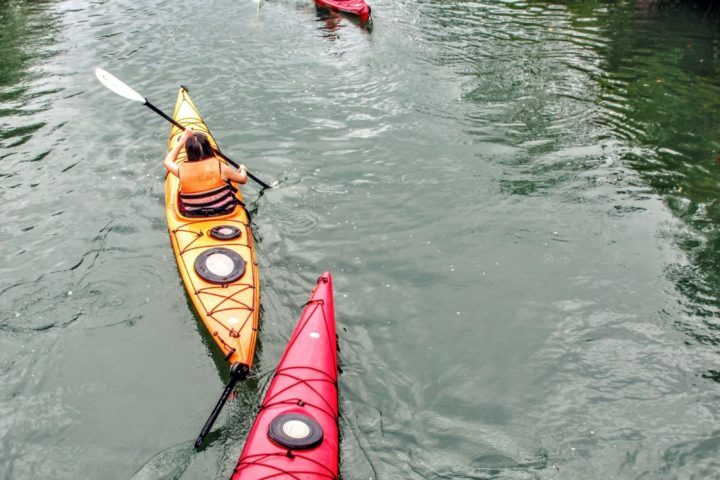 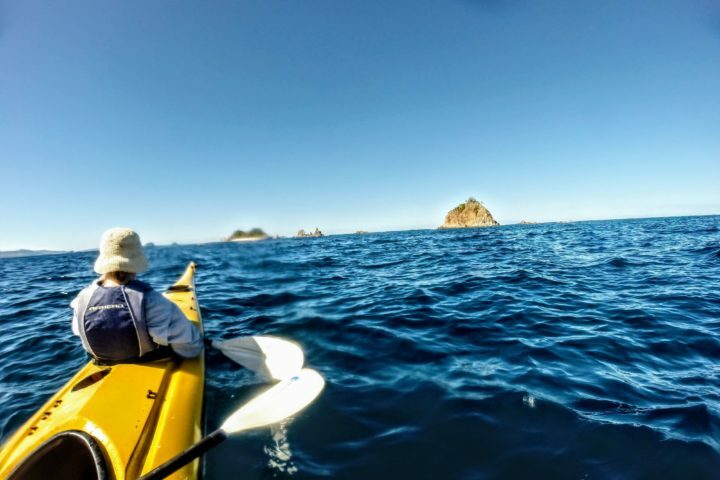 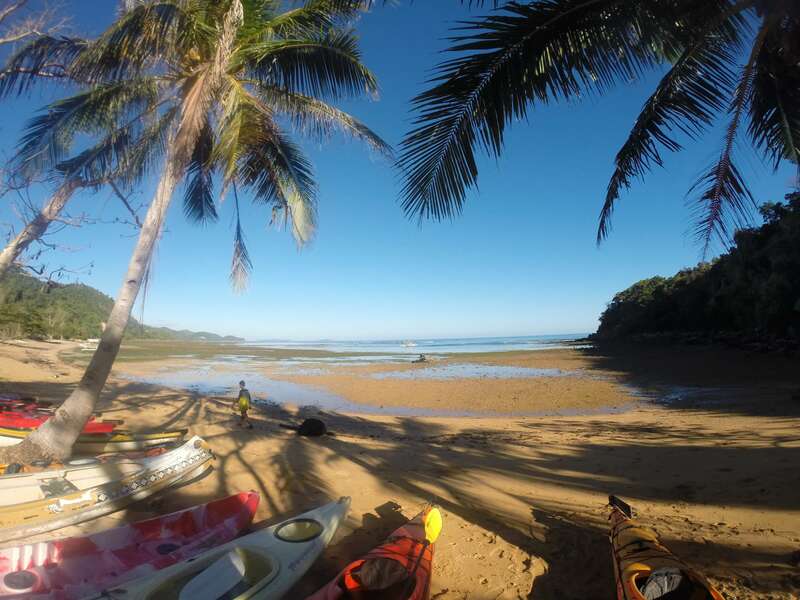 True exploration - kayak and camp. 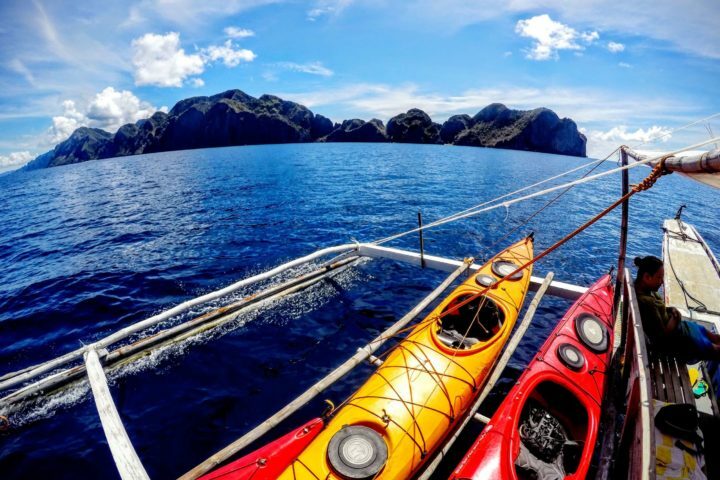 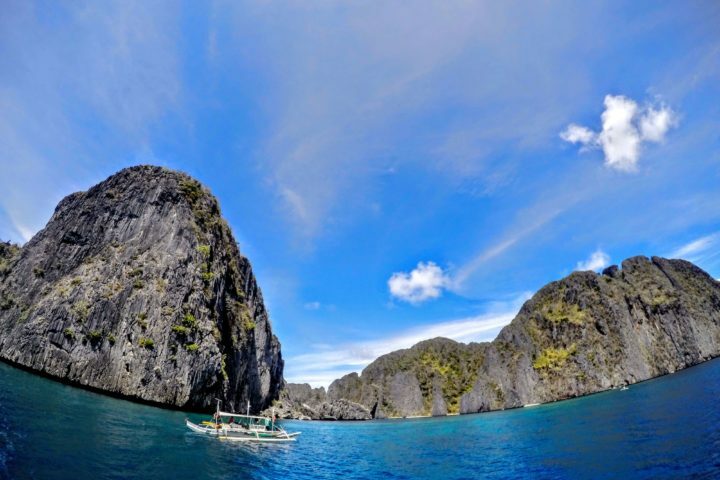 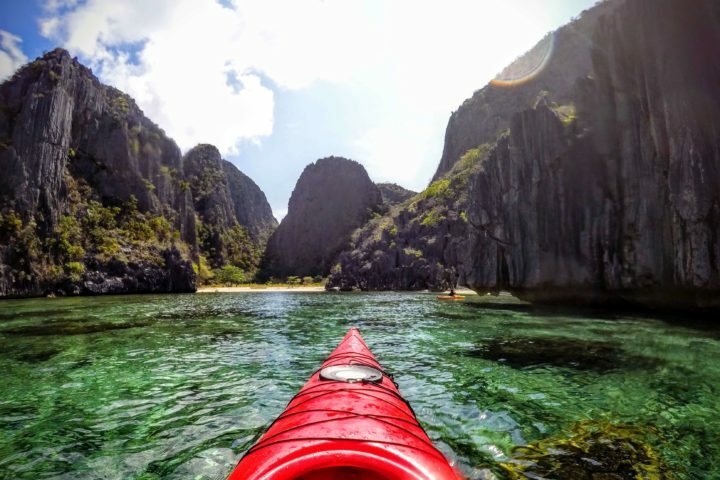 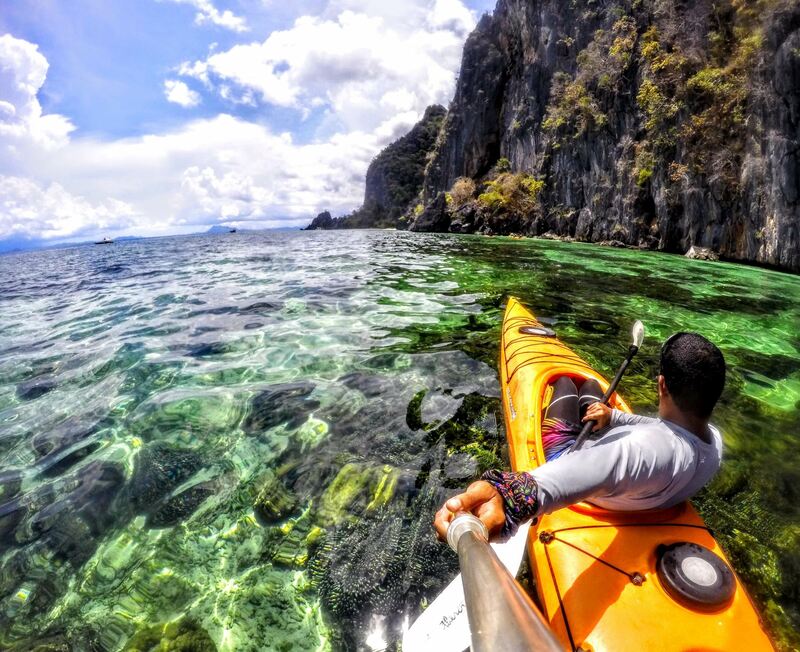 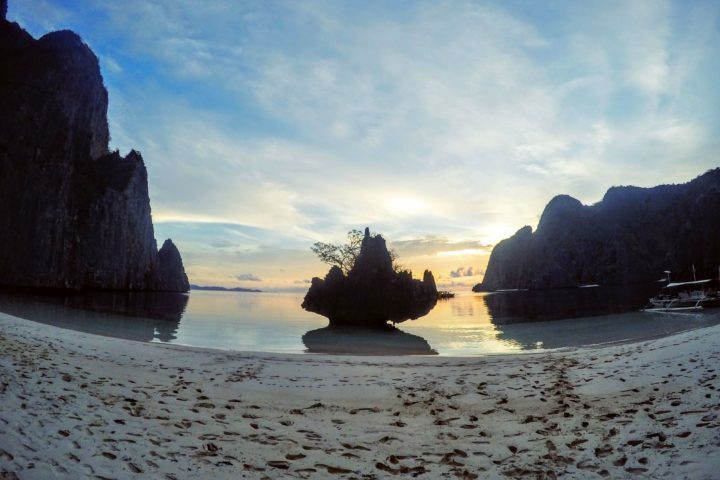 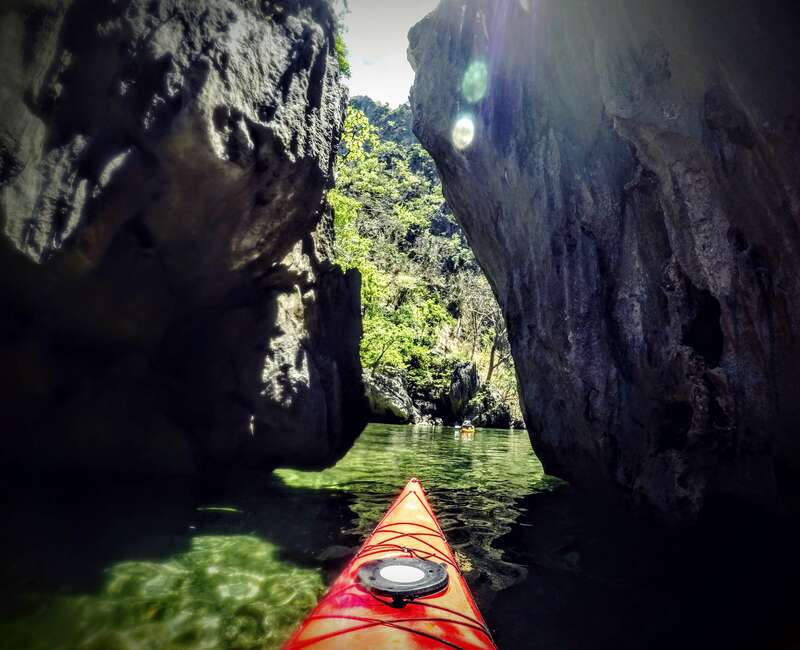 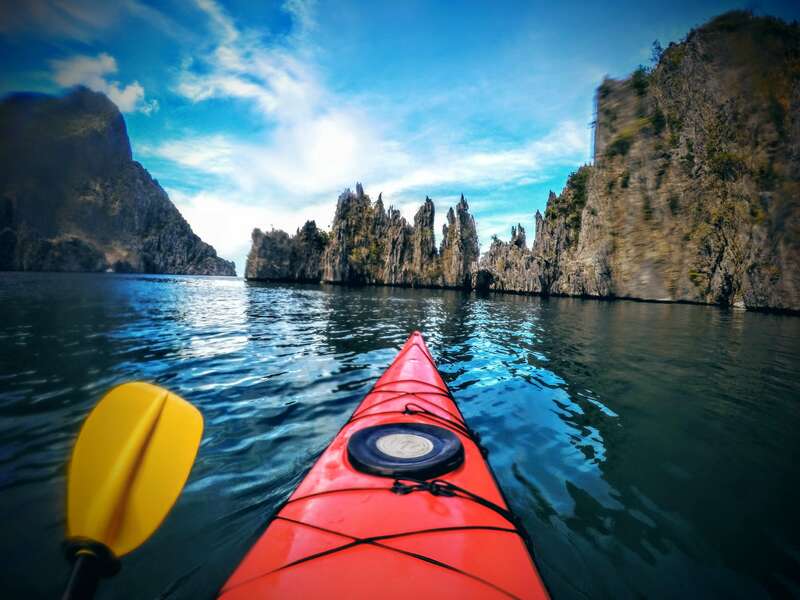 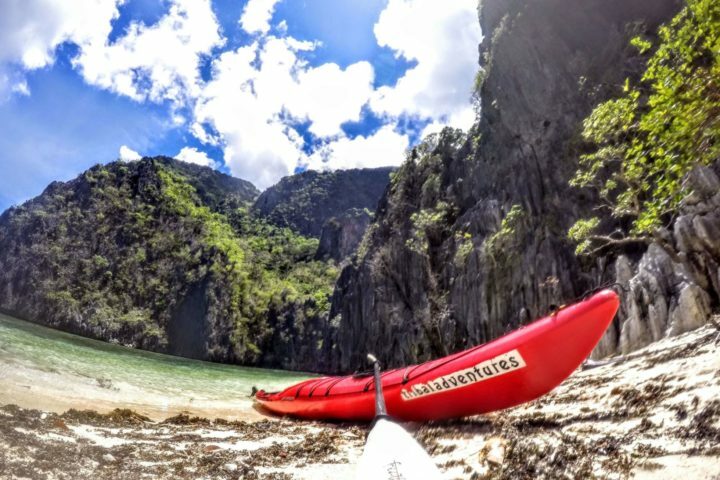 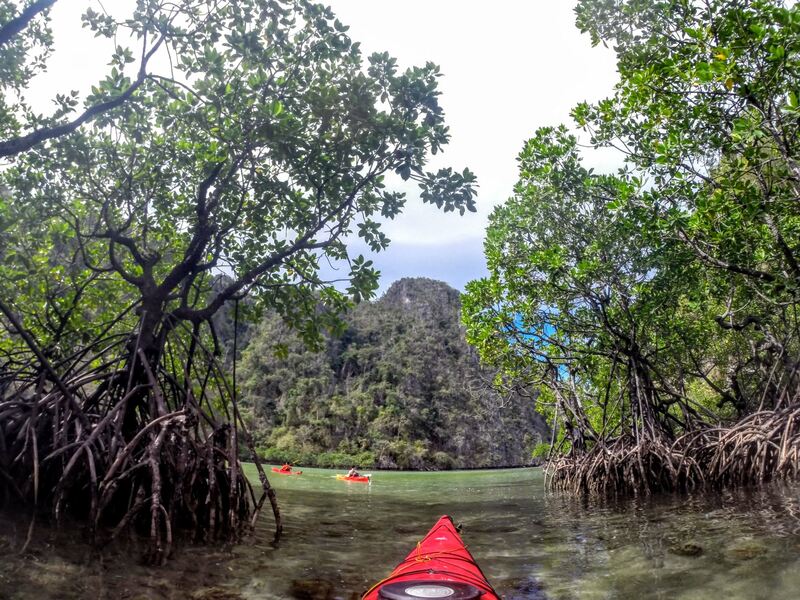 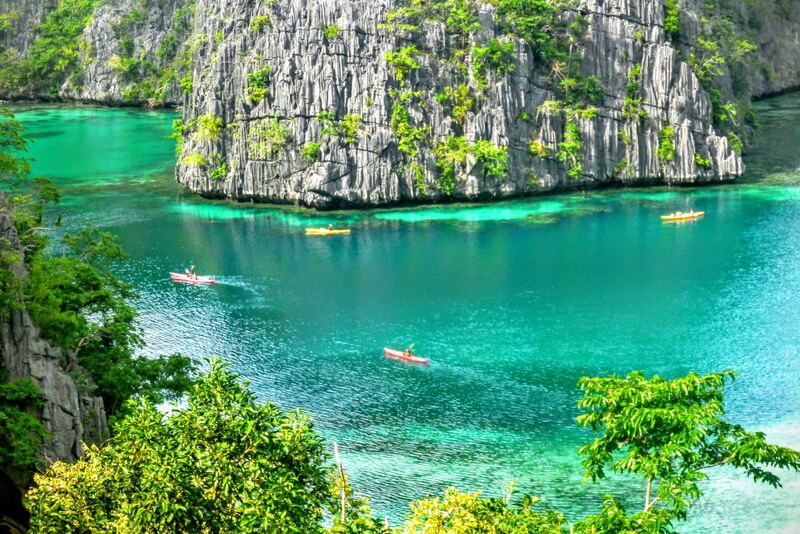 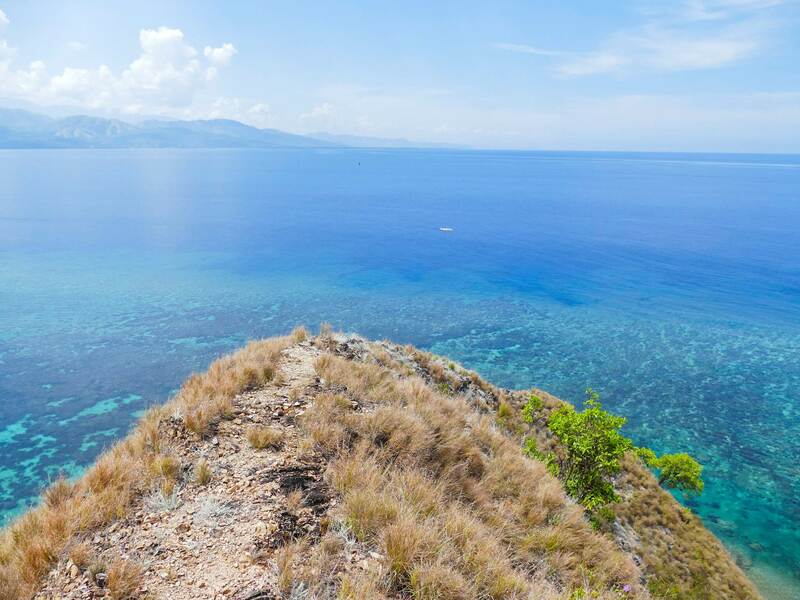 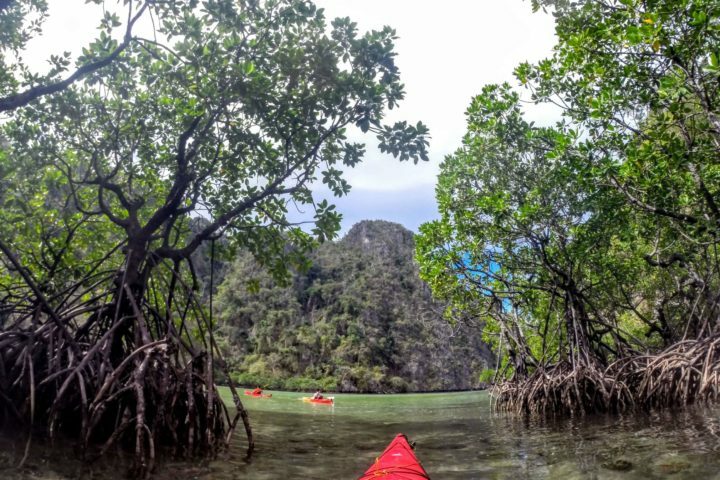 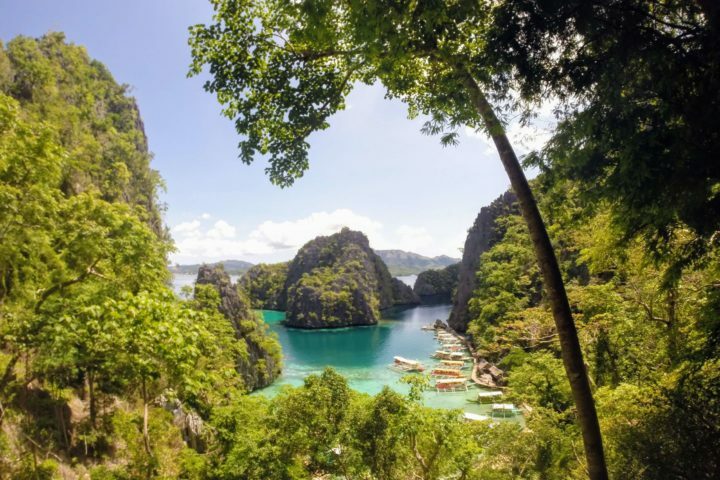 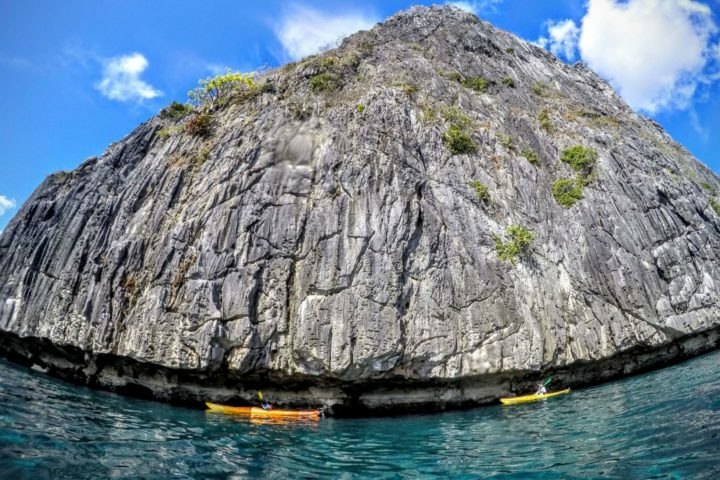 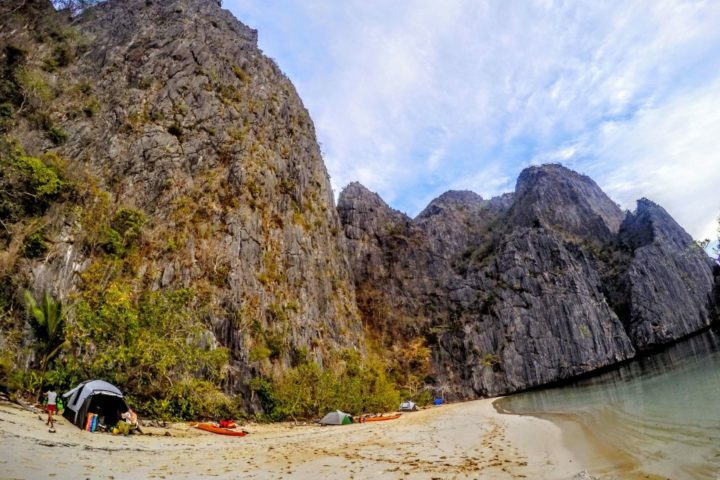 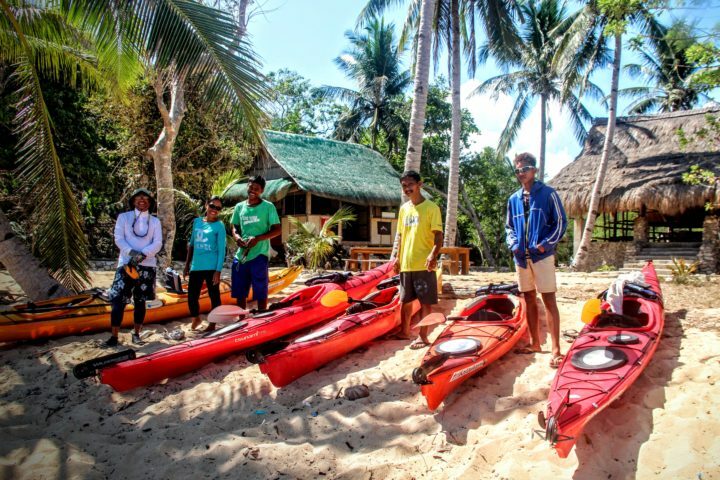 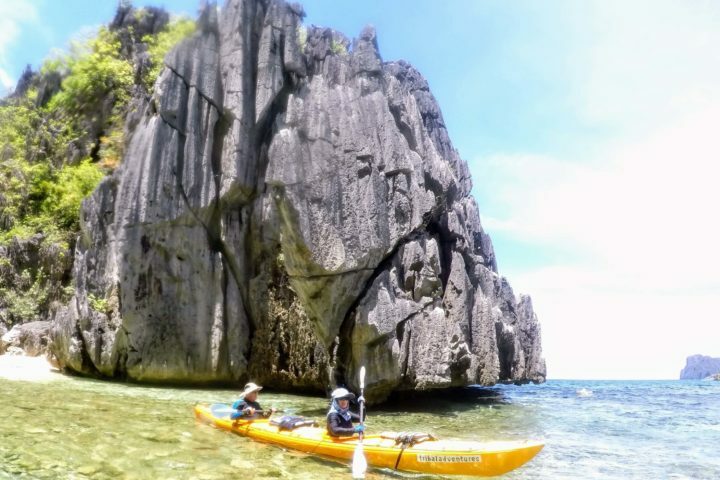 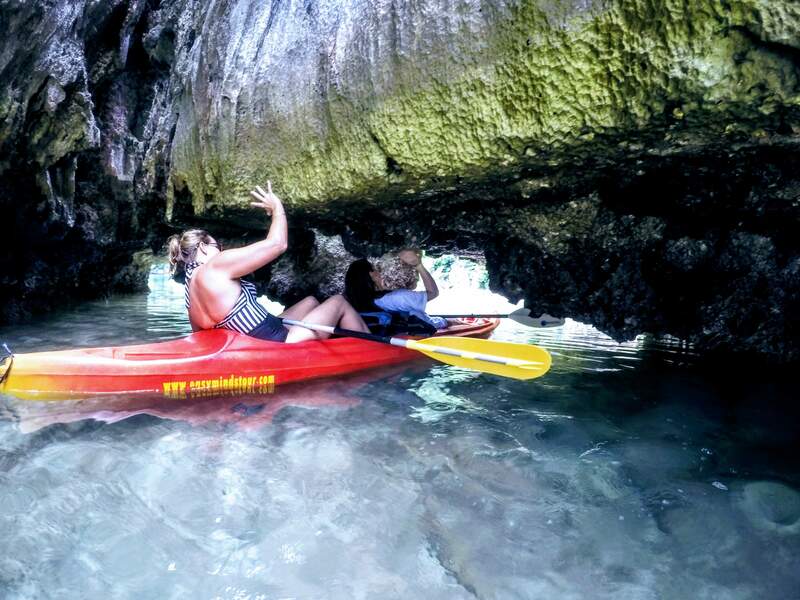 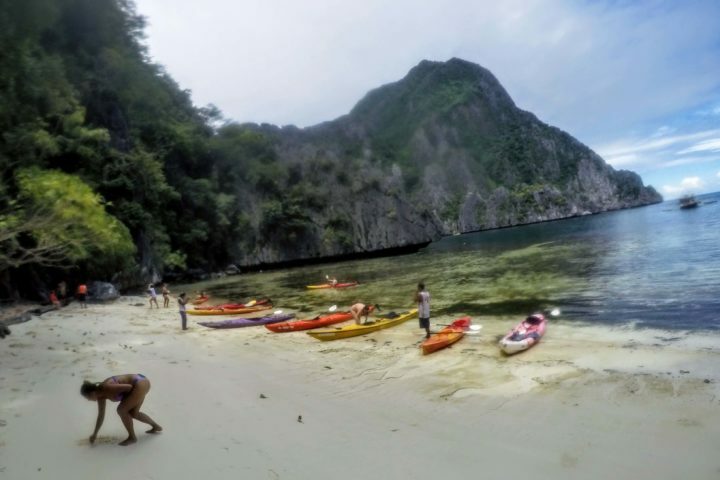 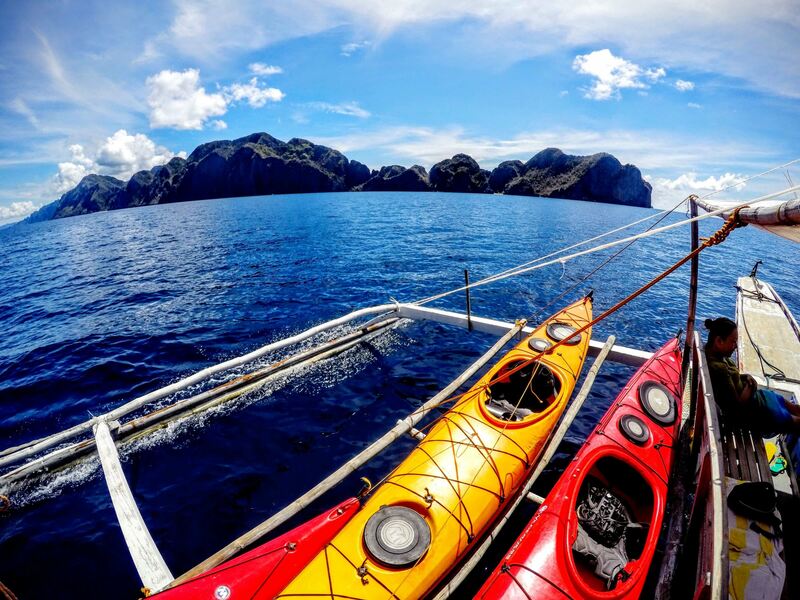 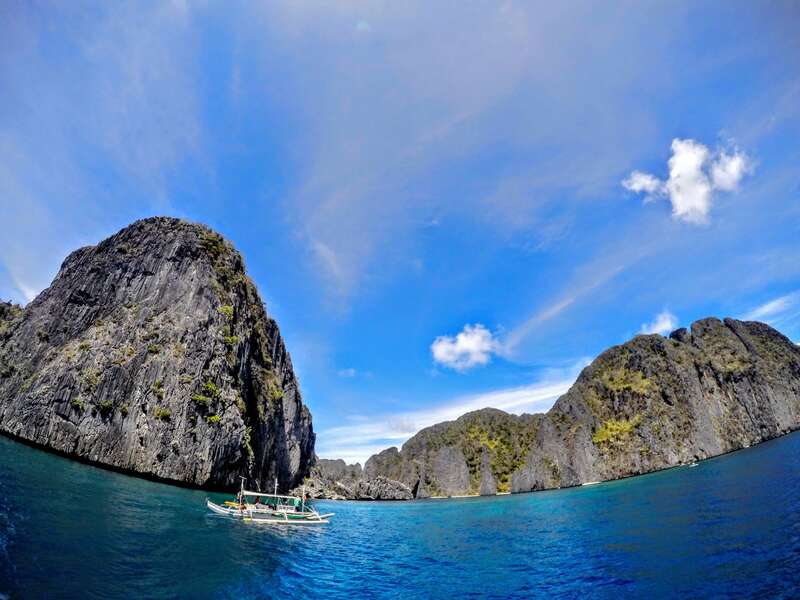 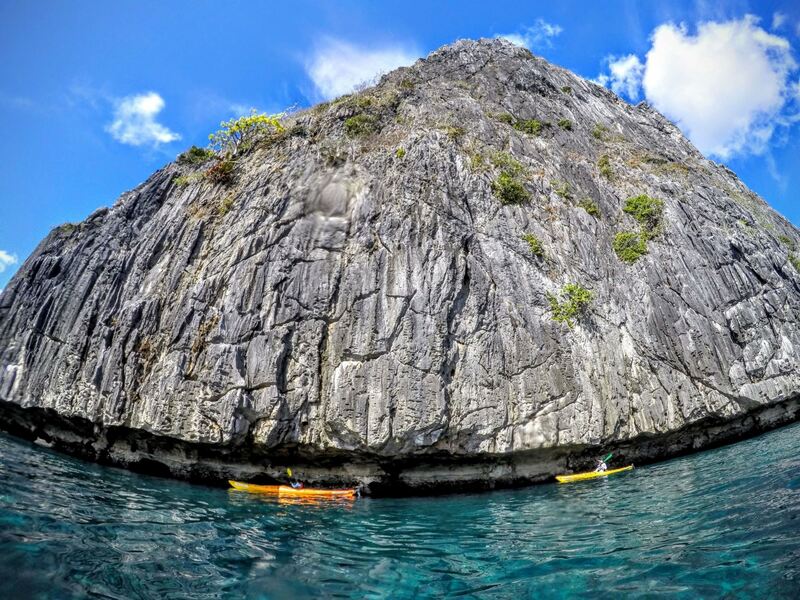 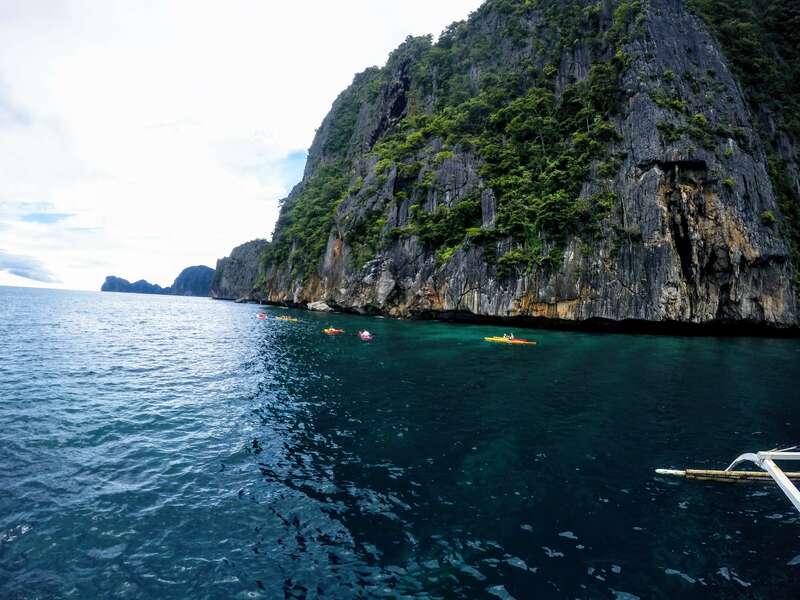 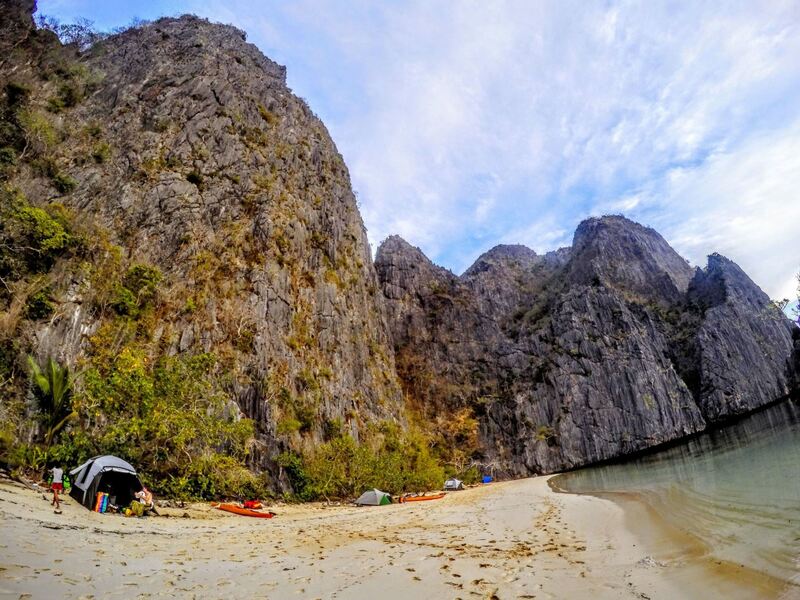 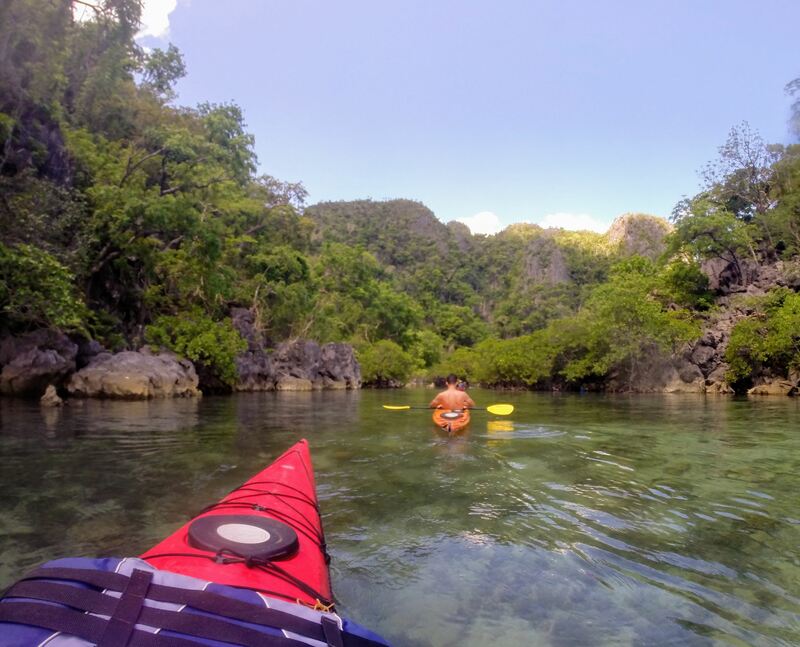 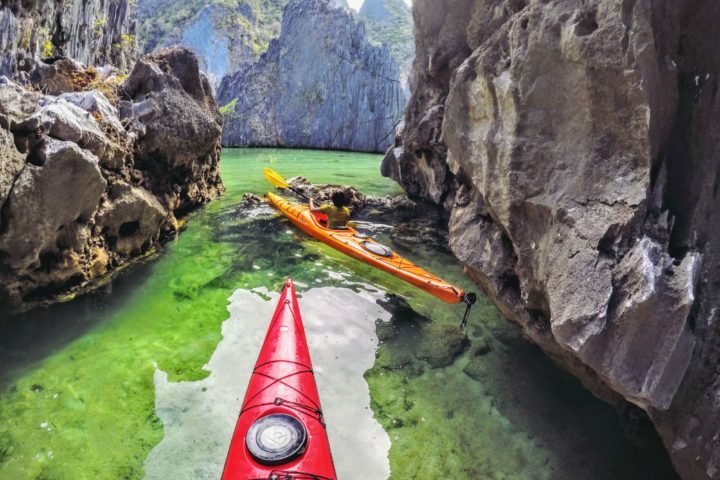 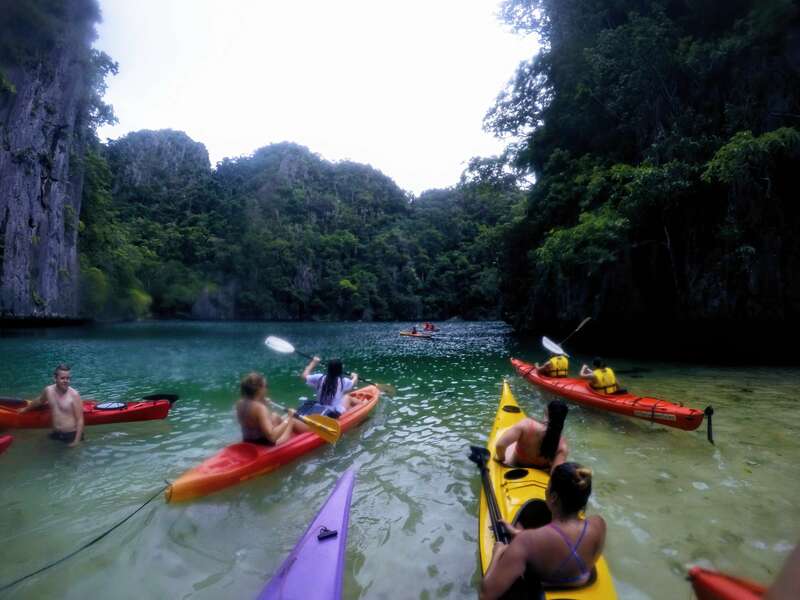 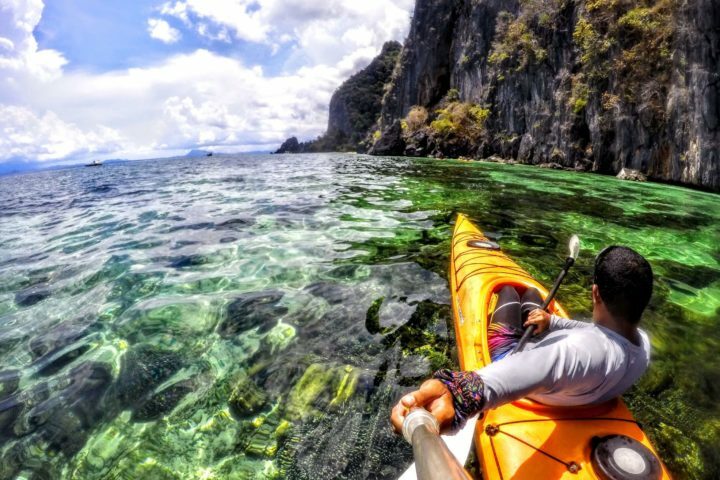 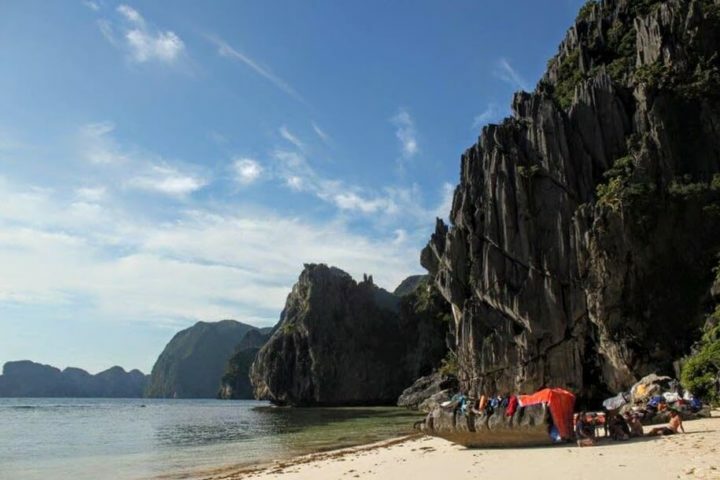 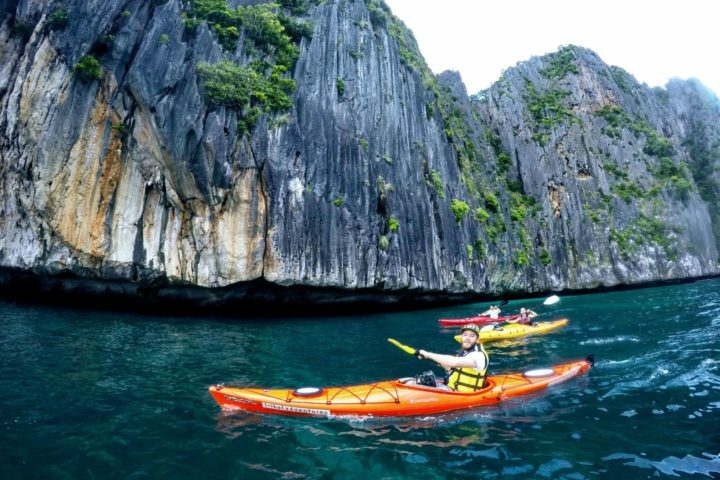 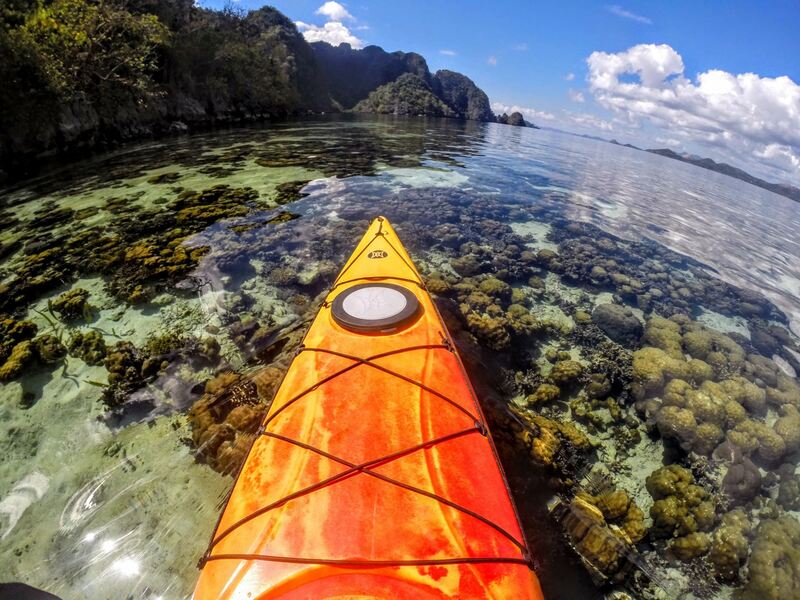 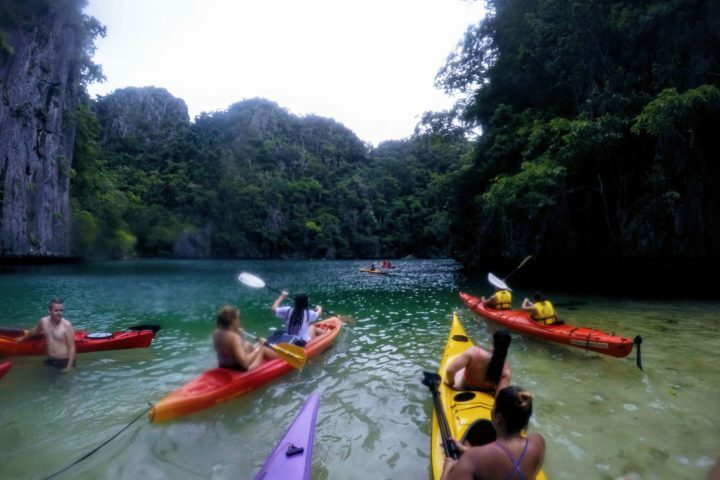 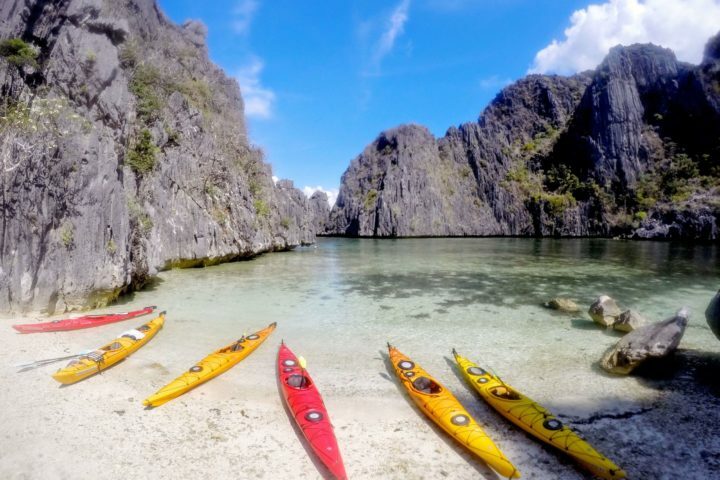 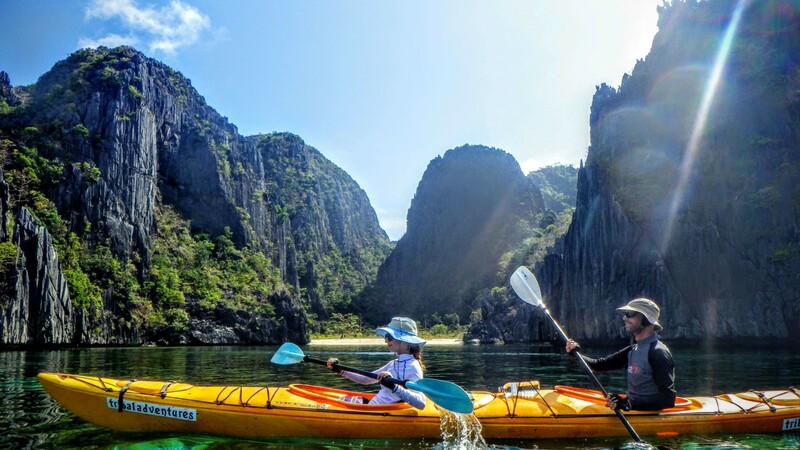 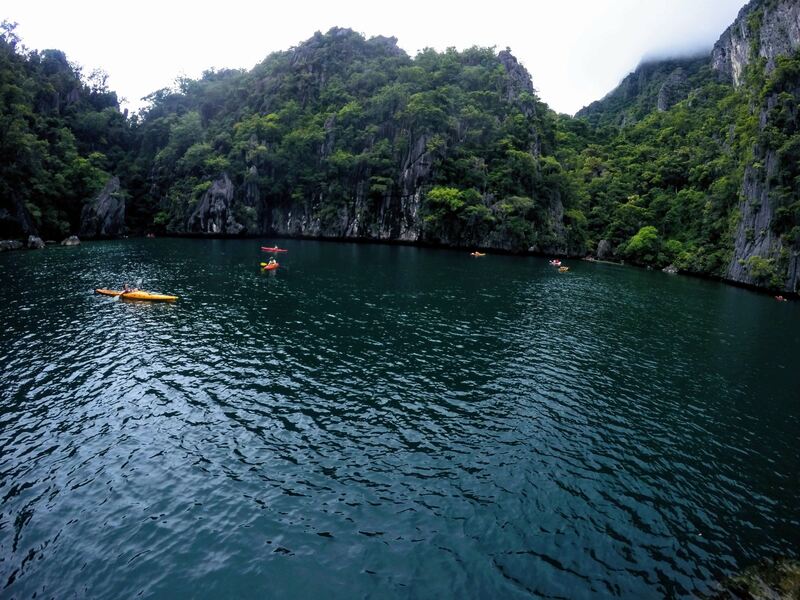 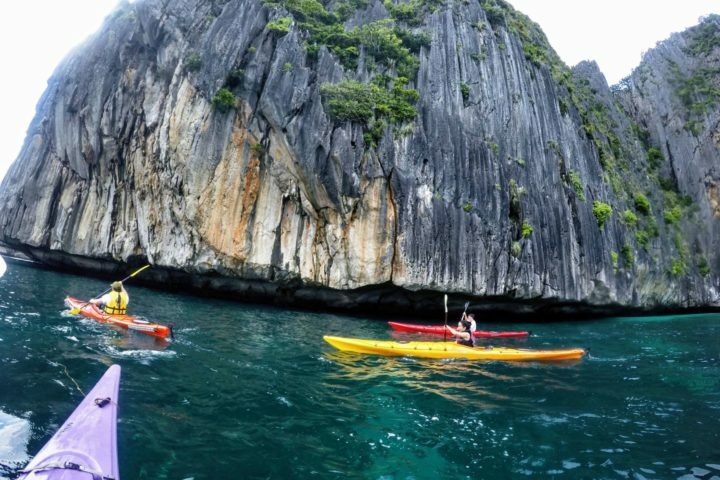 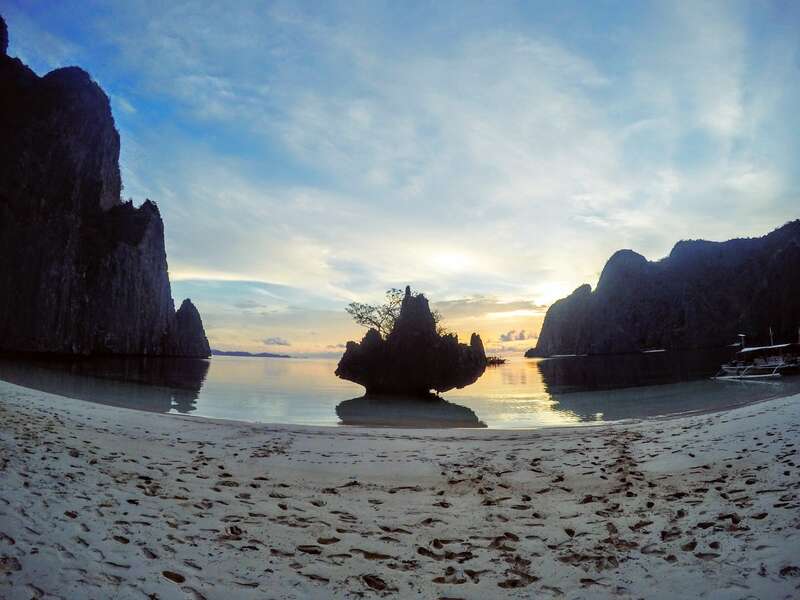 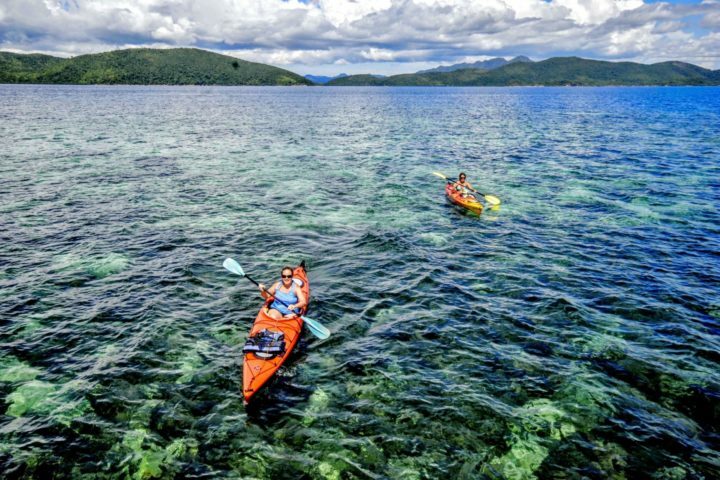 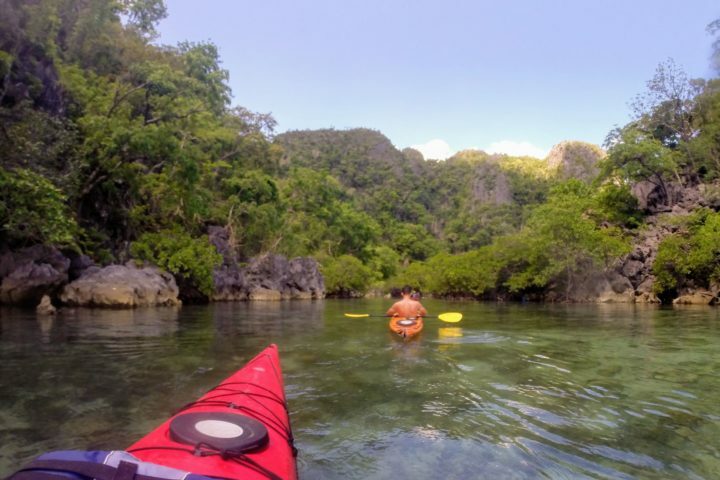 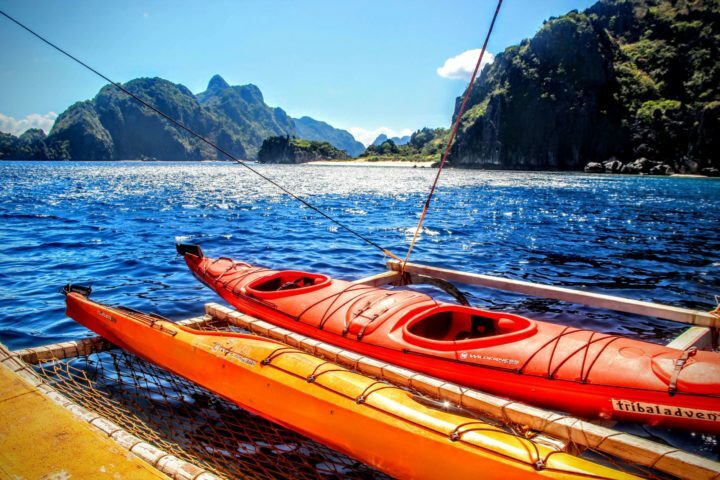 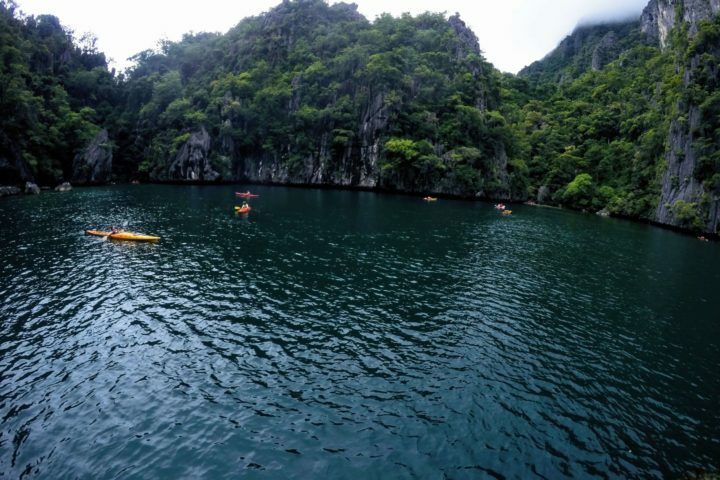 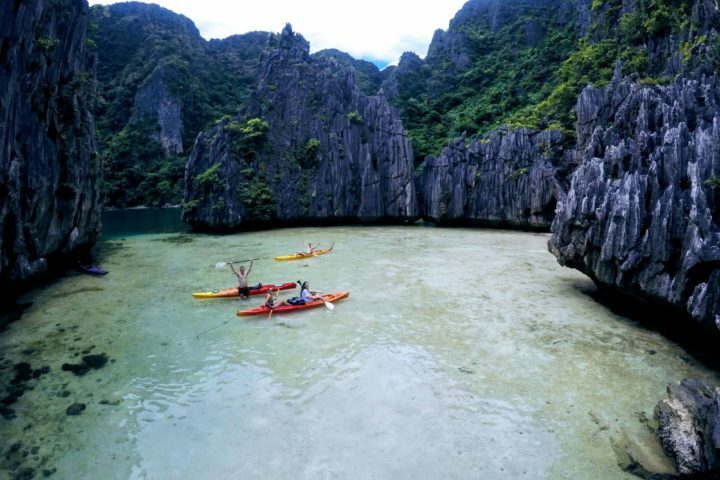 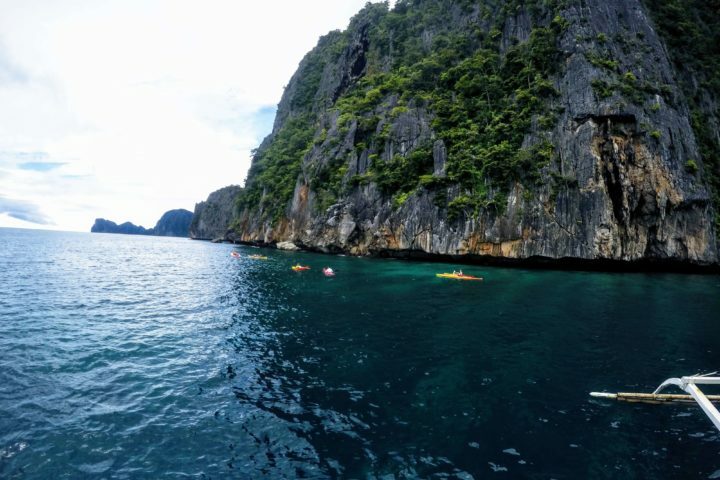 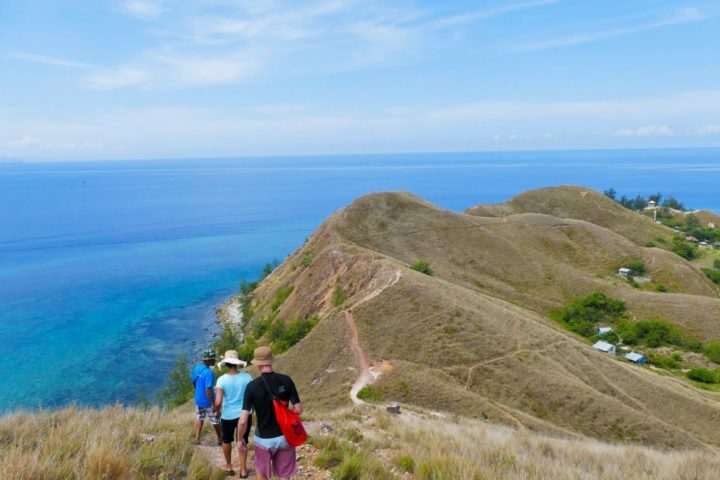 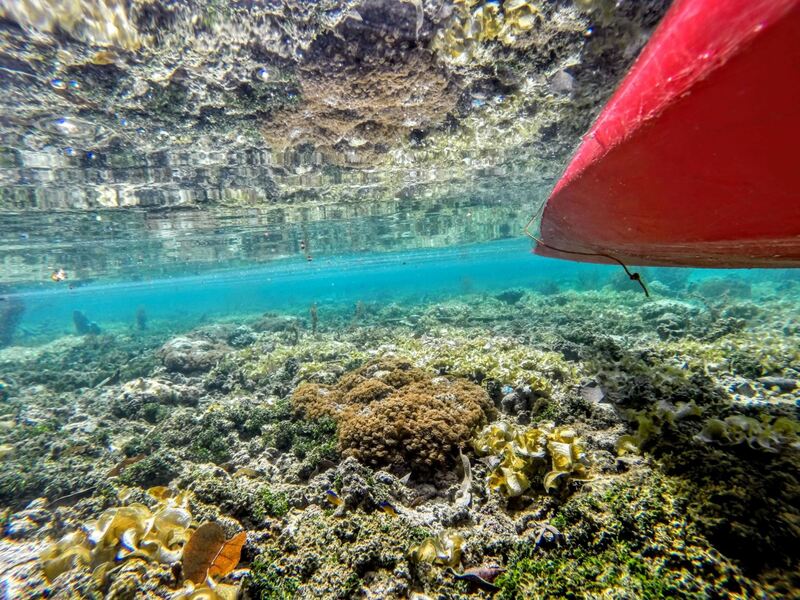 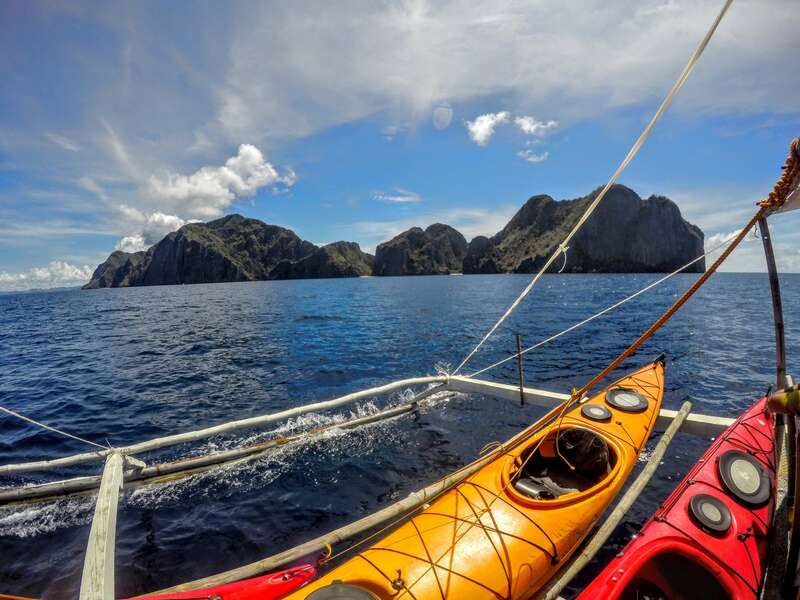 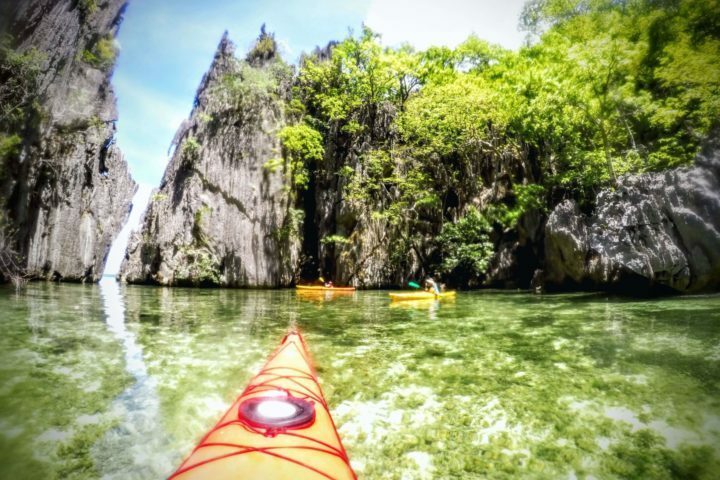 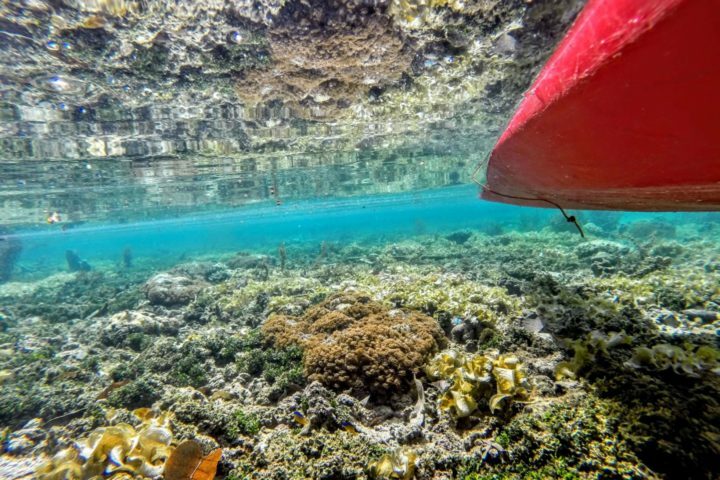 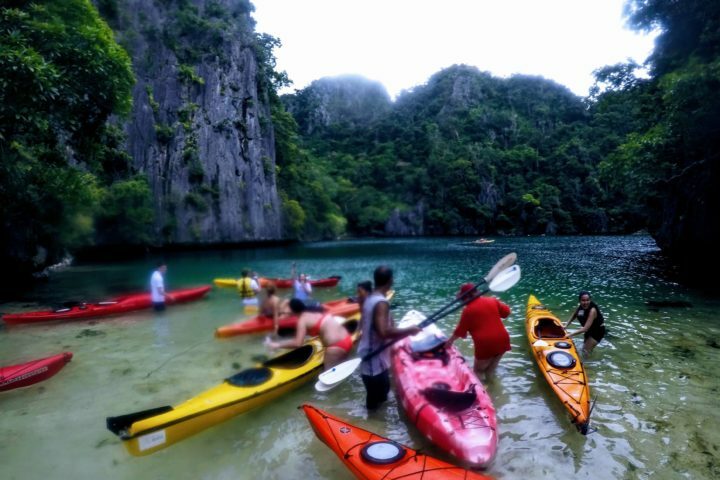 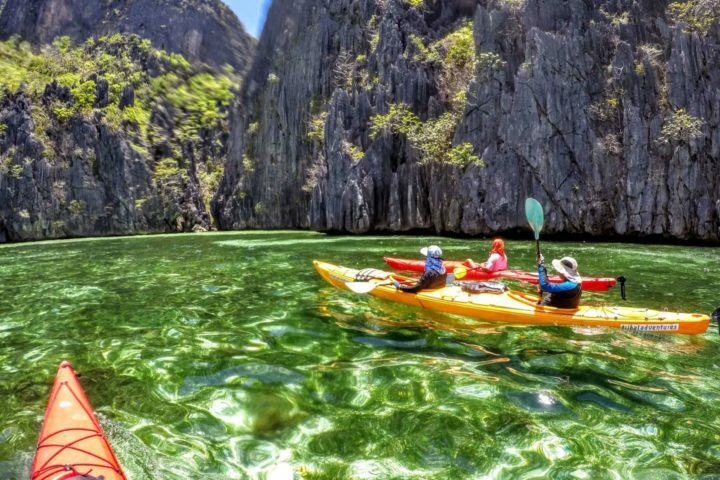 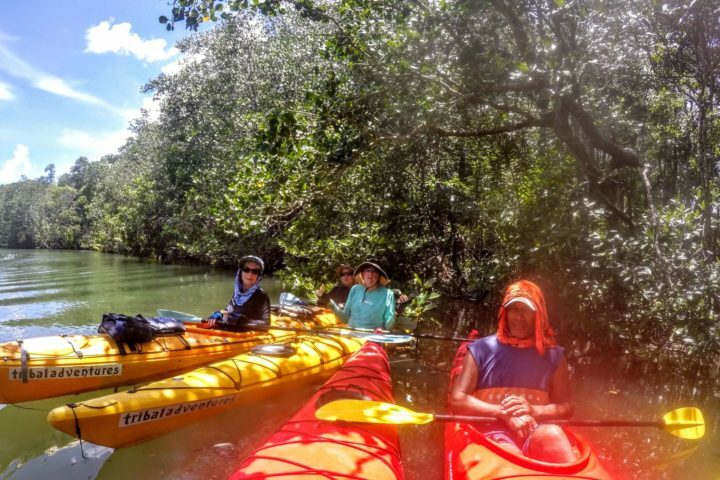 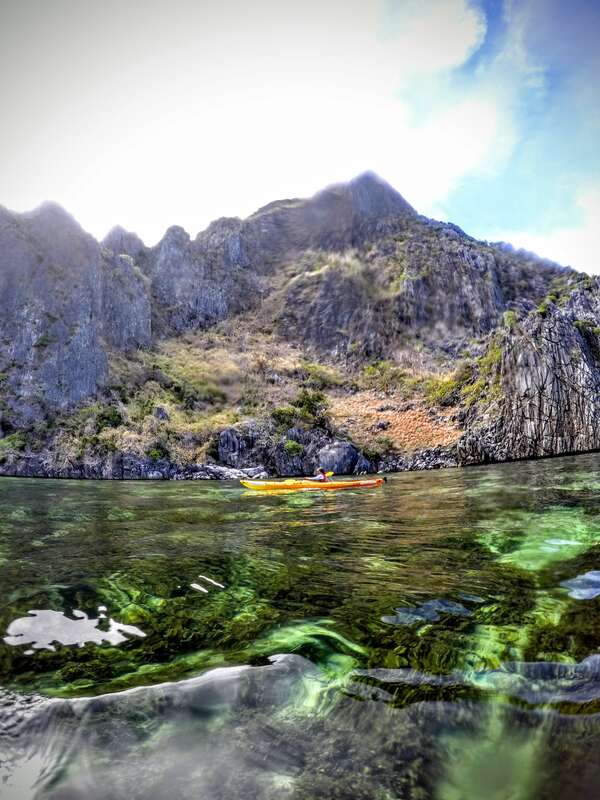 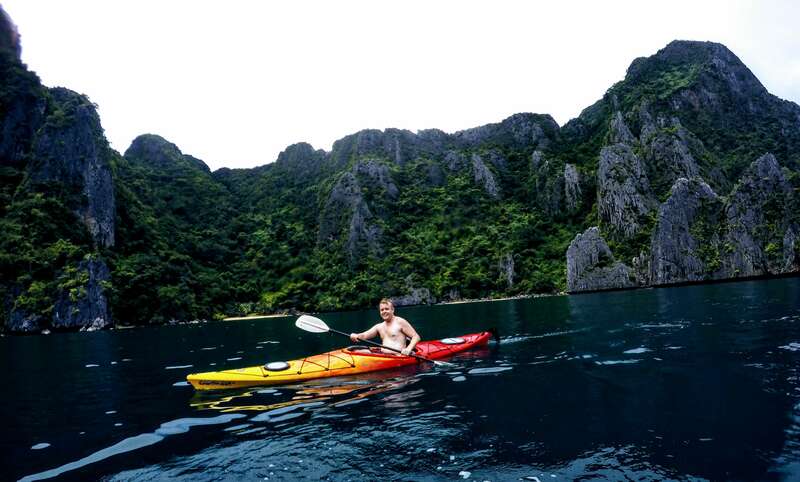 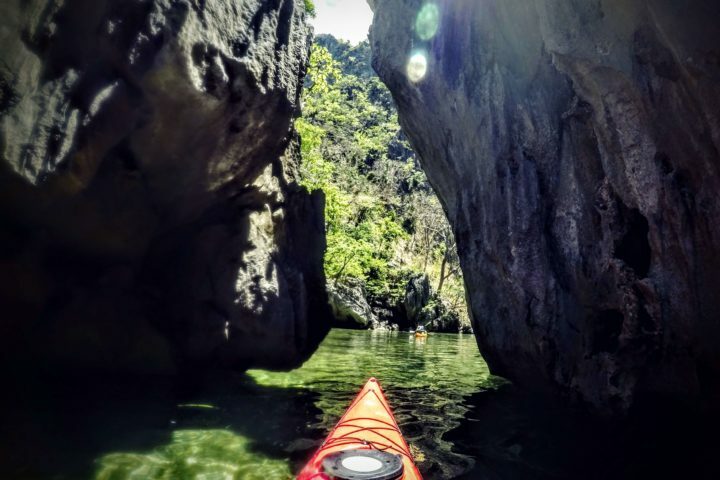 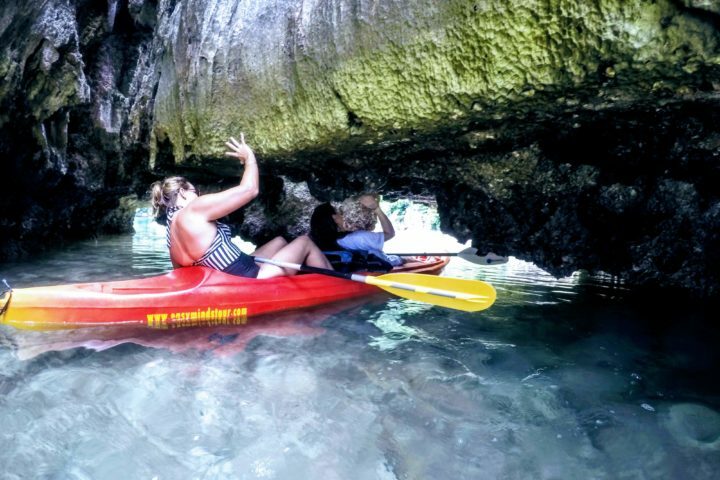 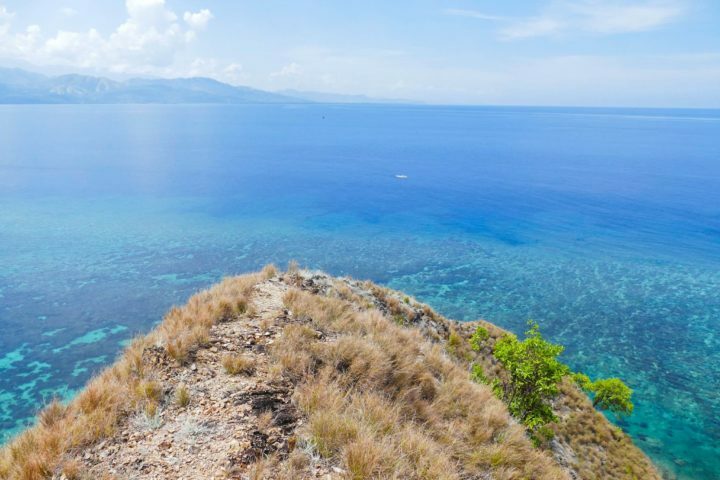 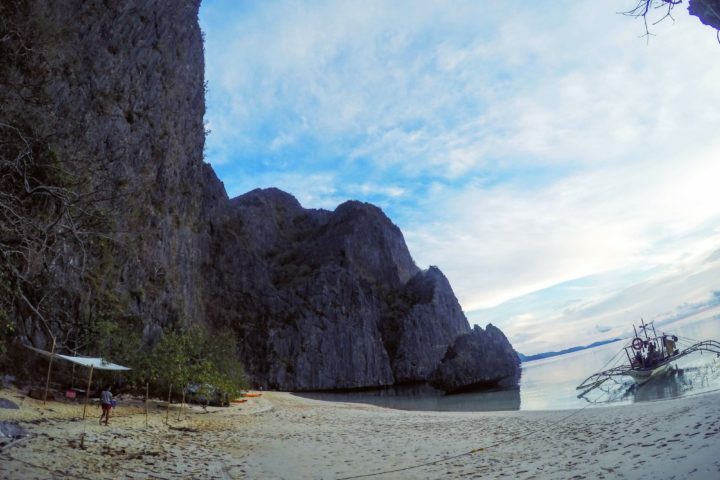 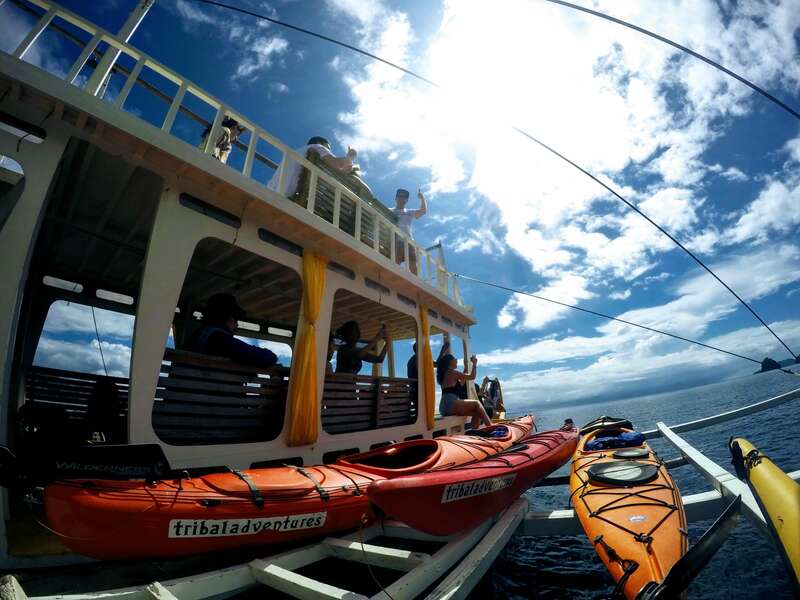 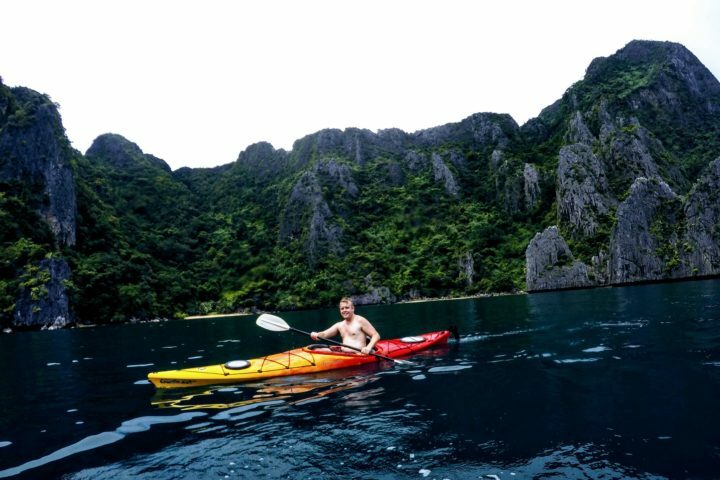 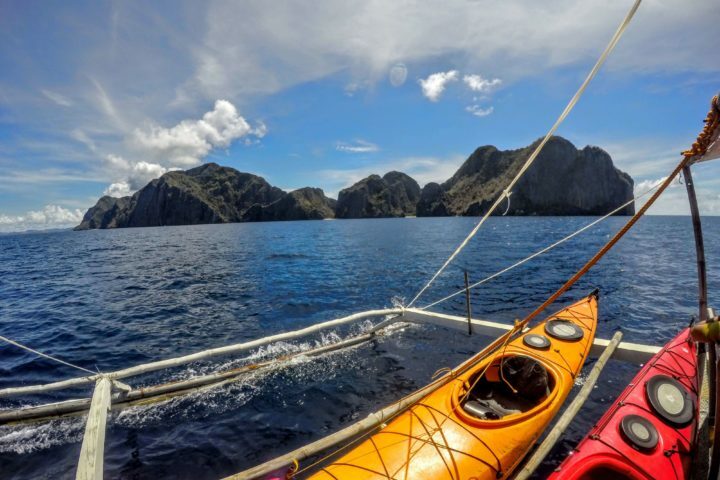 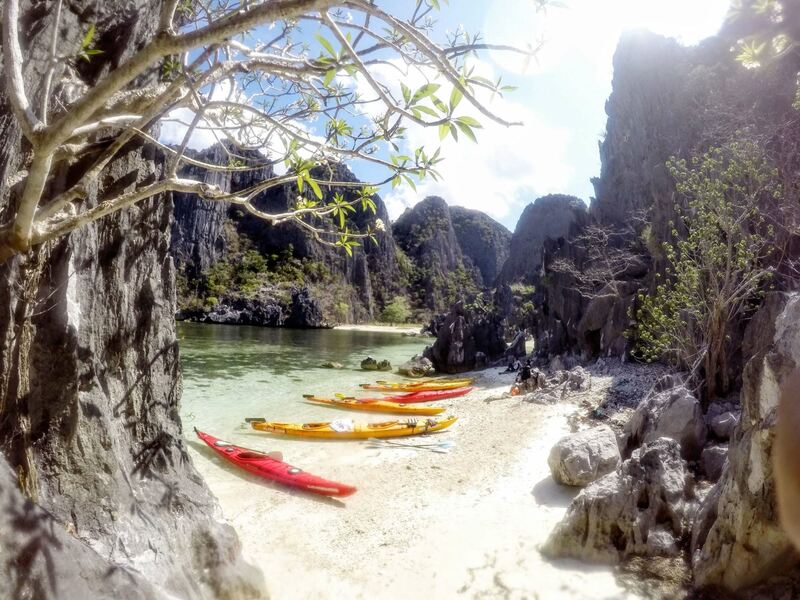 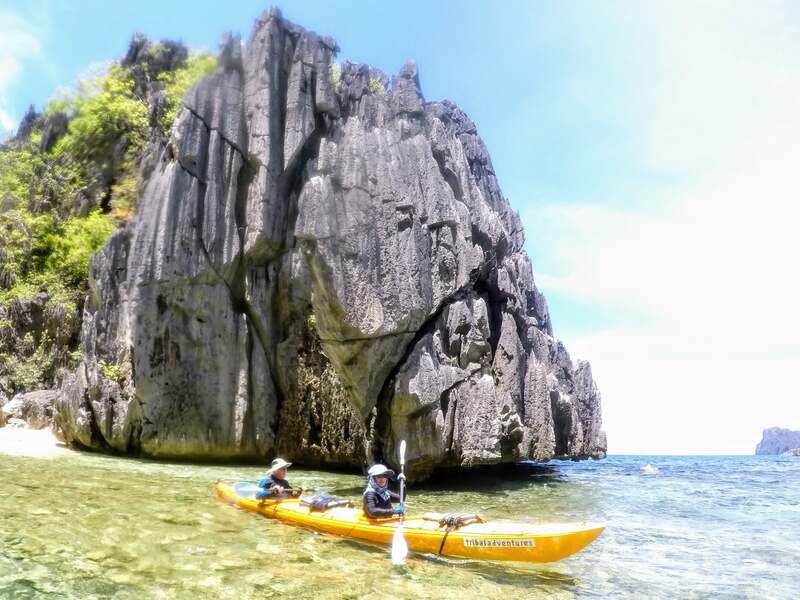 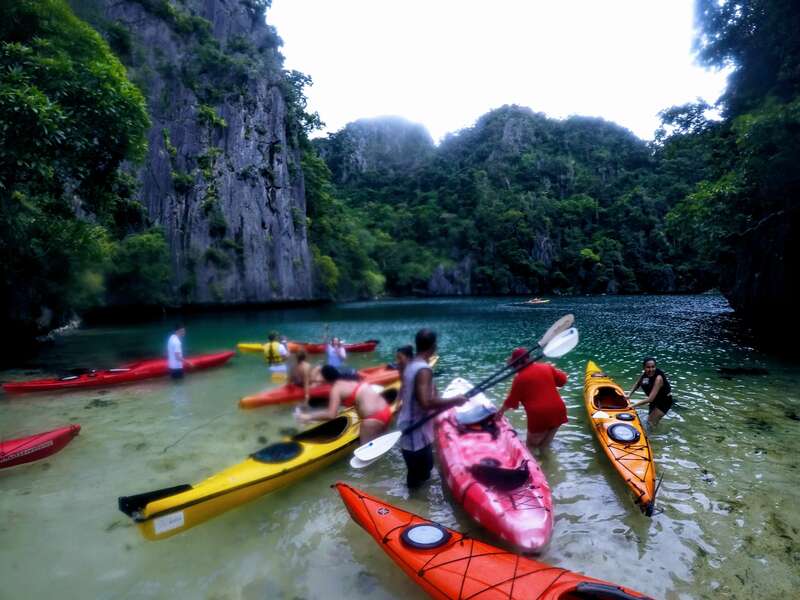 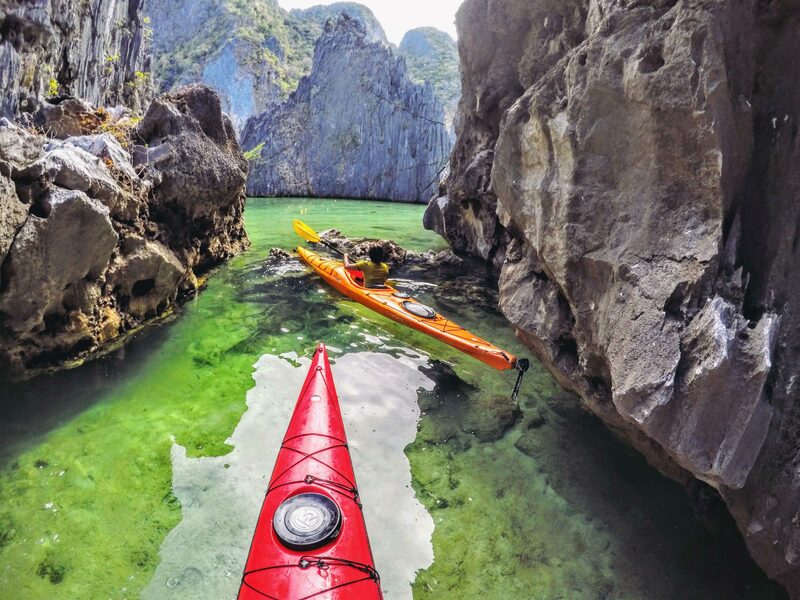 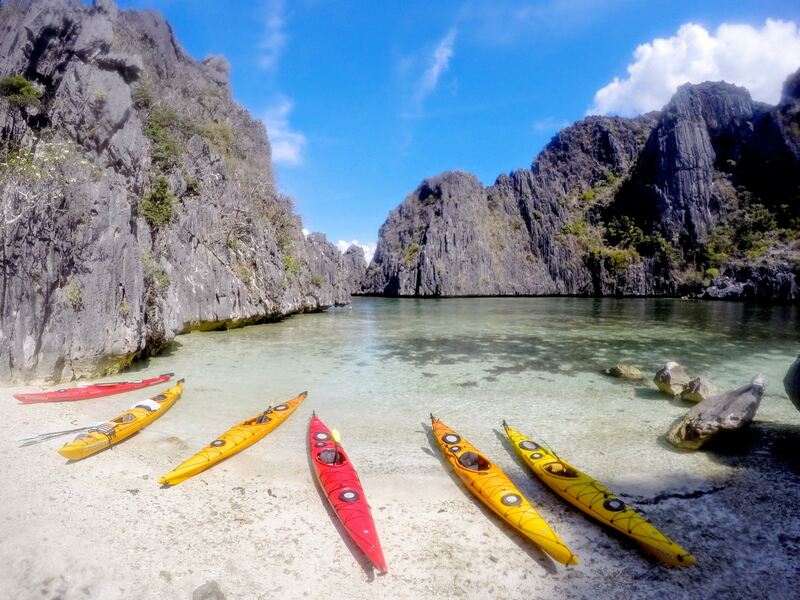 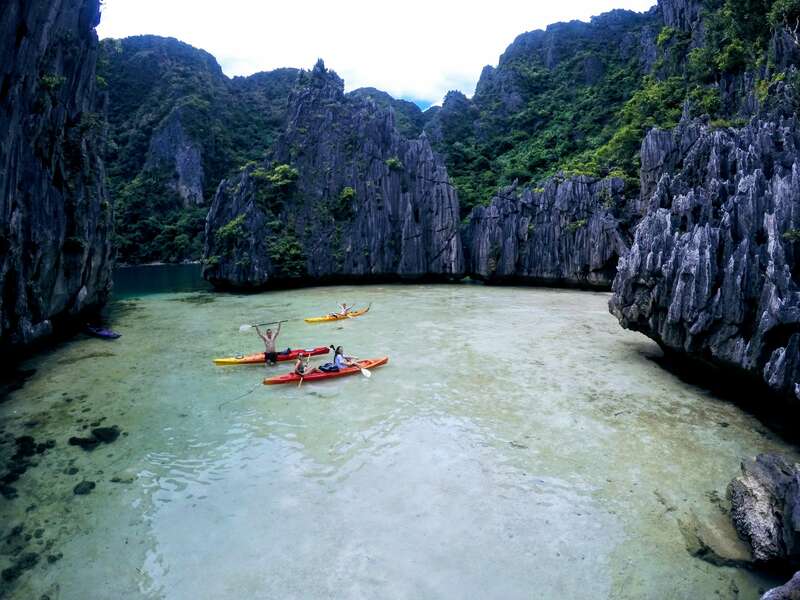 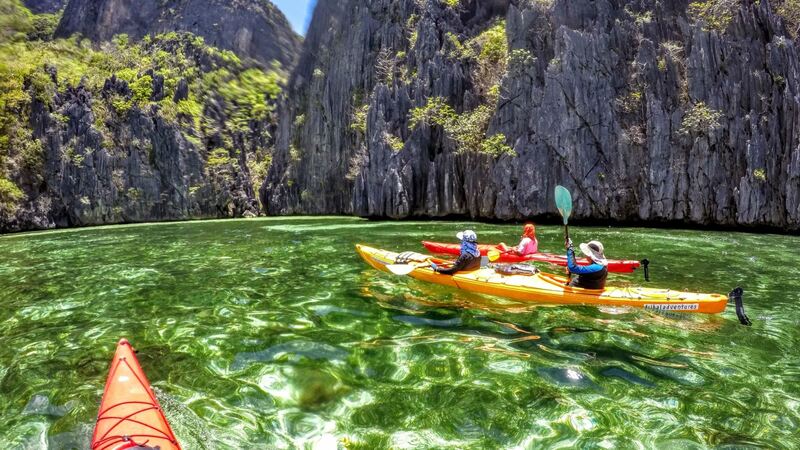 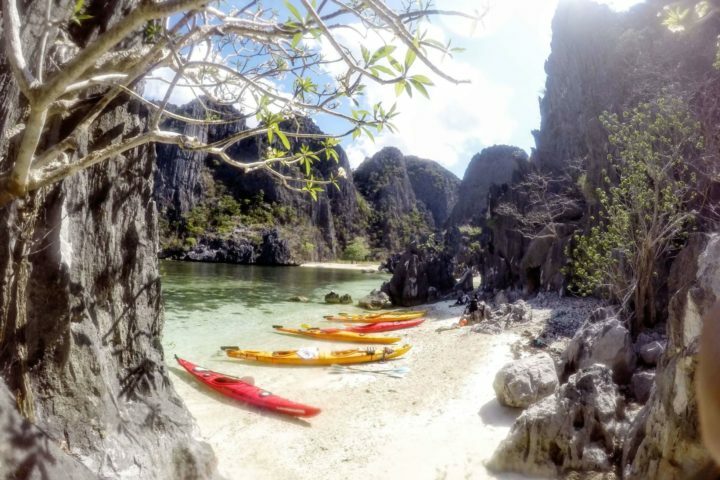 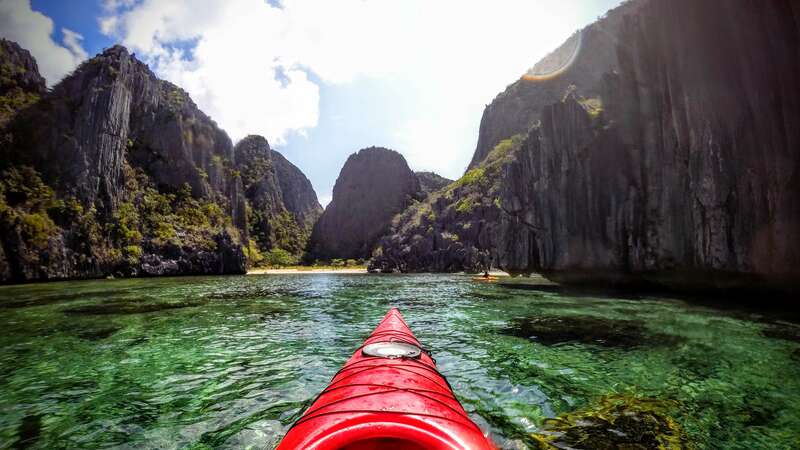 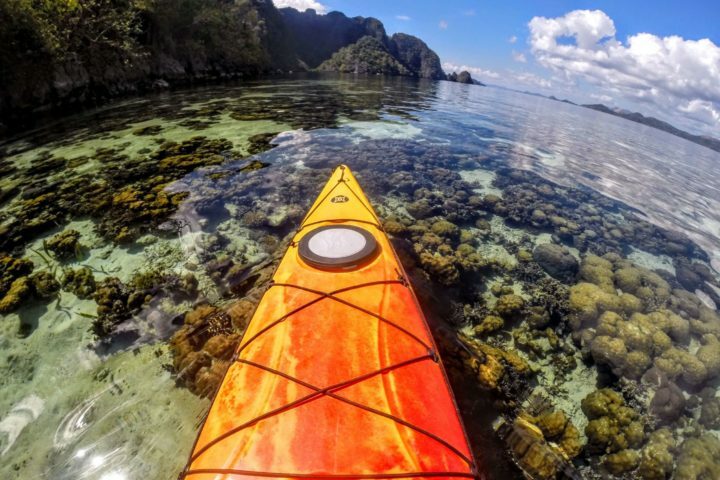 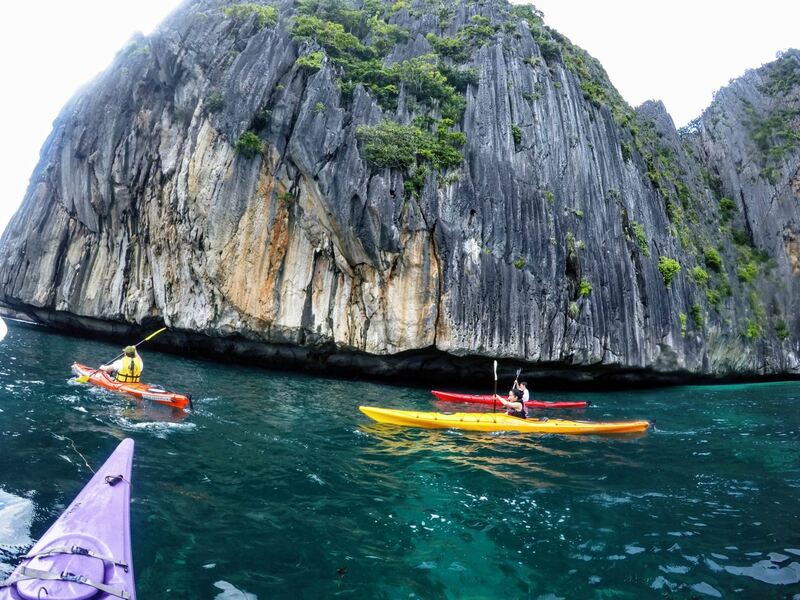 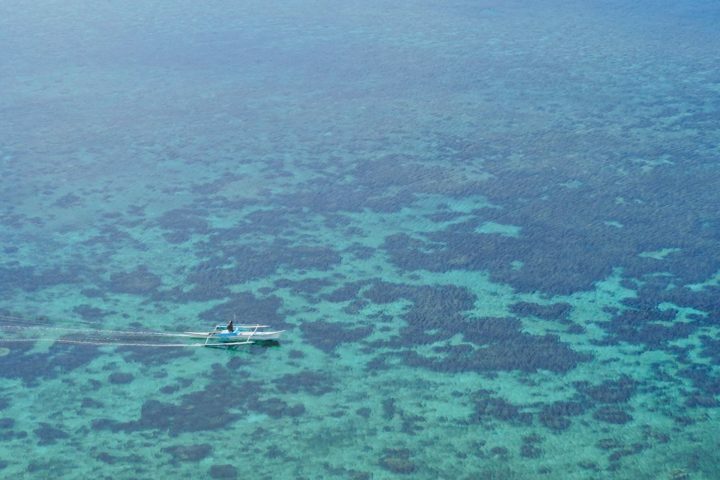 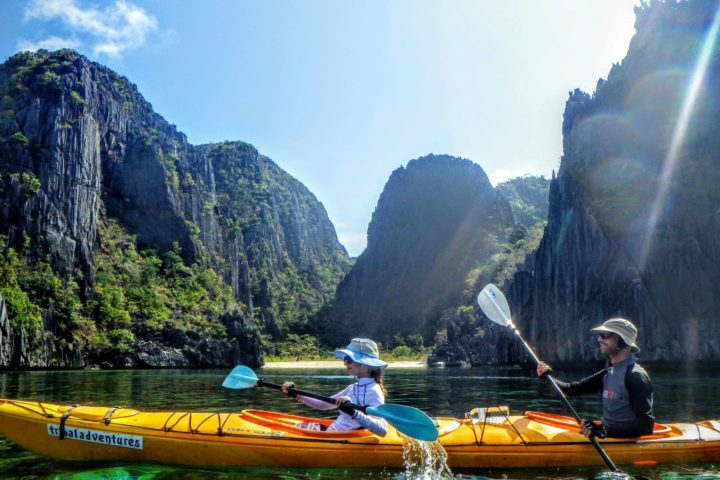 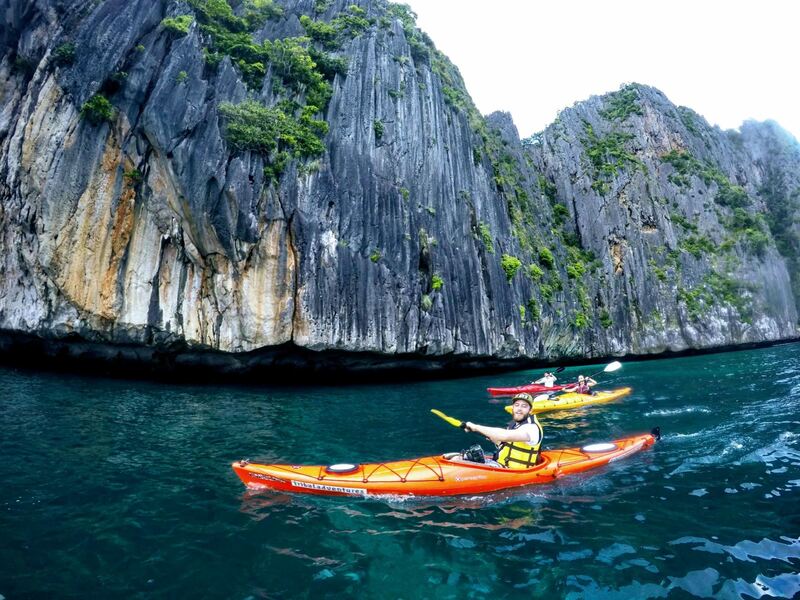 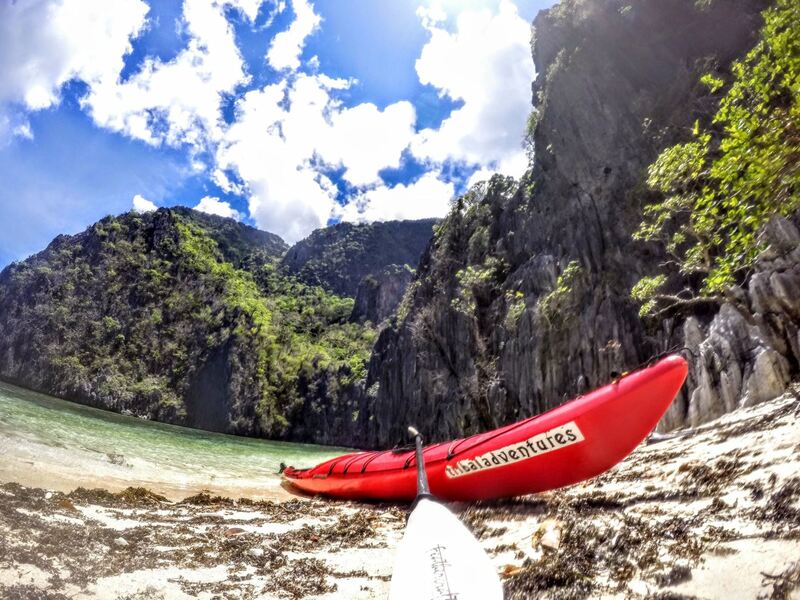 Paddling the enormous undercut cliffs off the south coast of Coron Island. 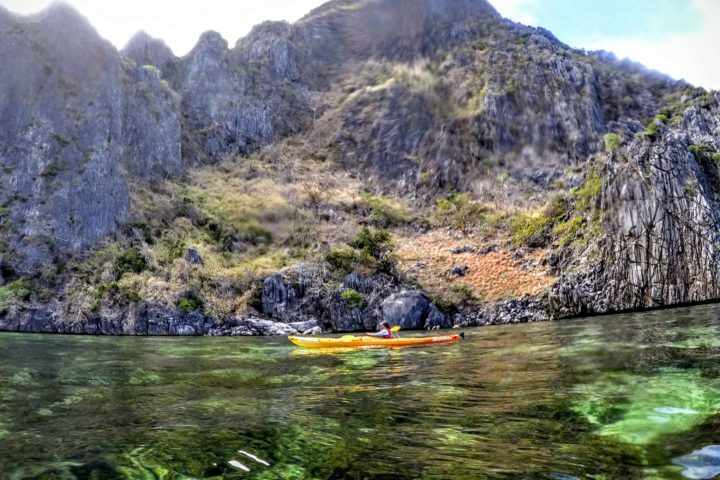 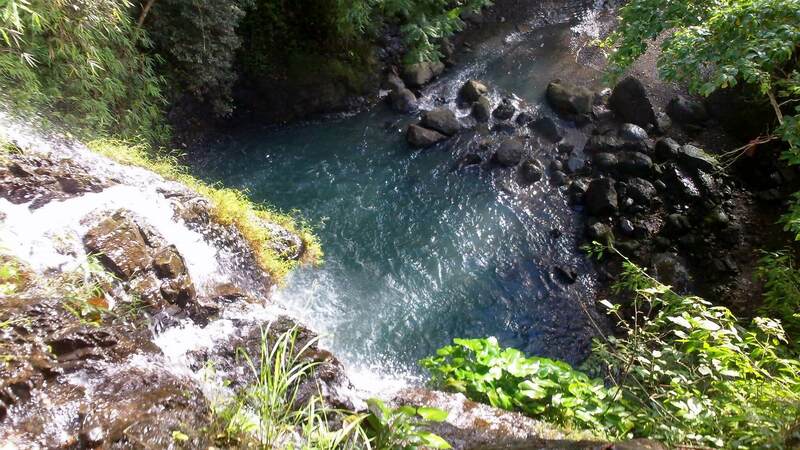 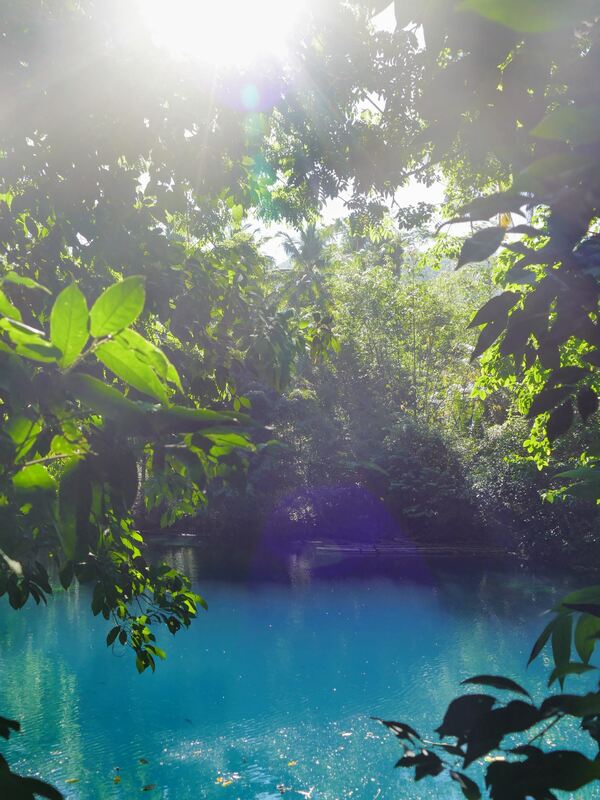 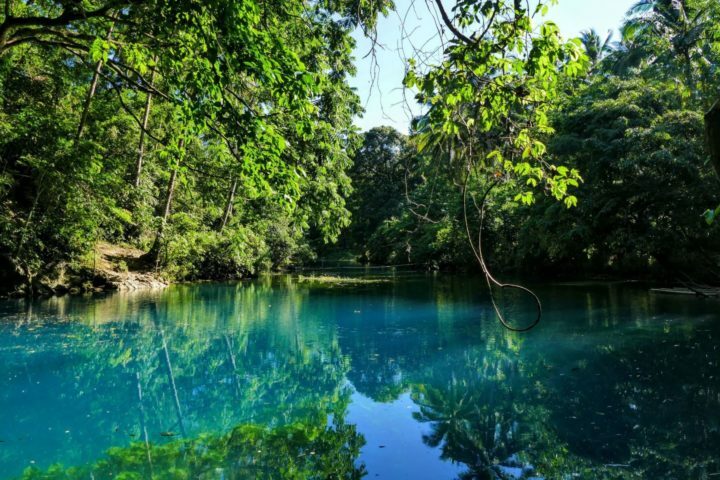 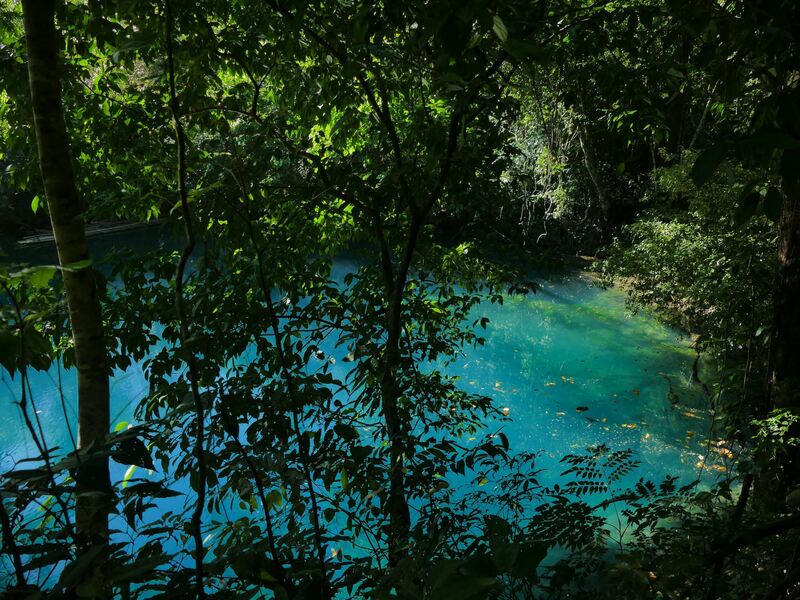 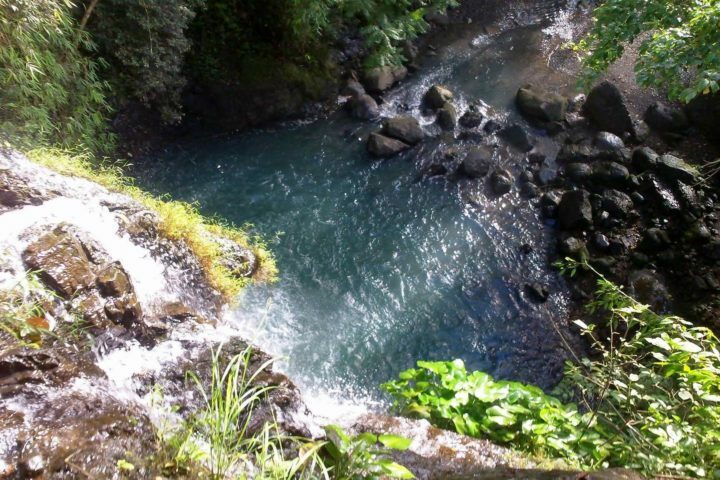 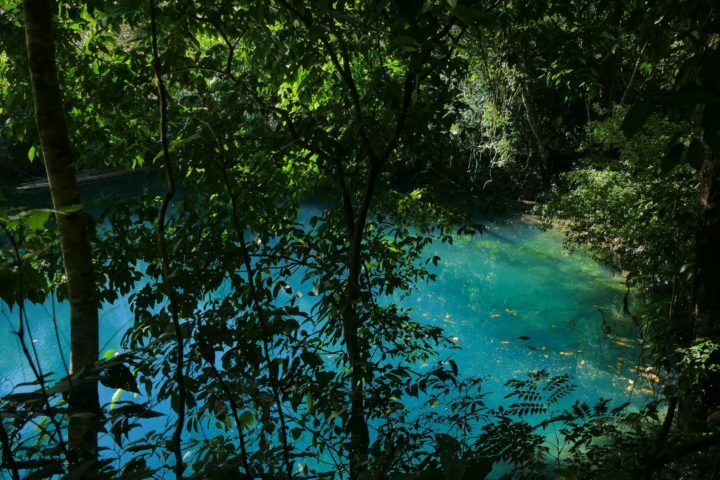 Drifting into a cove where we do a small hike and rock climb to see a hidden lagoon. 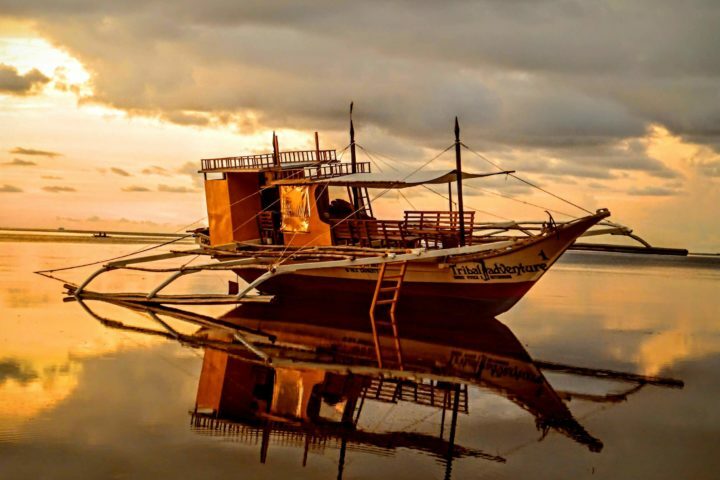 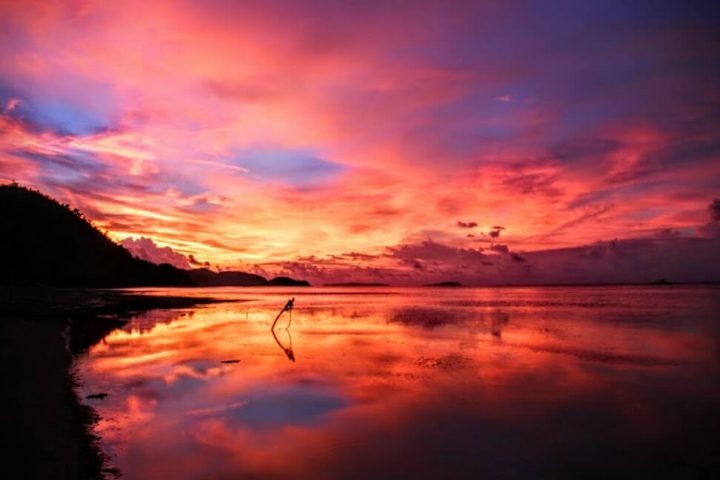 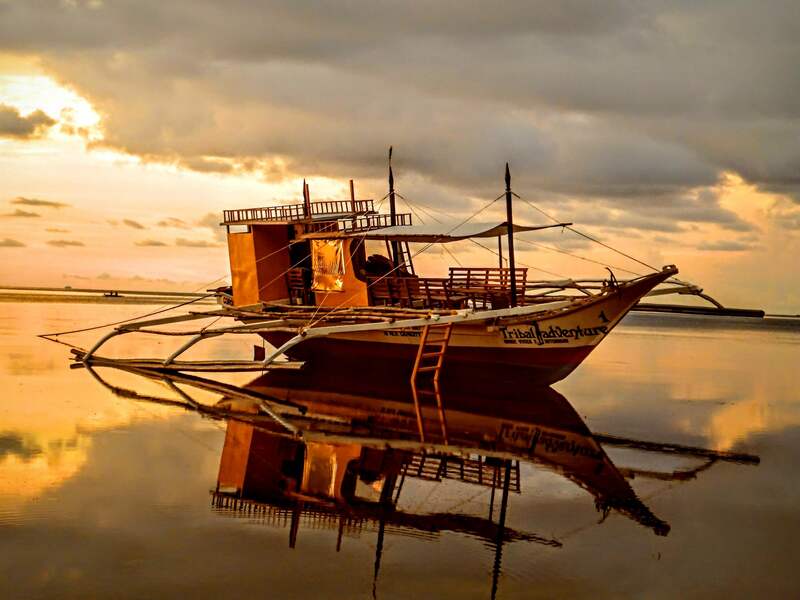 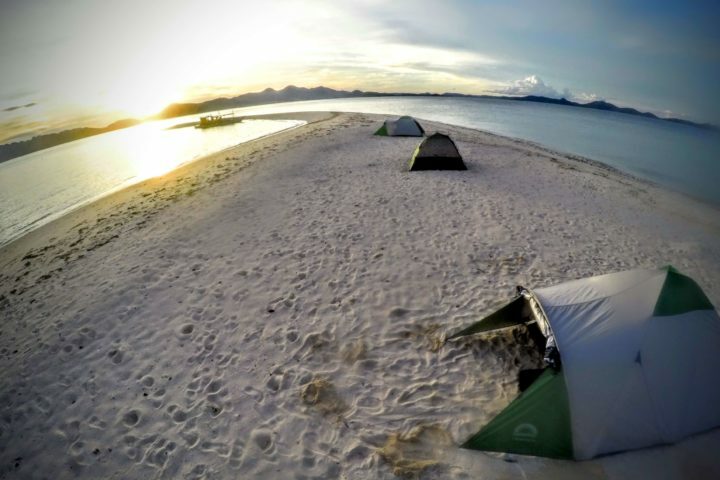 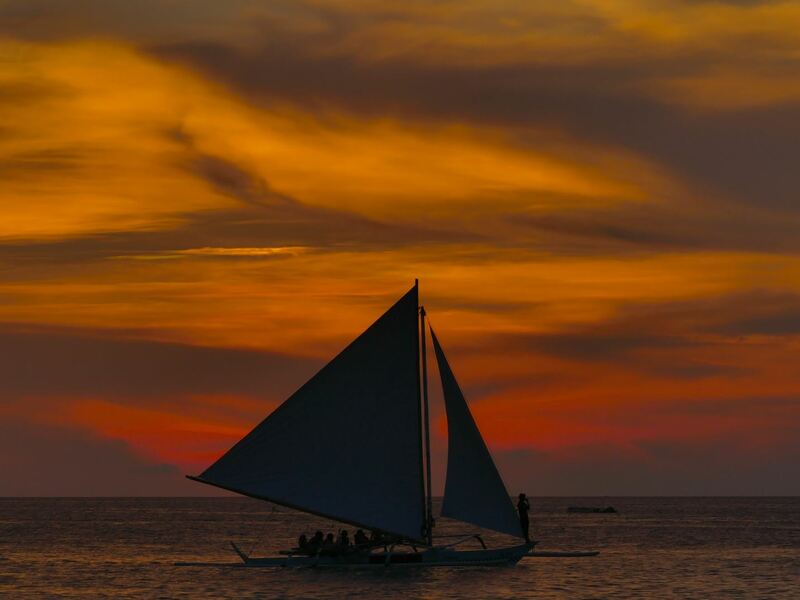 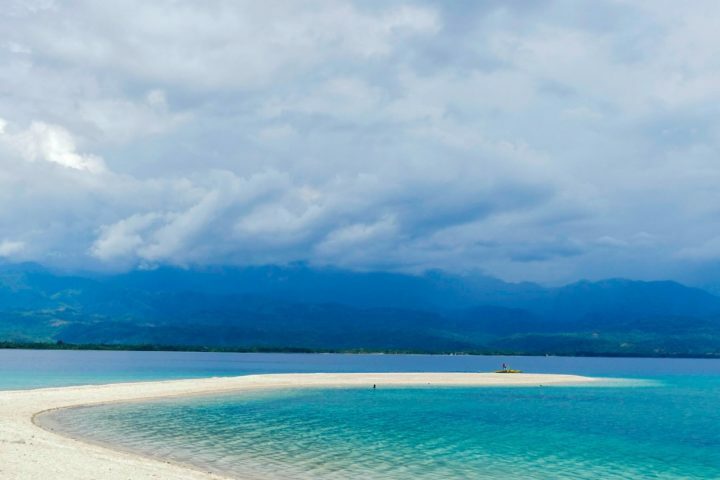 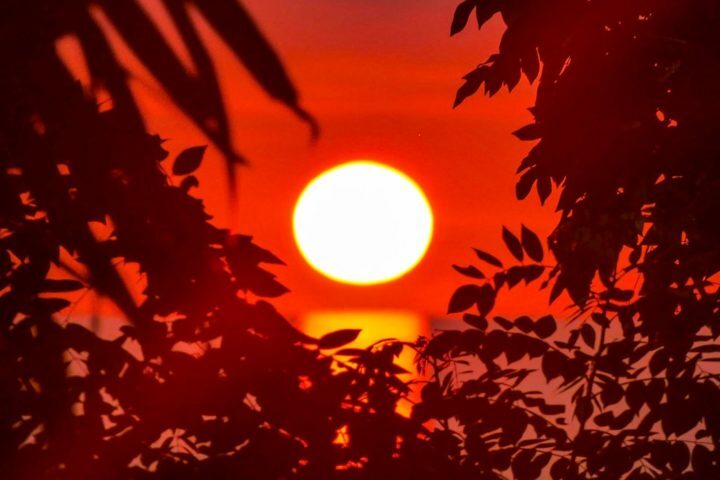 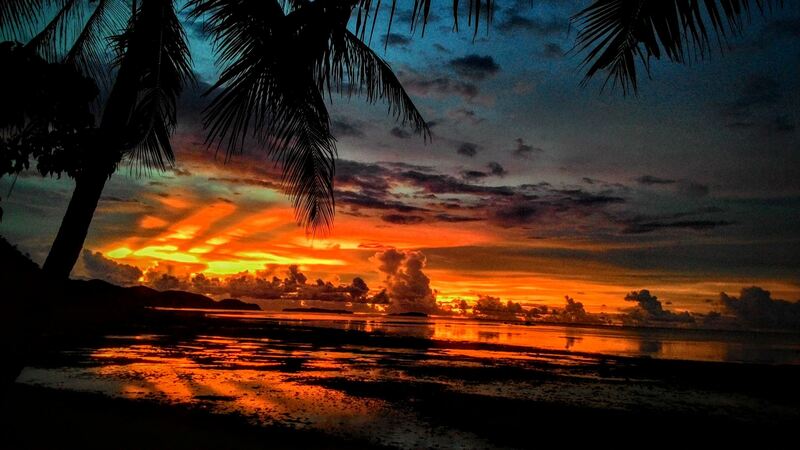 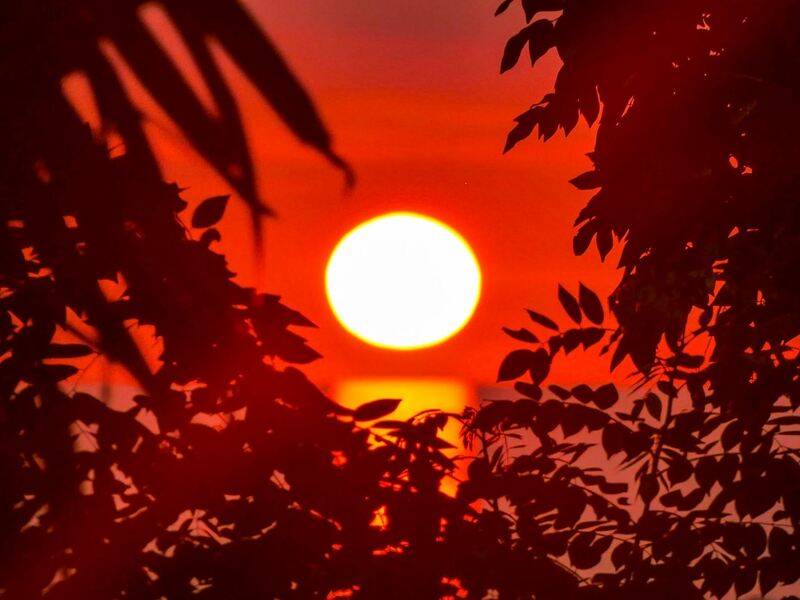 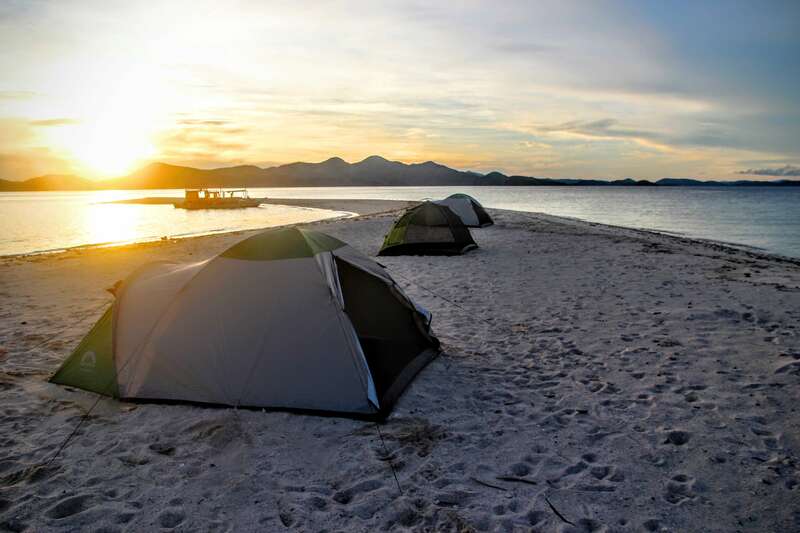 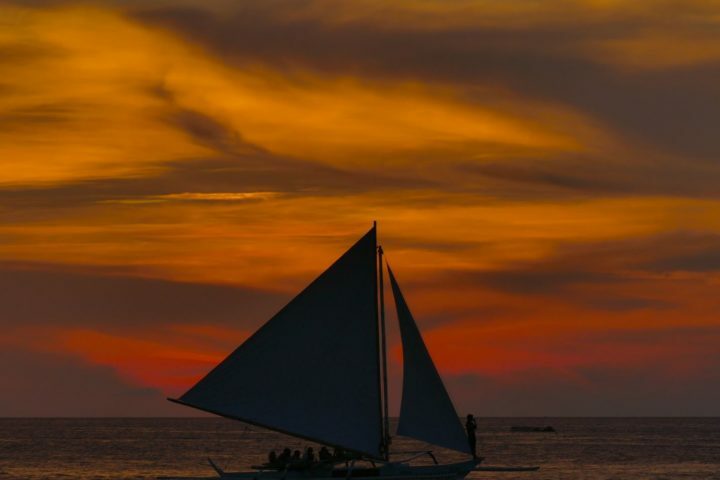 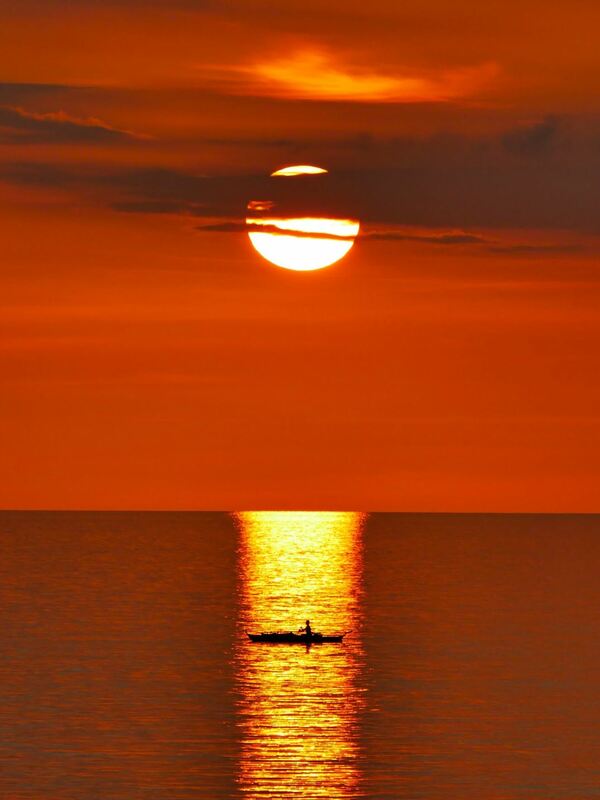 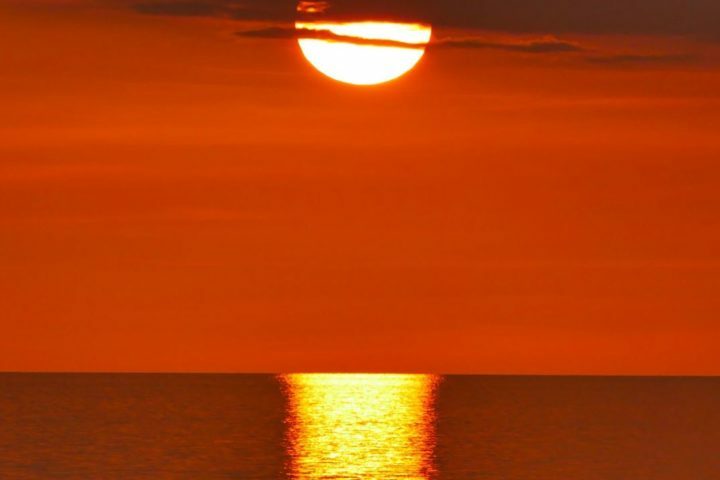 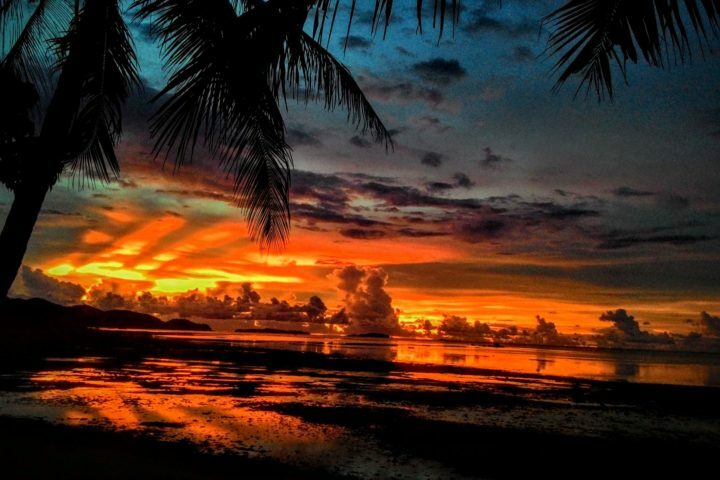 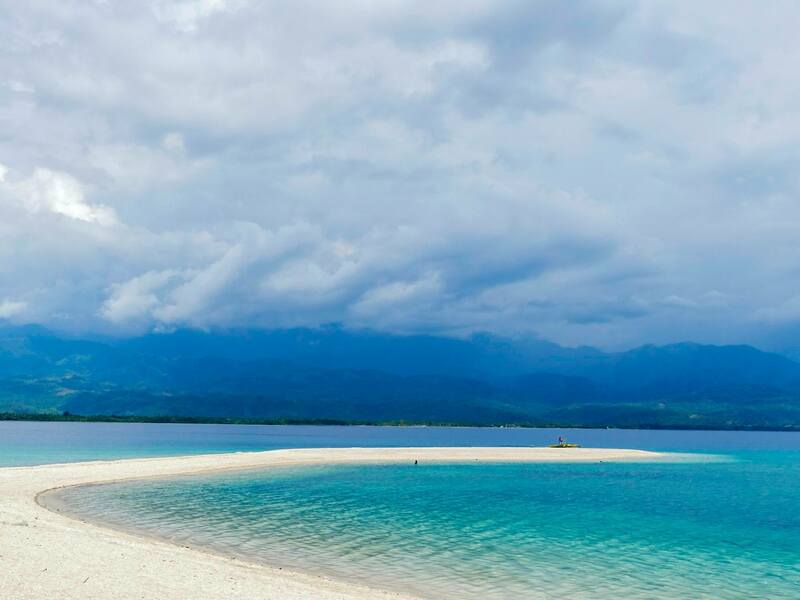 Camping and sunset view on the sandbar of Ditaytayan Iisland. 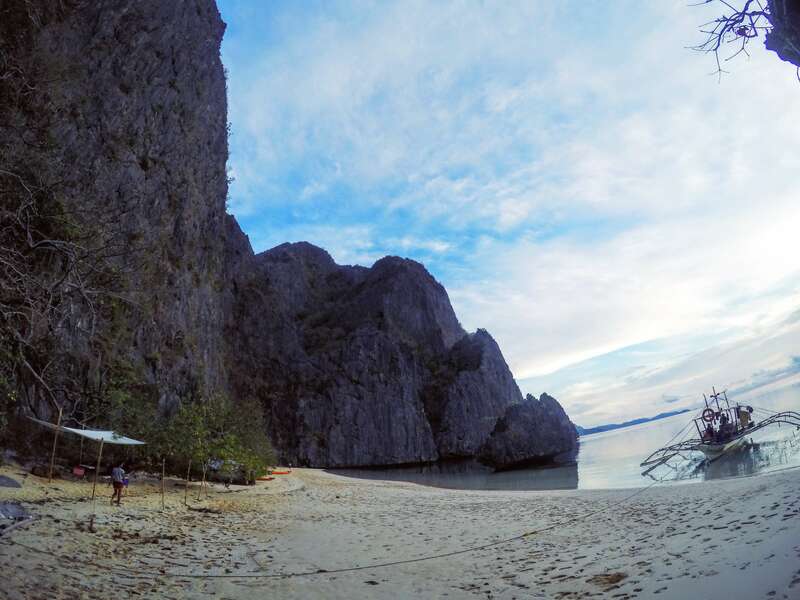 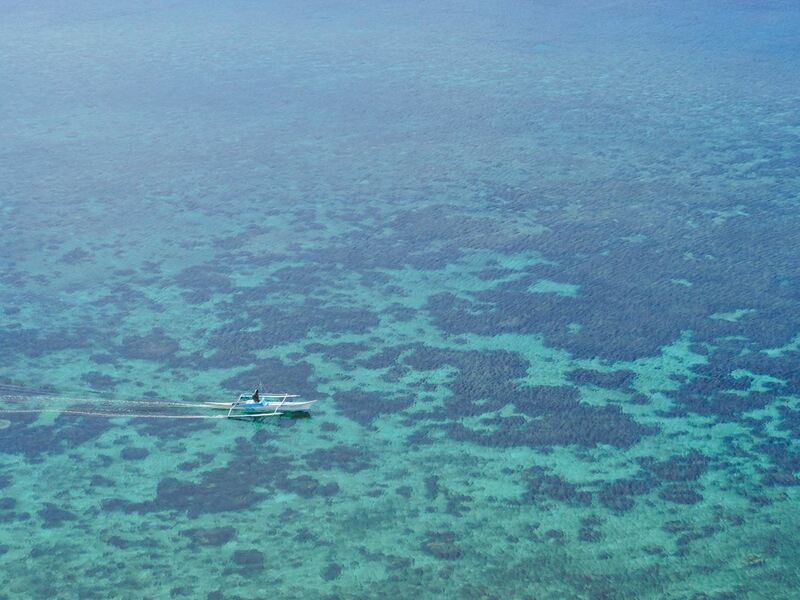 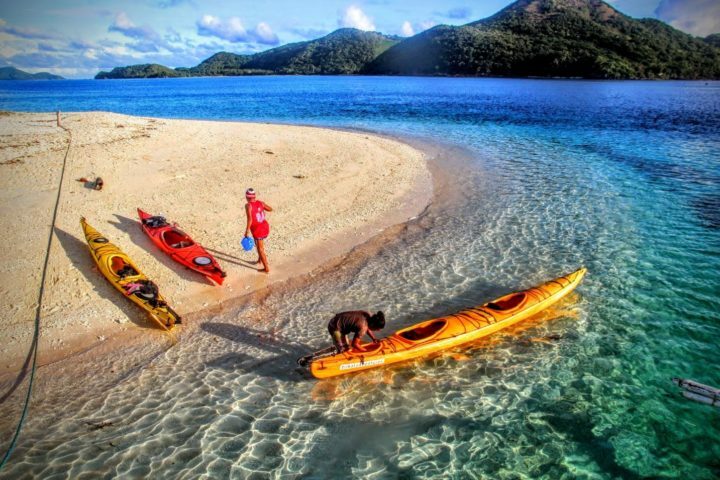 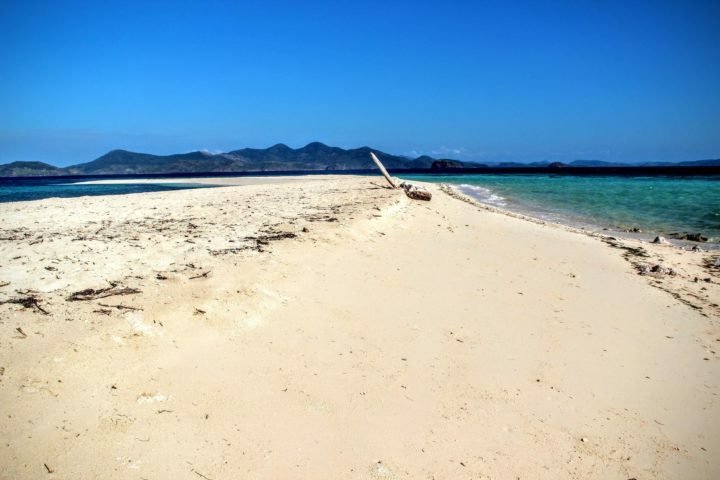 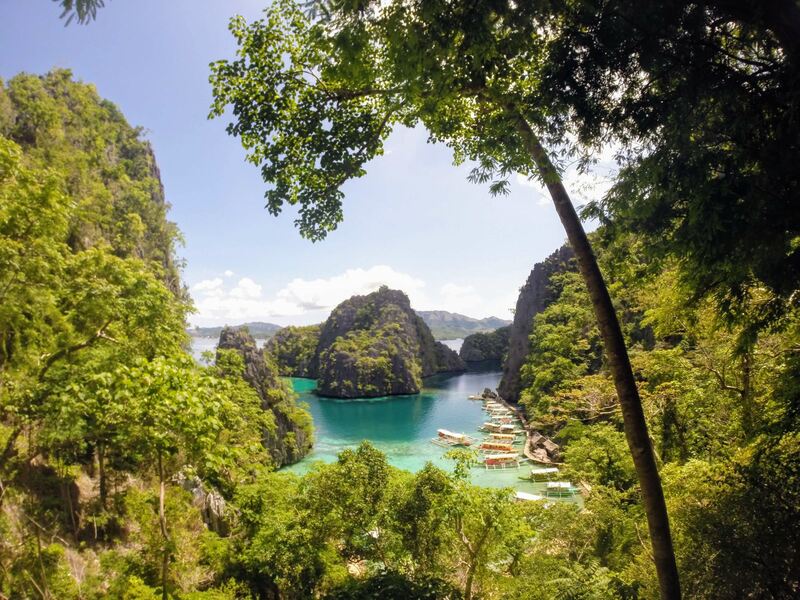 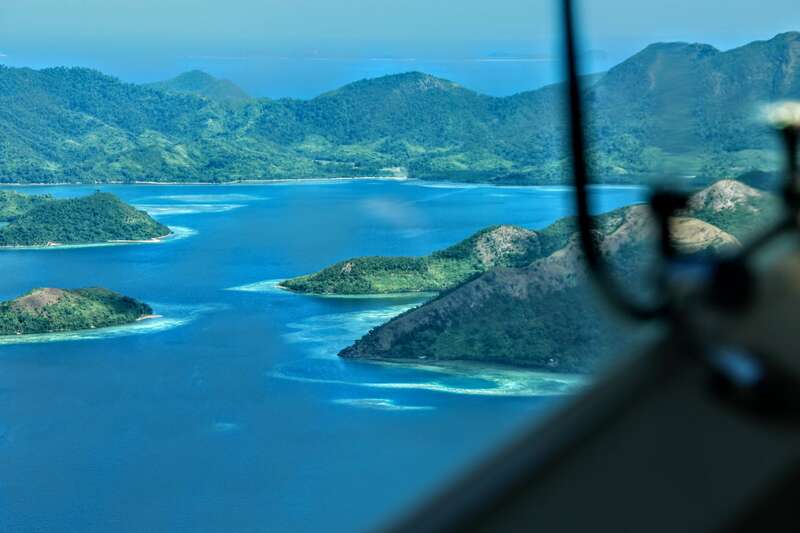 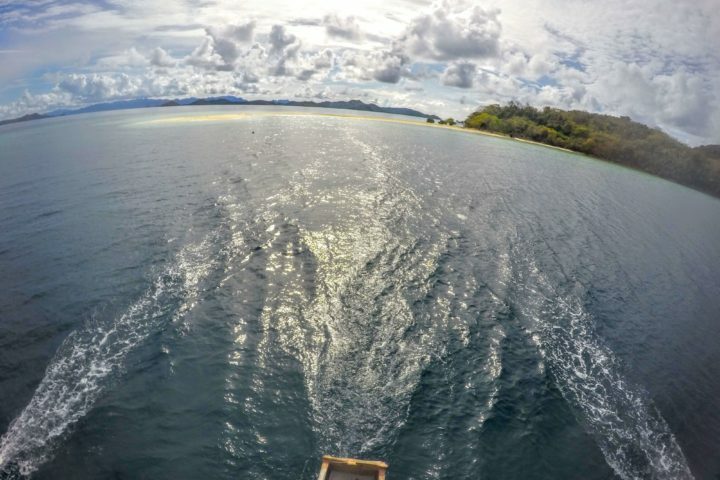 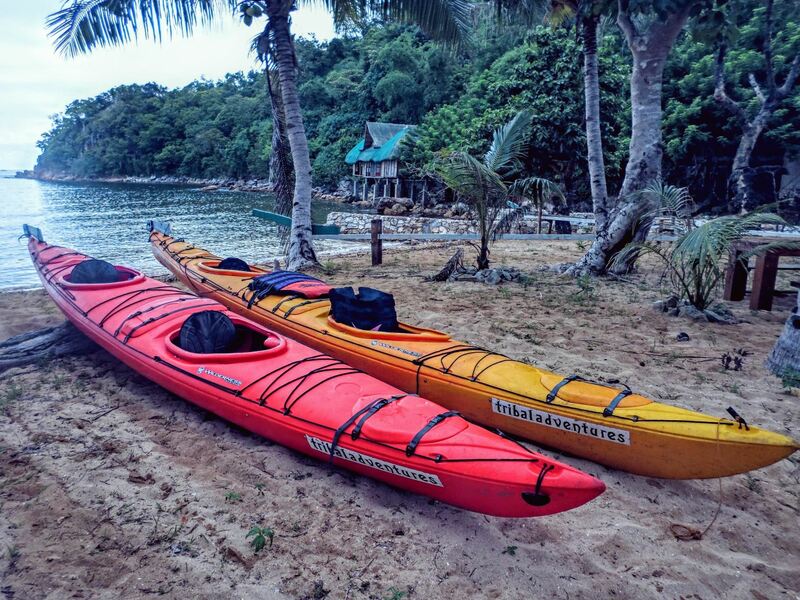 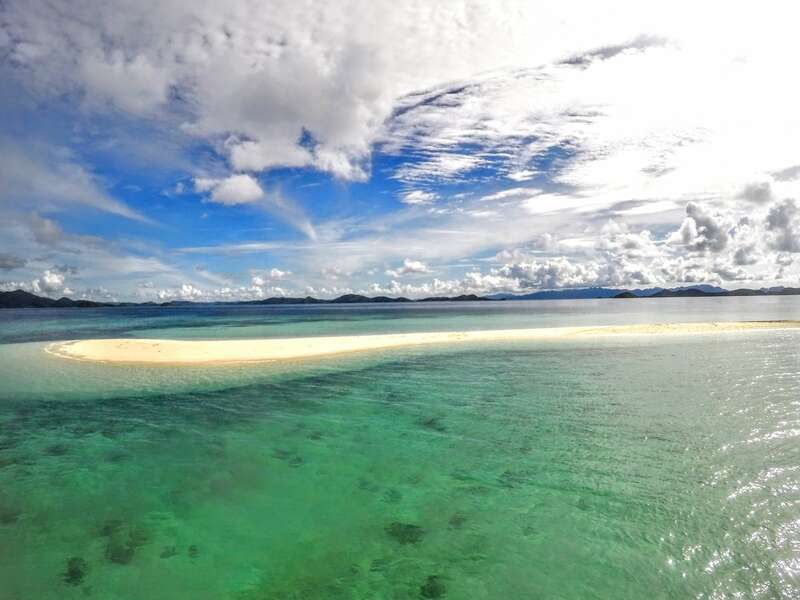 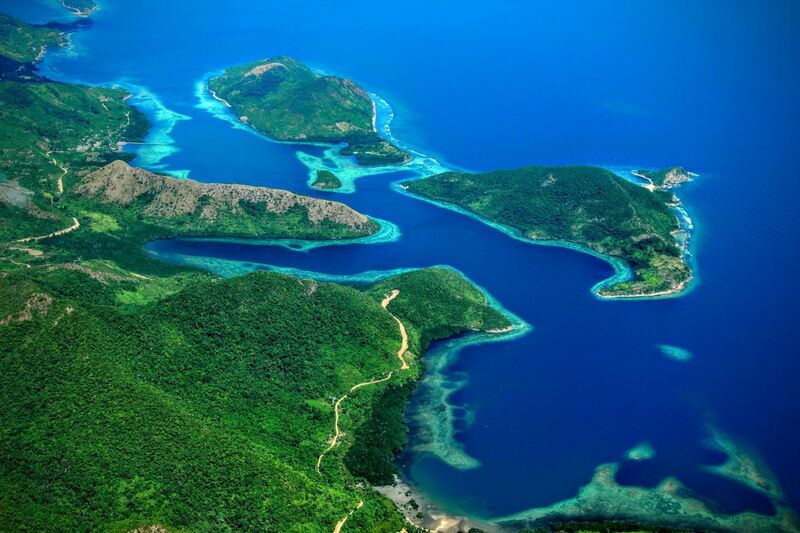 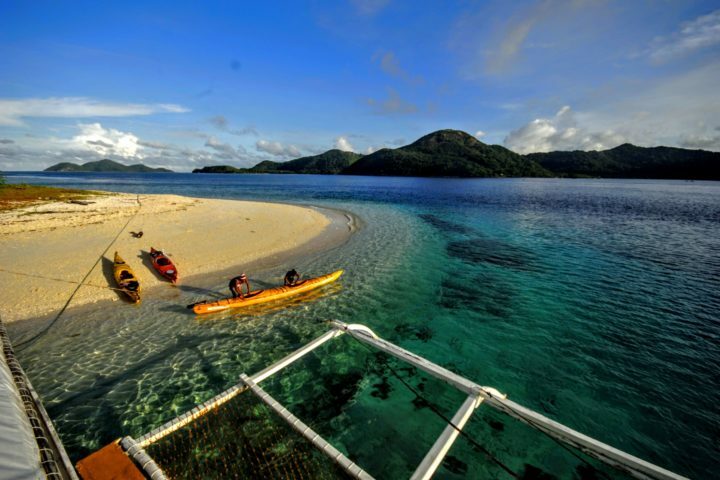 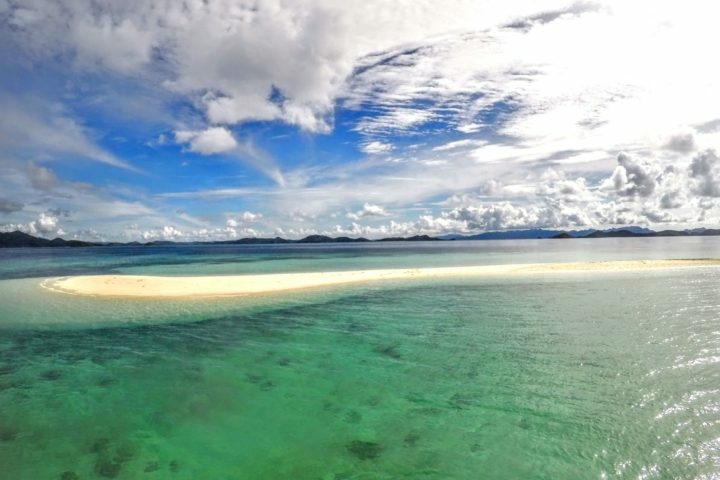 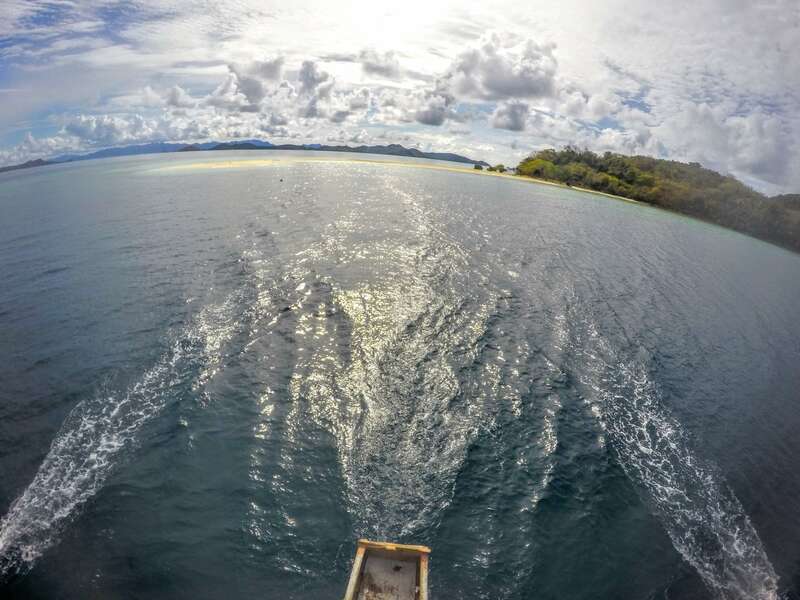 Arriving at camp - a sheltered cove along the east coast of Coron Island, Palawan. 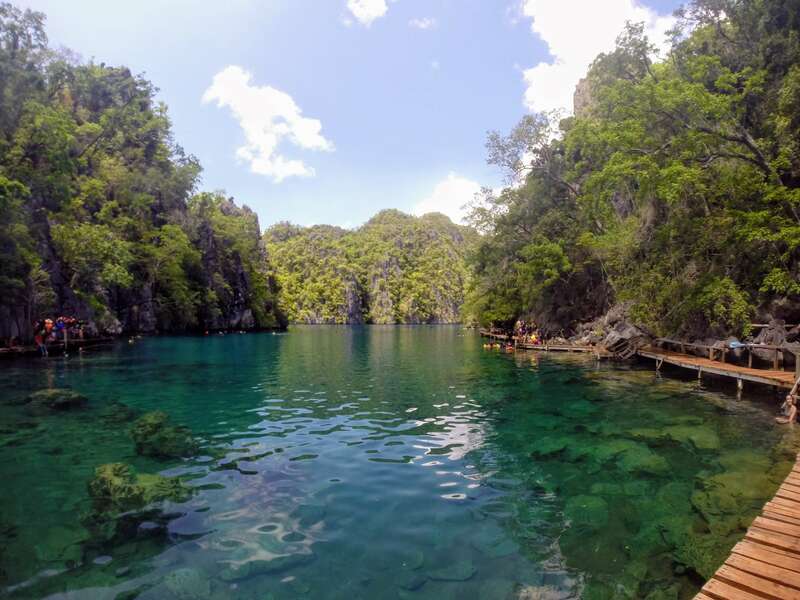 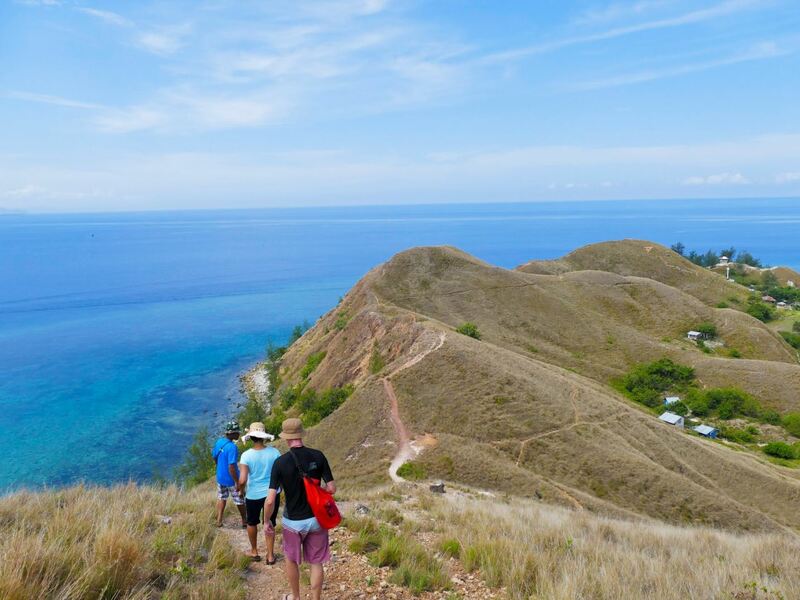 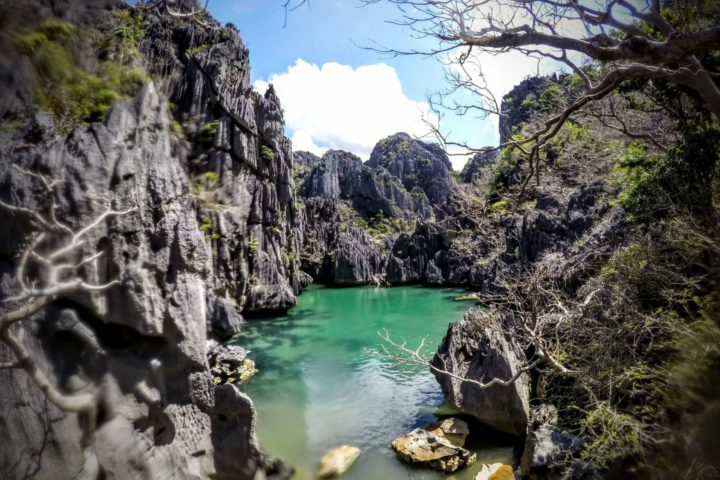 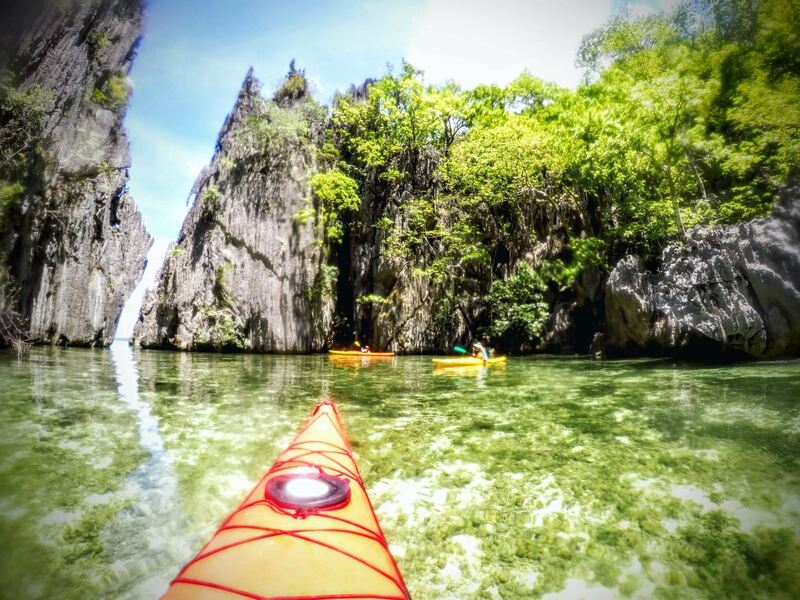 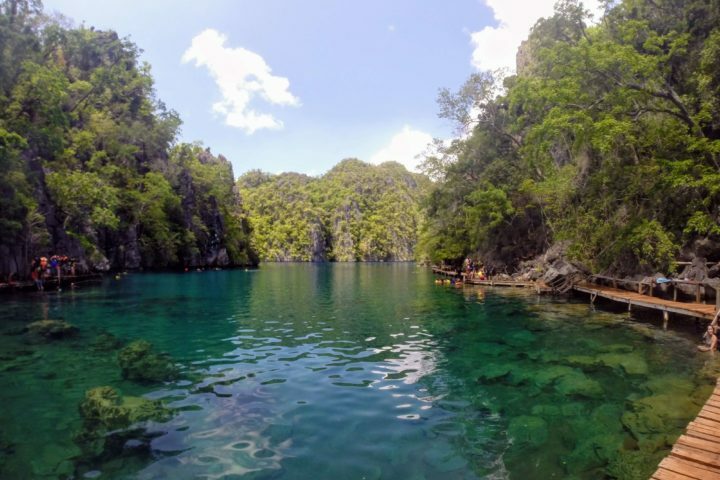 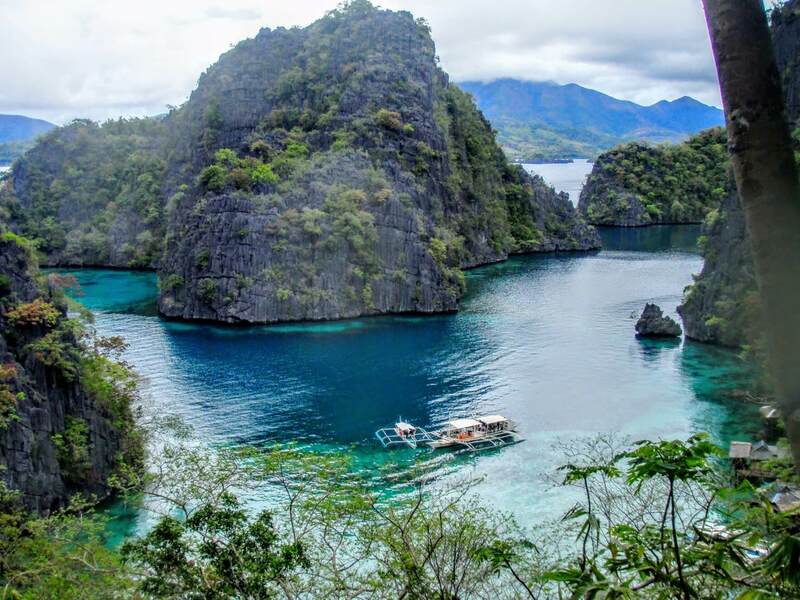 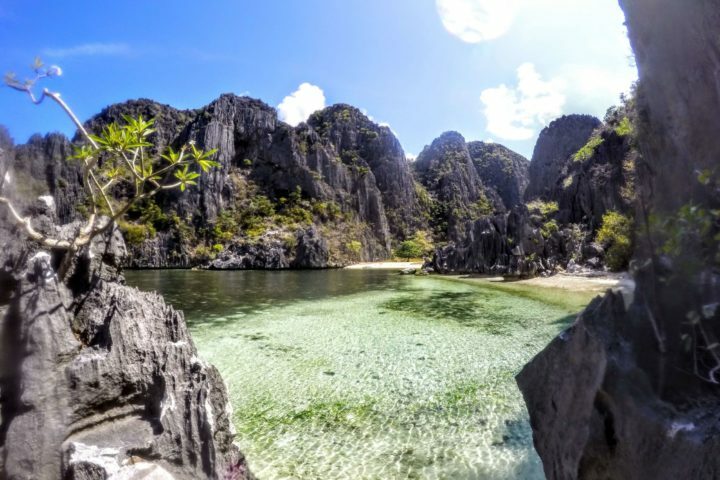 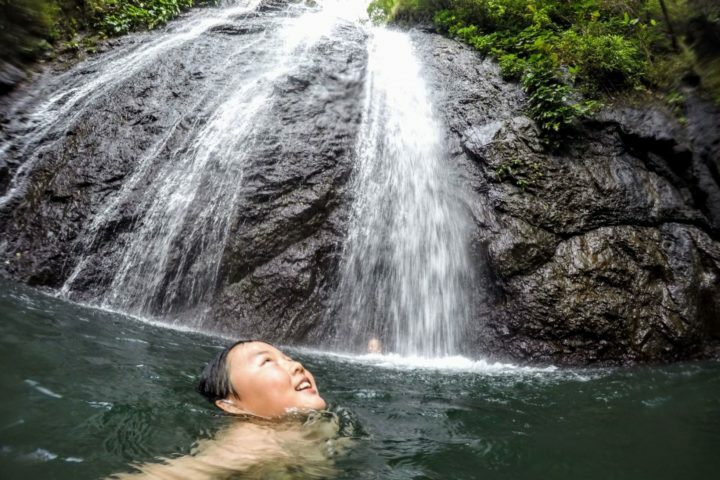 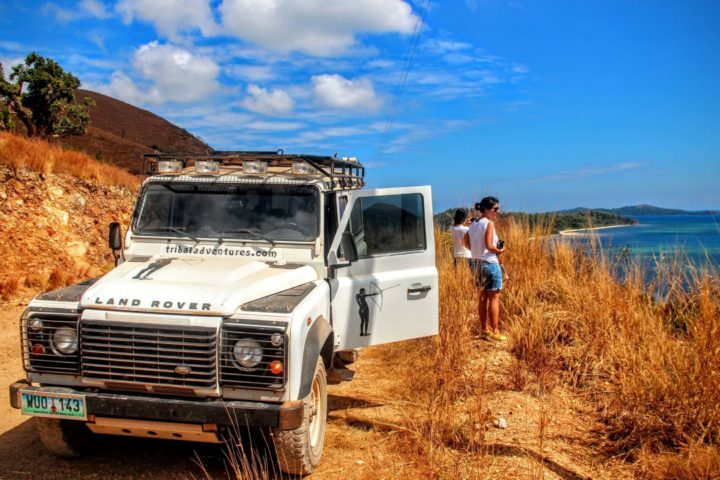 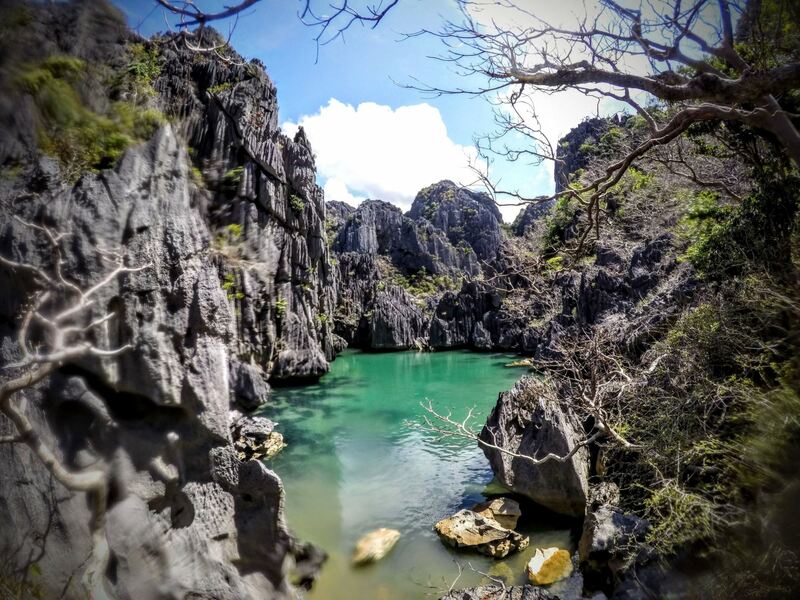 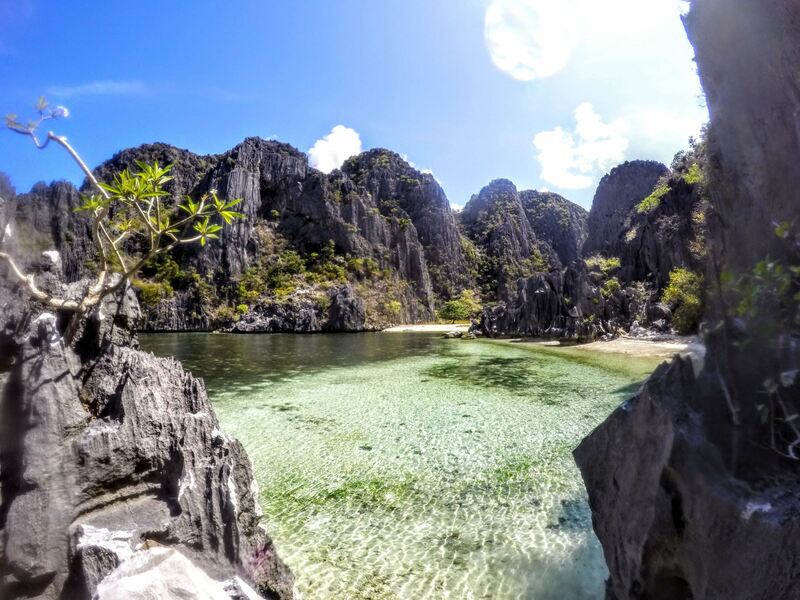 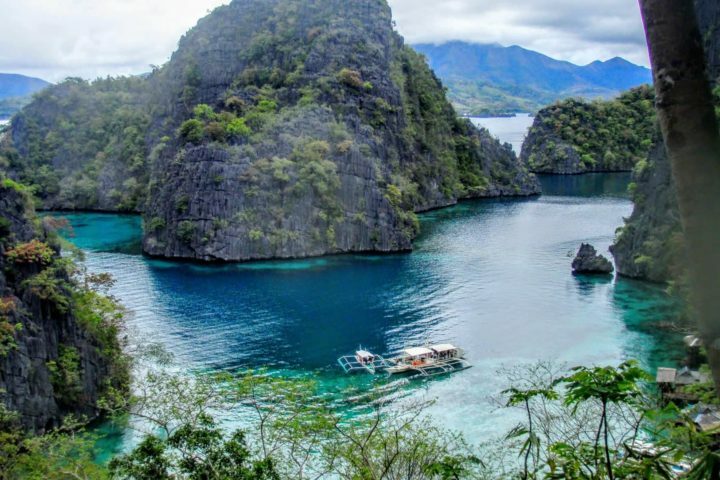 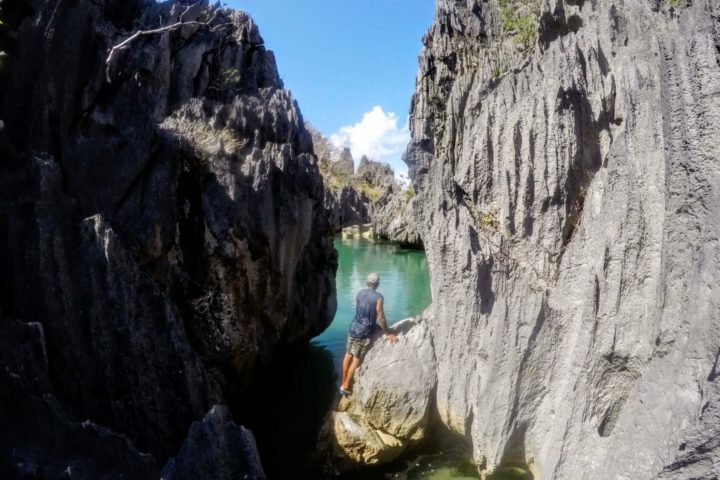 Headed for a tiny gap in the rocks to explore one of the hidden lagoons around Coron Island. 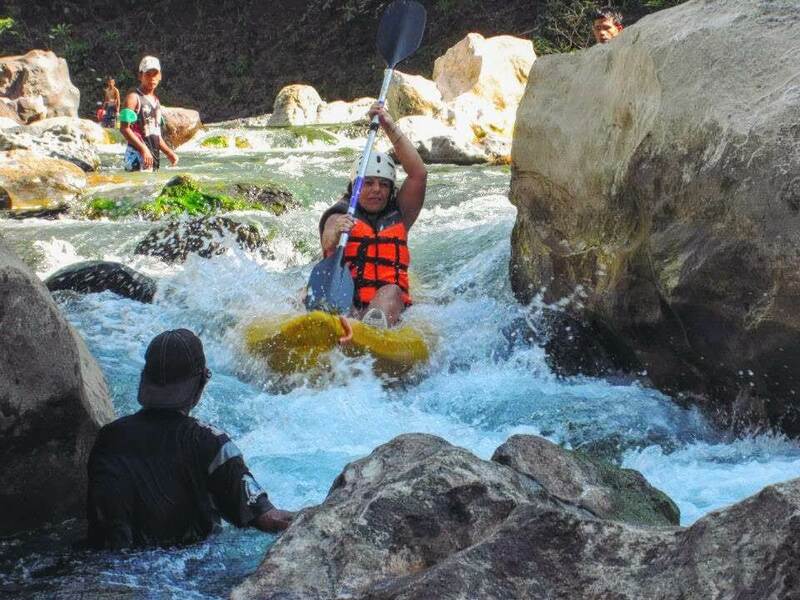 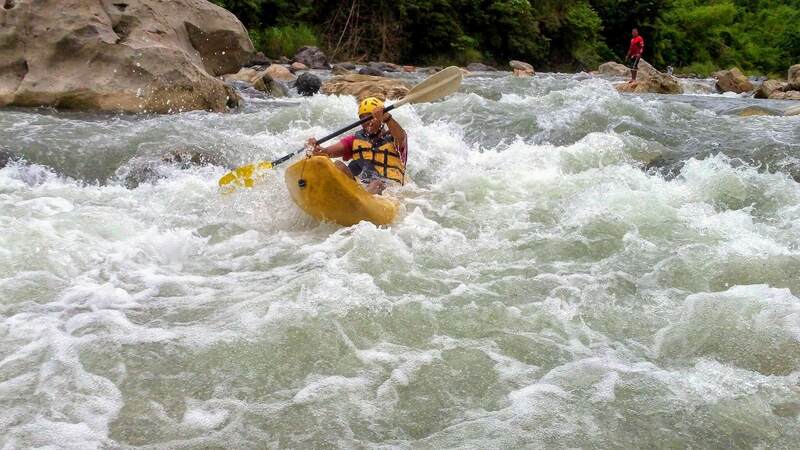 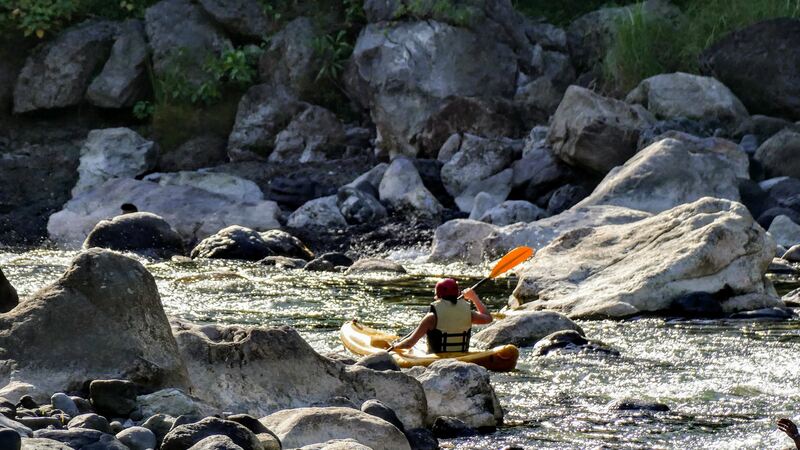 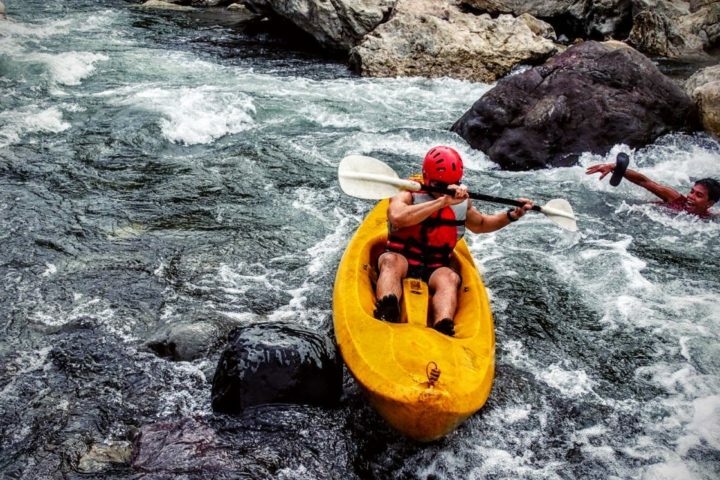 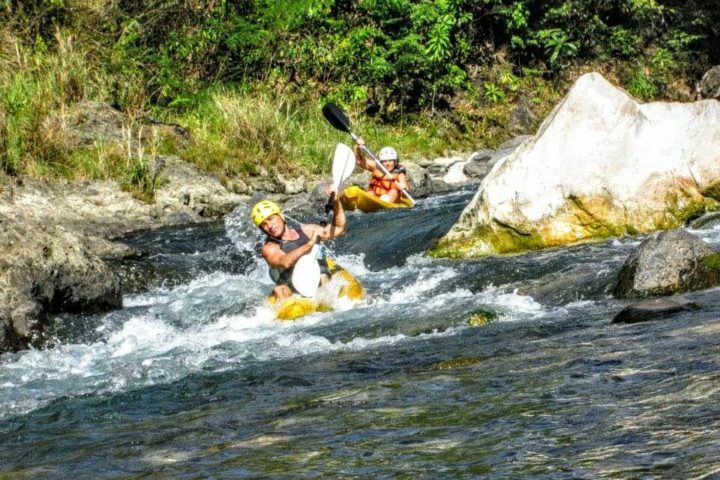 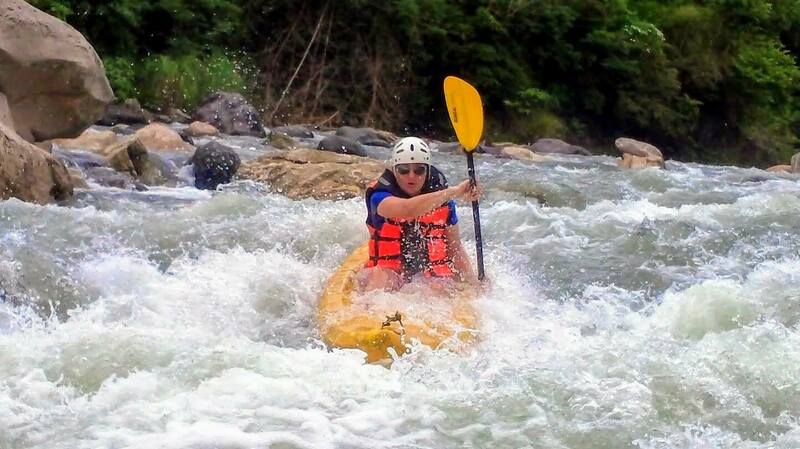 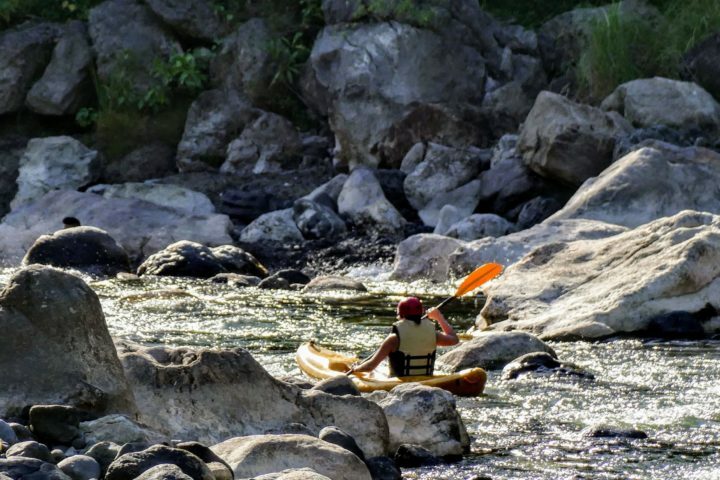 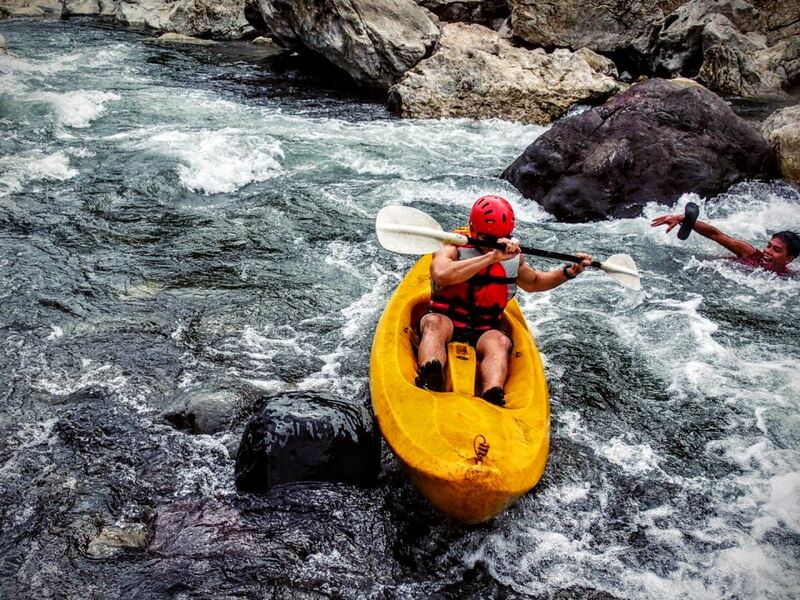 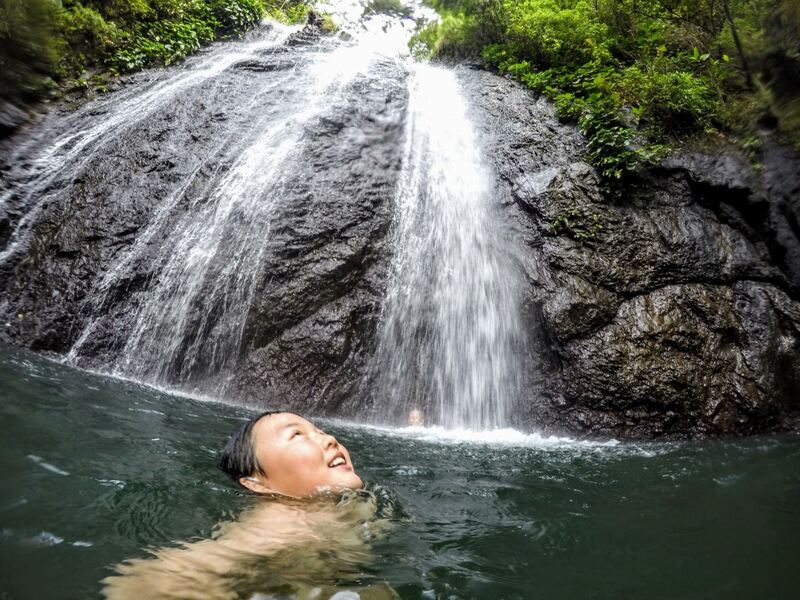 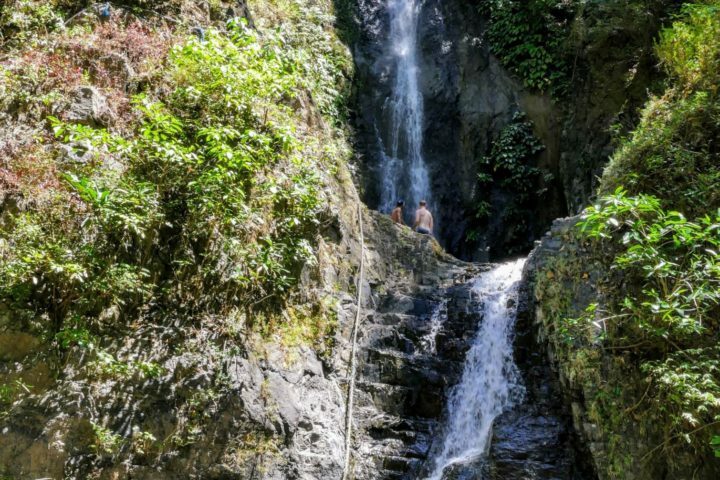 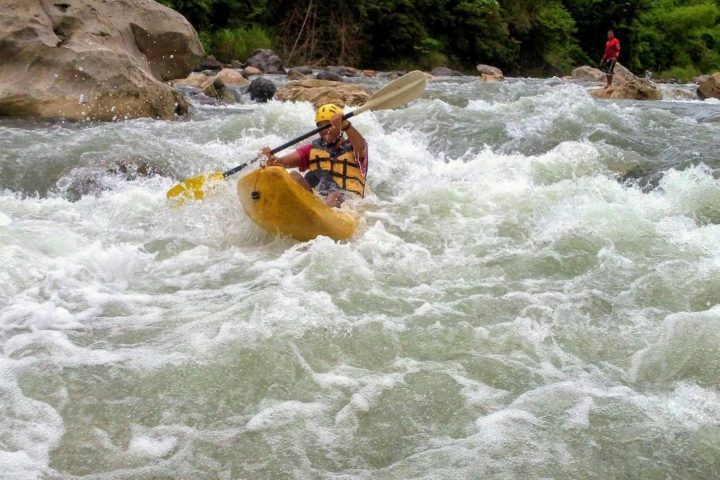 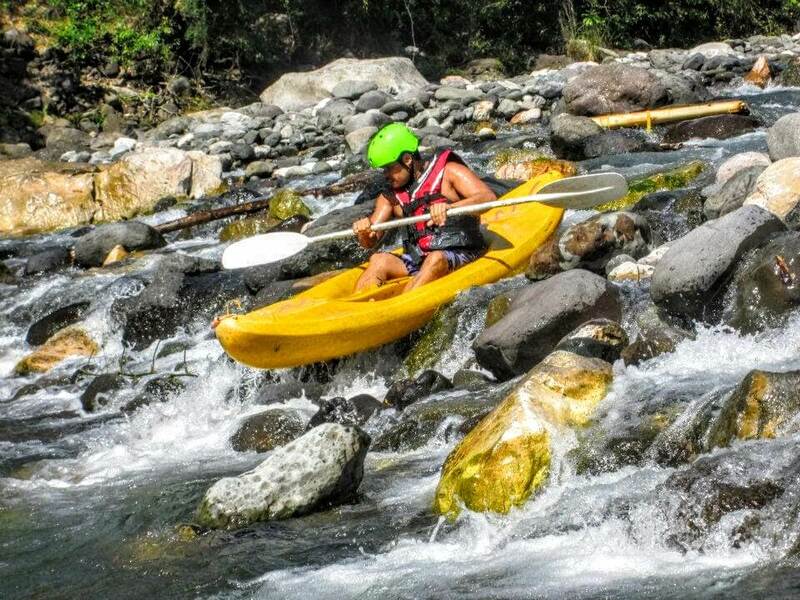 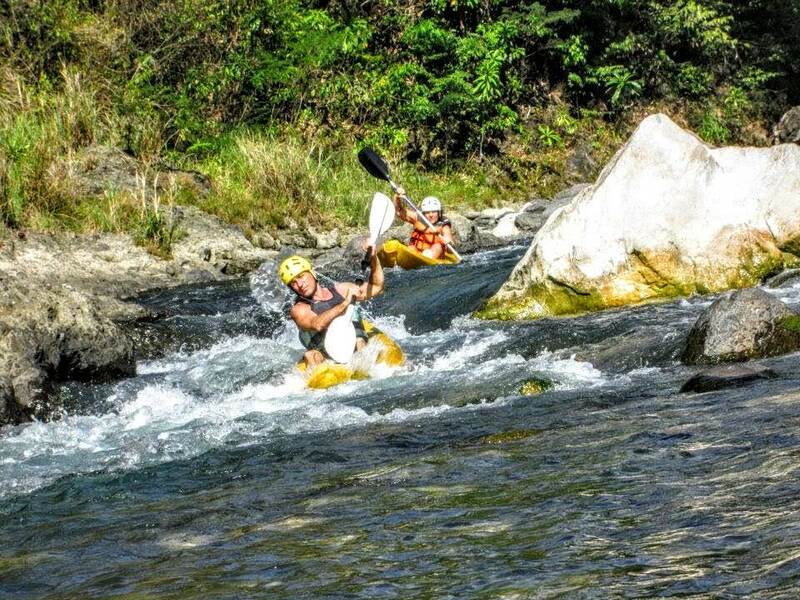 Navigating one of the many drops down the rapids of Tibiao River.